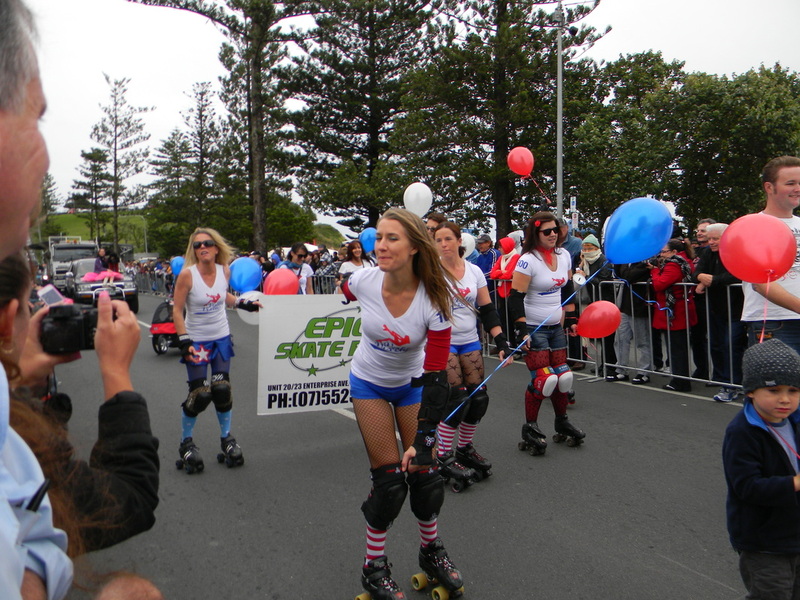 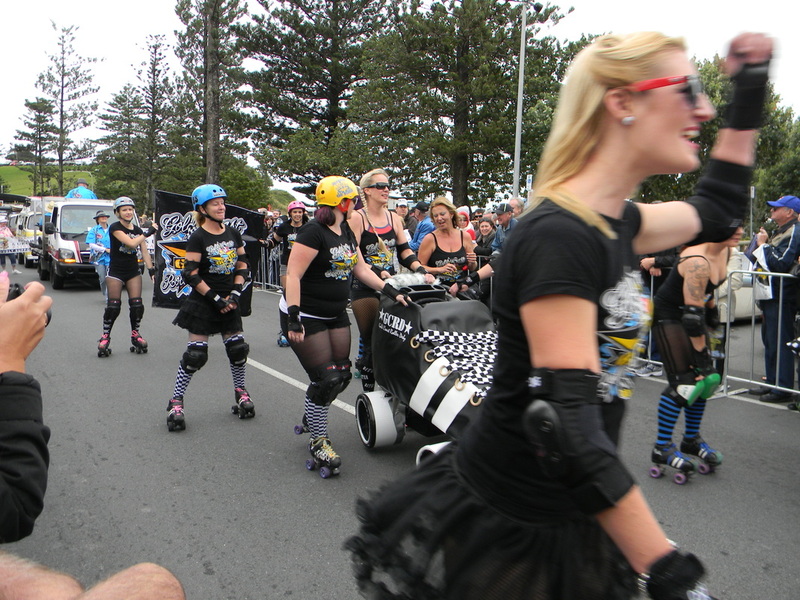 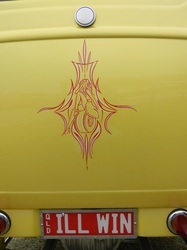 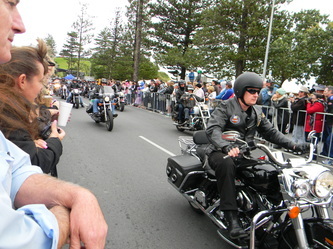 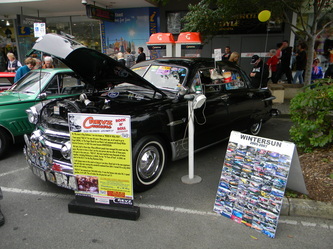 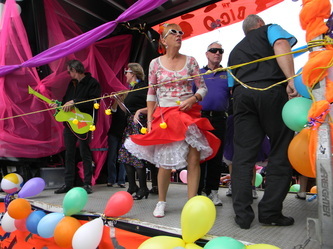 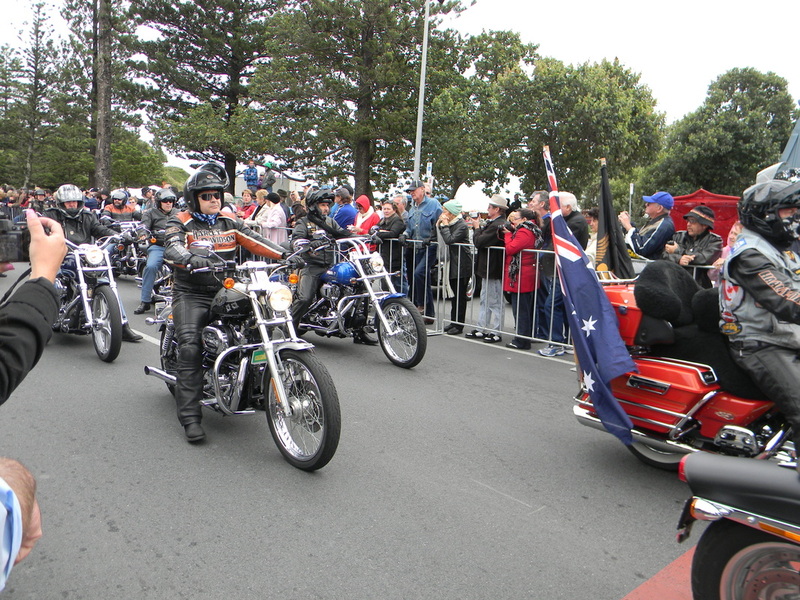 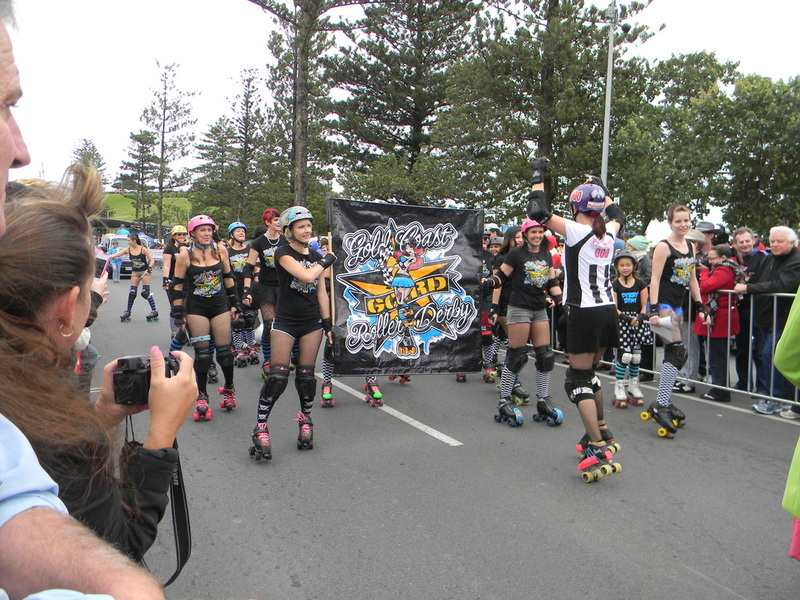 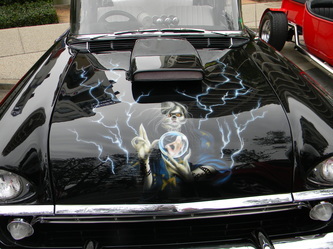 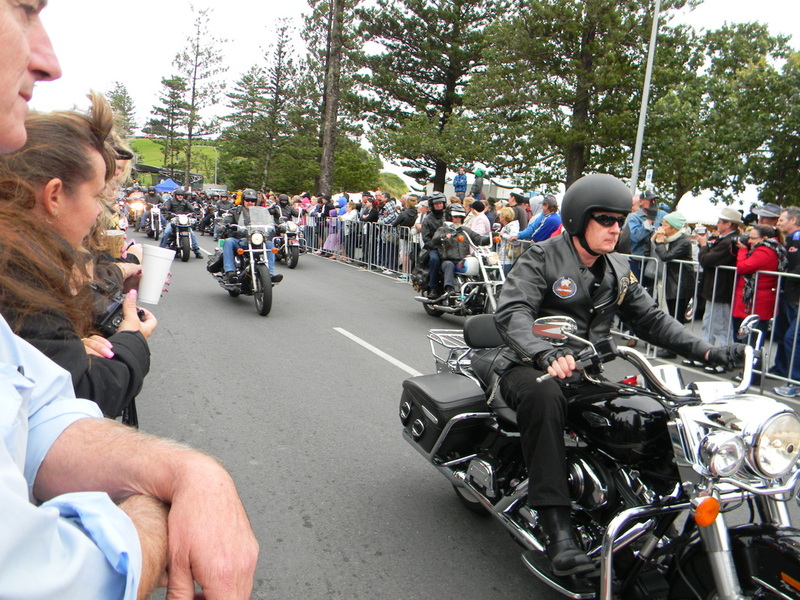 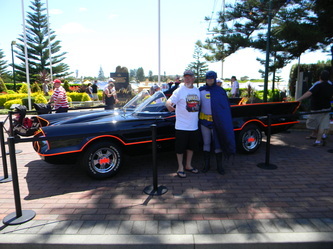 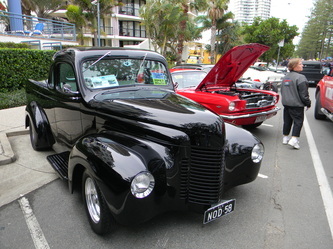 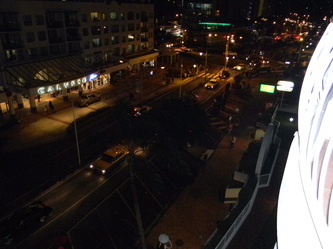 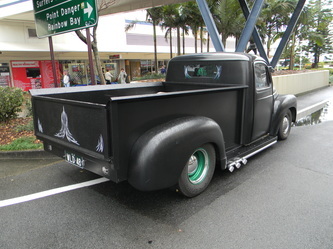 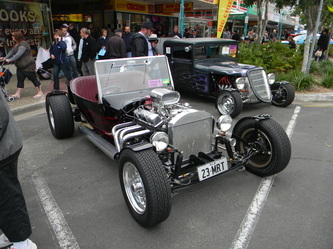 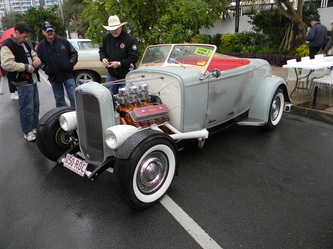 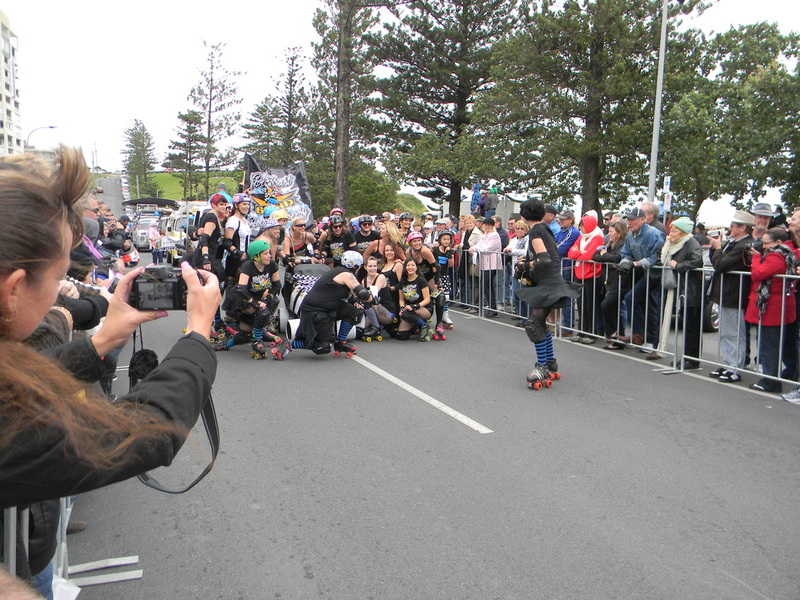 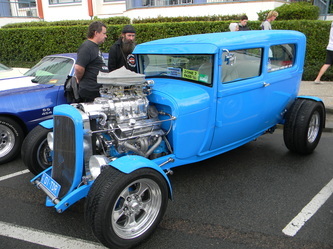 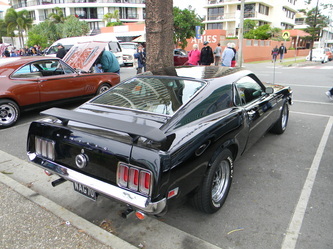 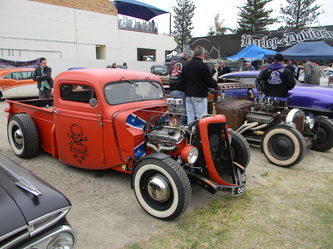 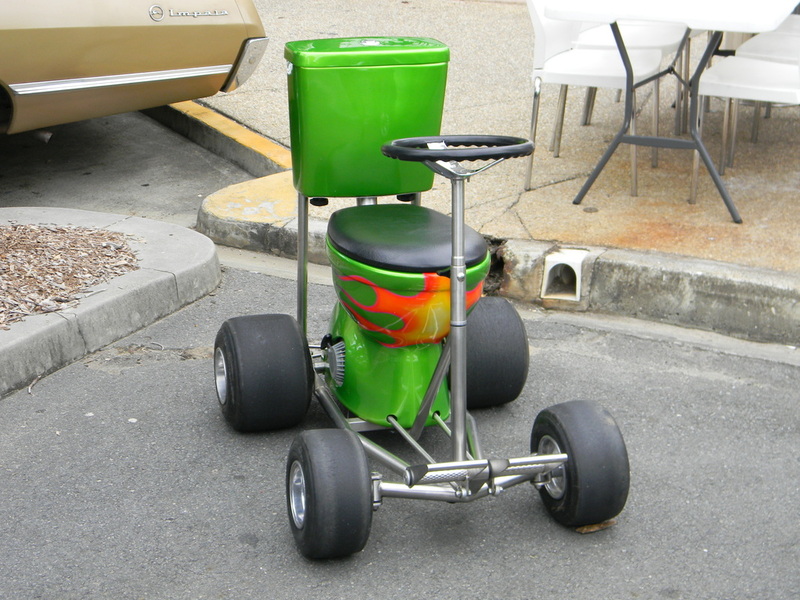 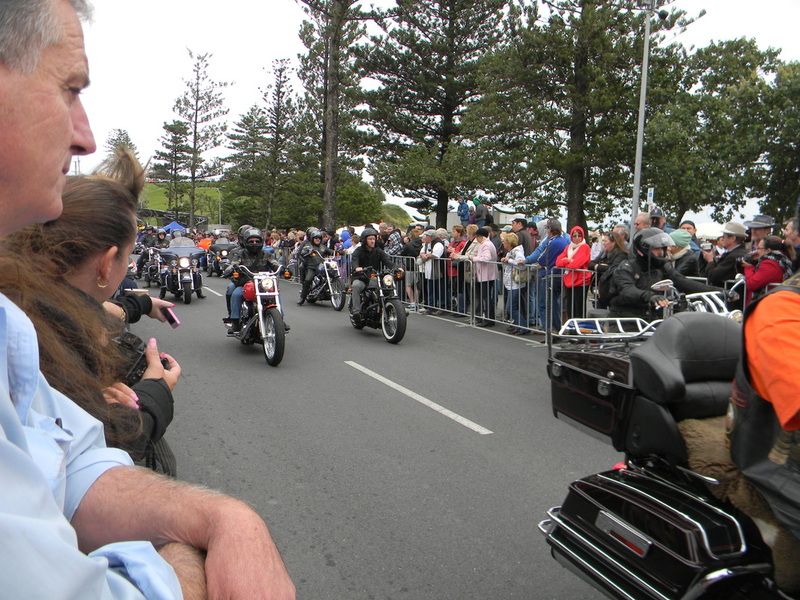 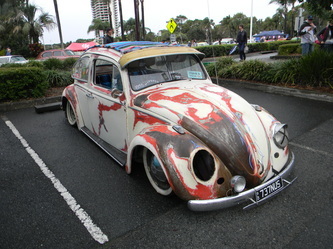 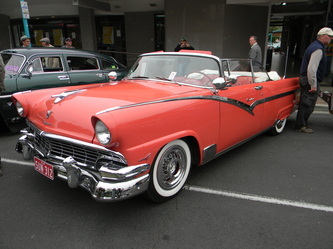 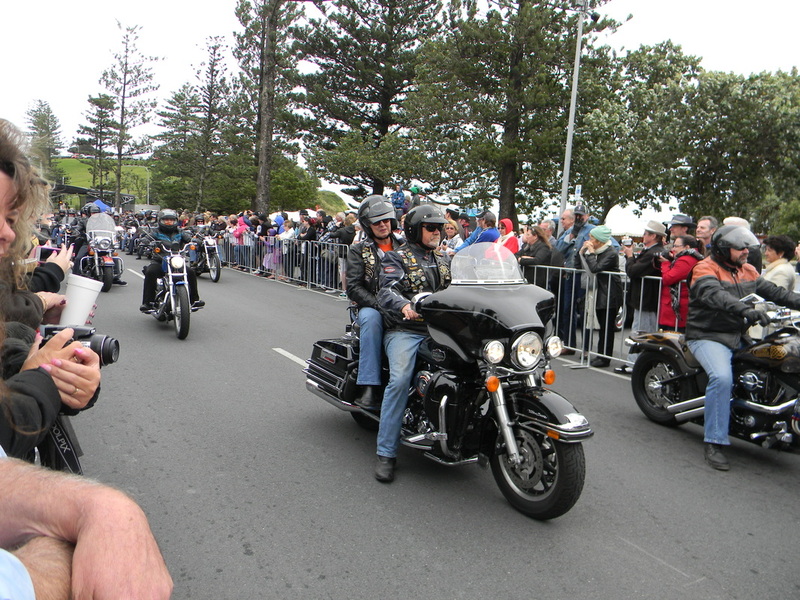 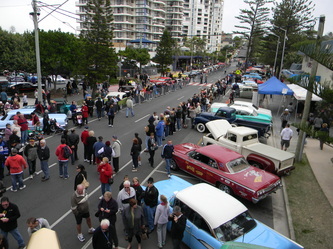 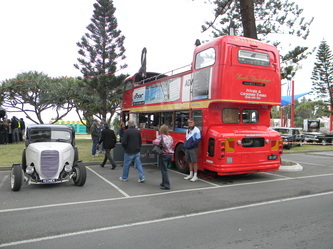 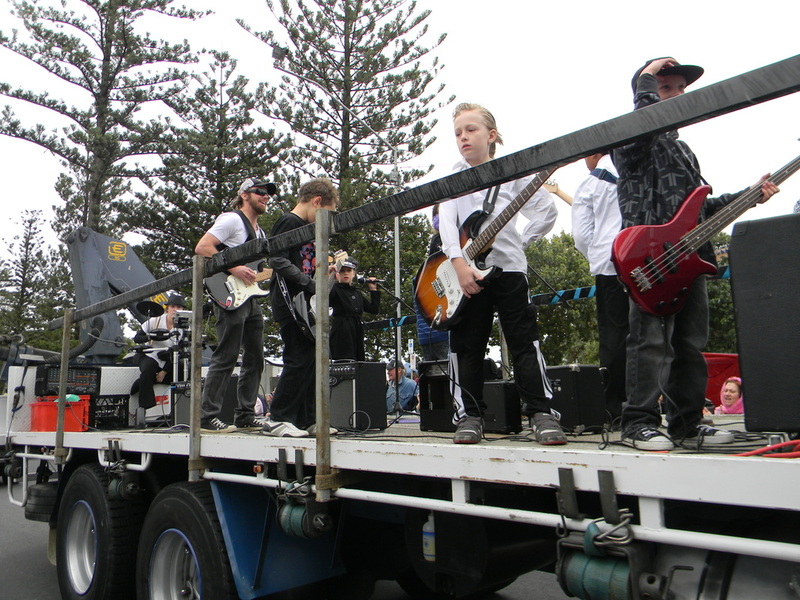 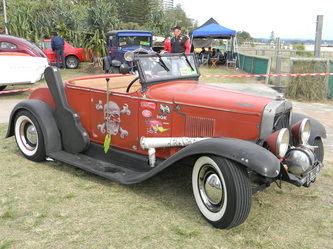 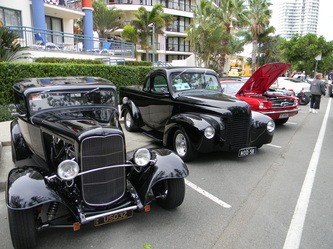 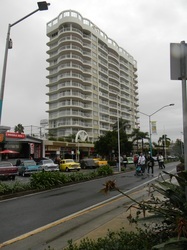 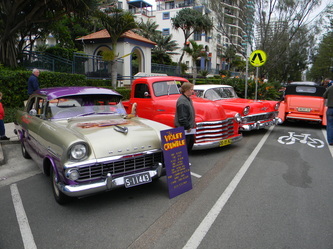 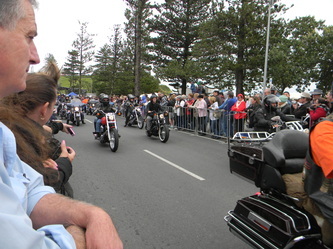 This event took over from the Wintersun event at Coolangatta which had been on for the previous 20 years. 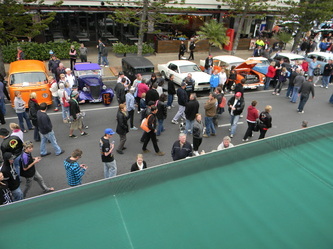 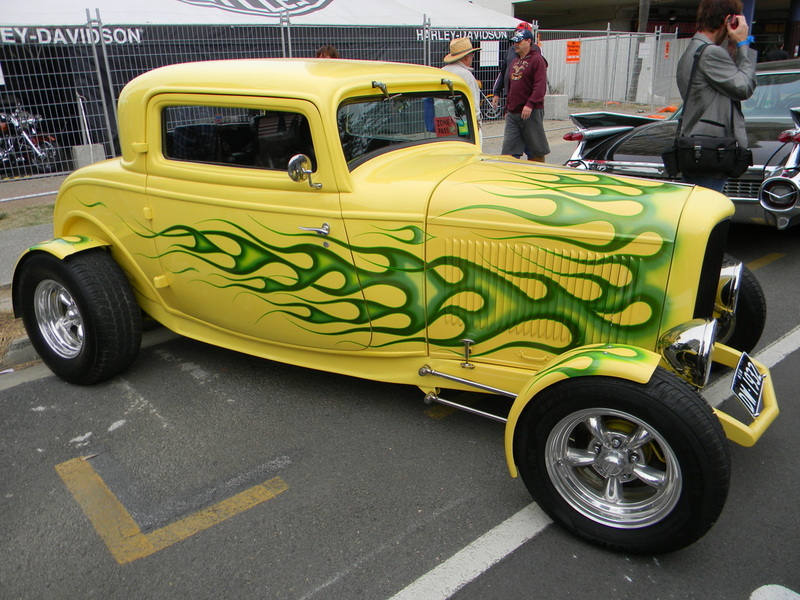 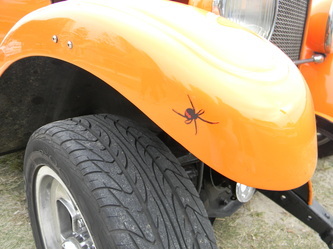 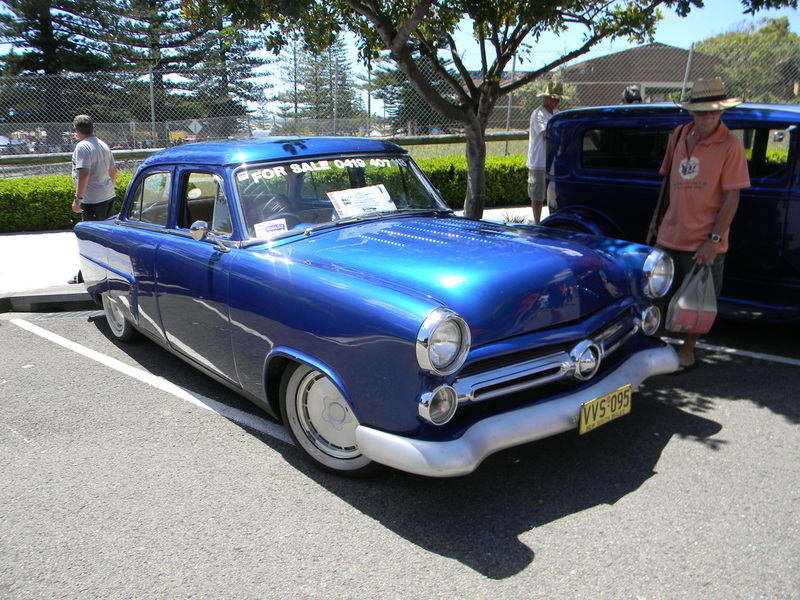 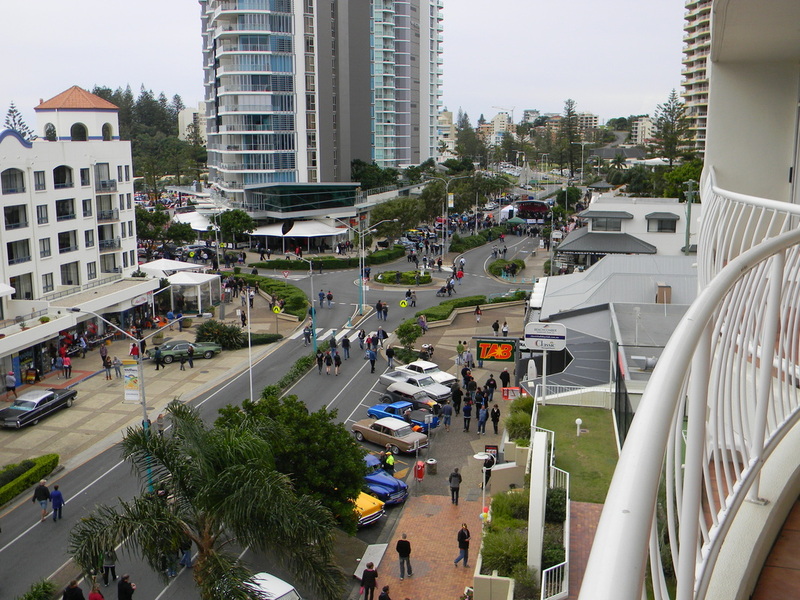 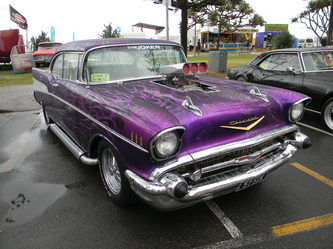 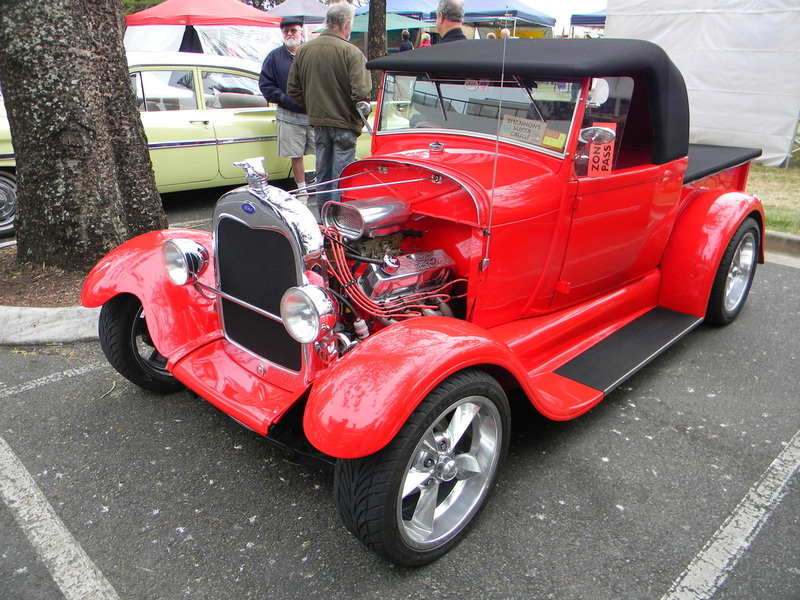 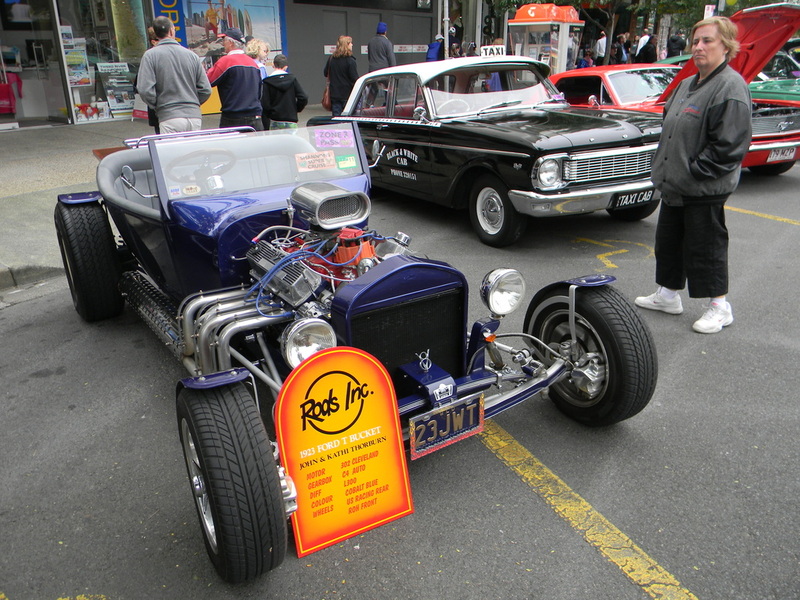 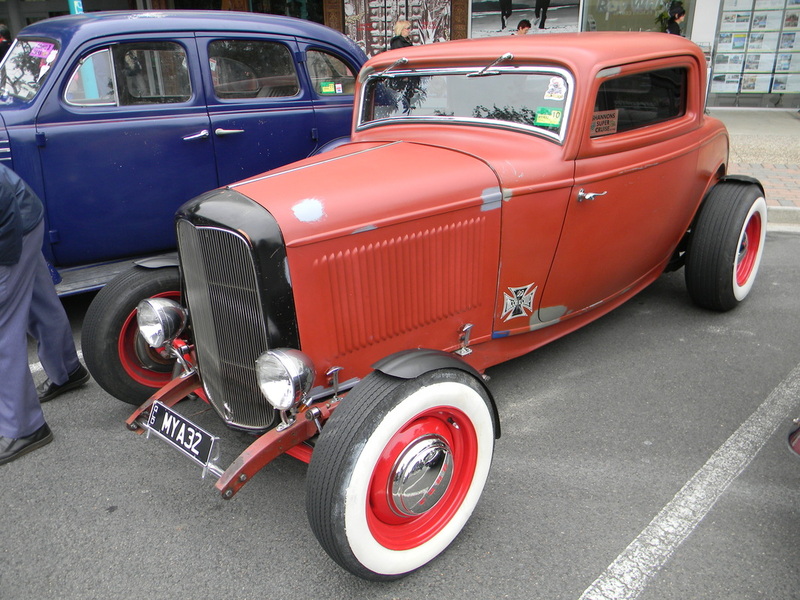 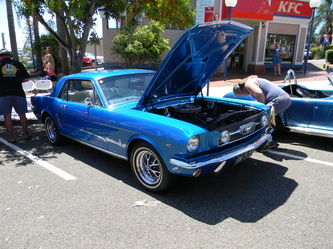 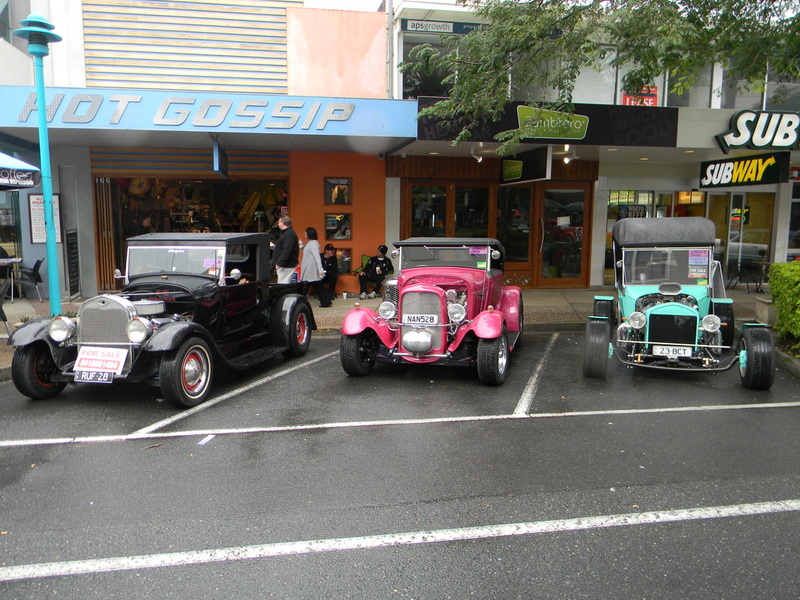 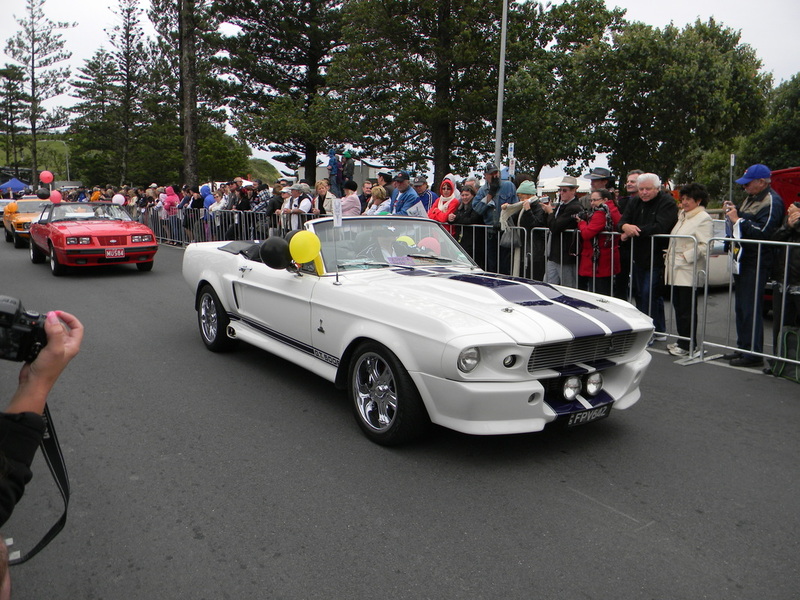 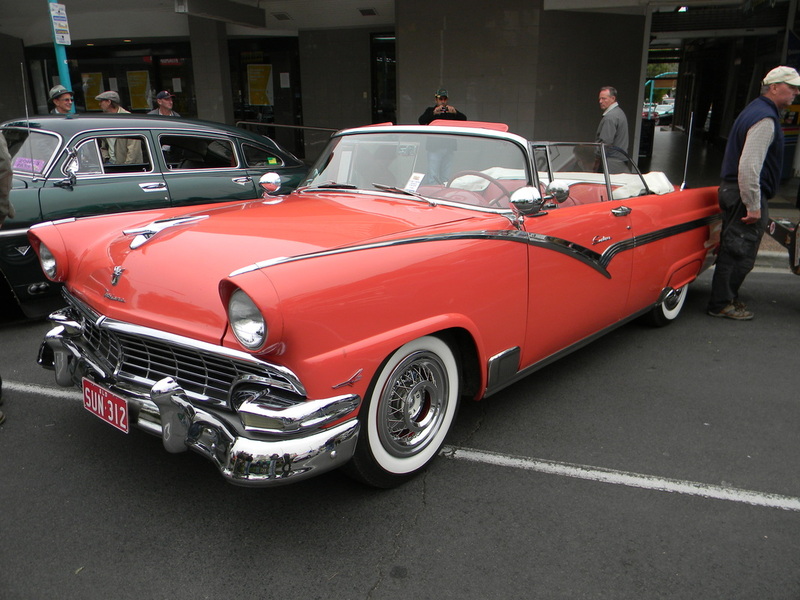 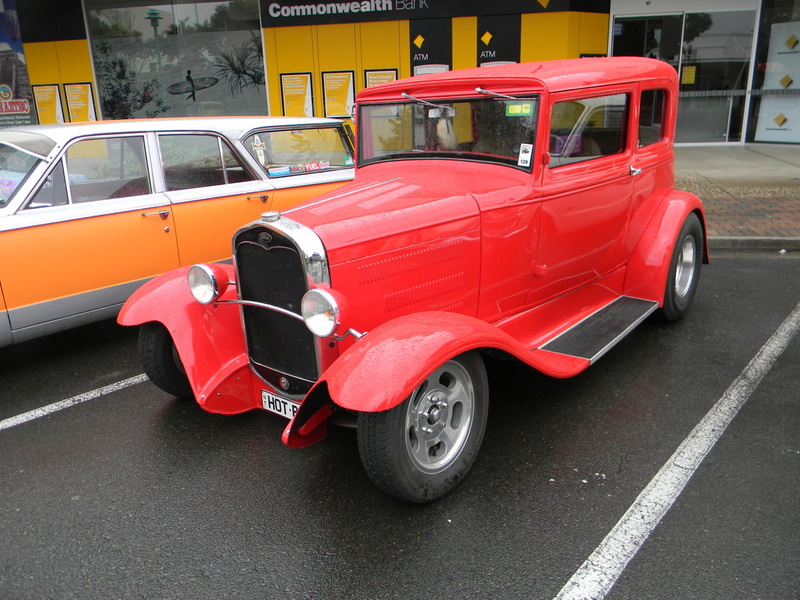 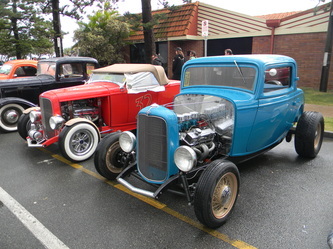 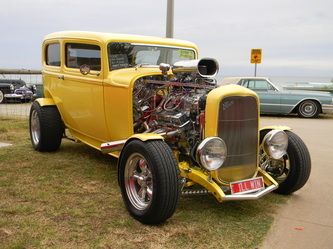 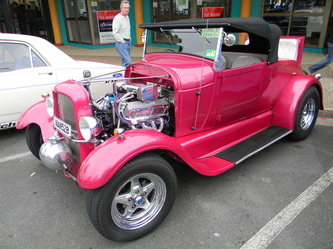 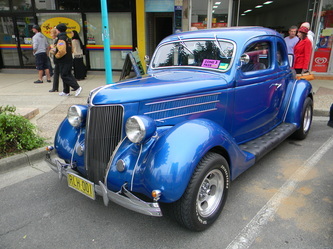 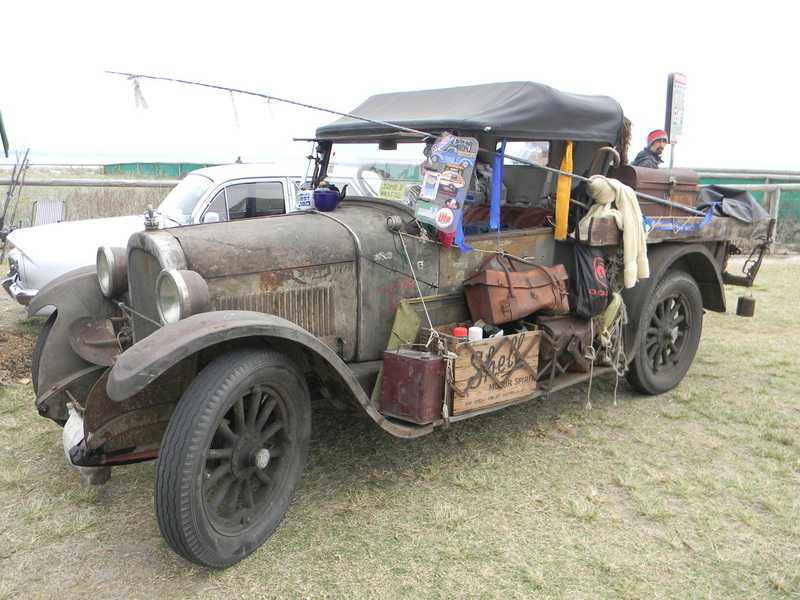 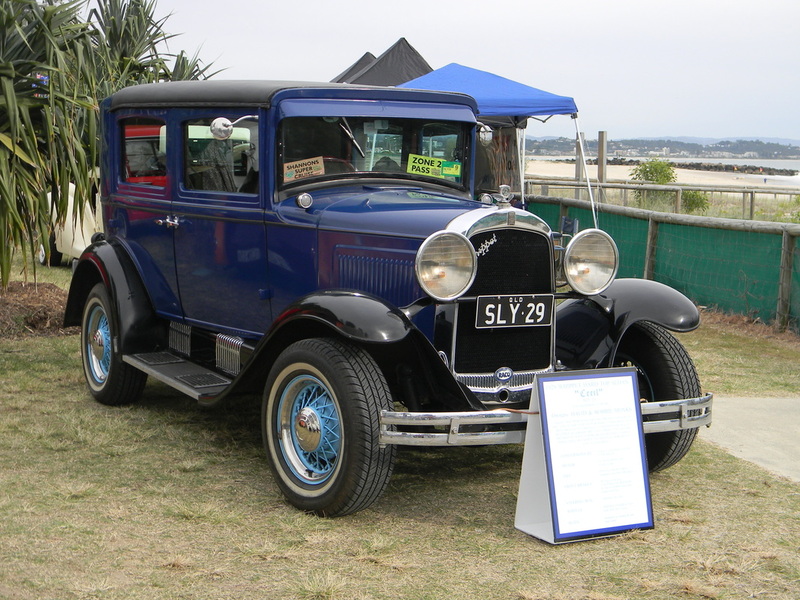 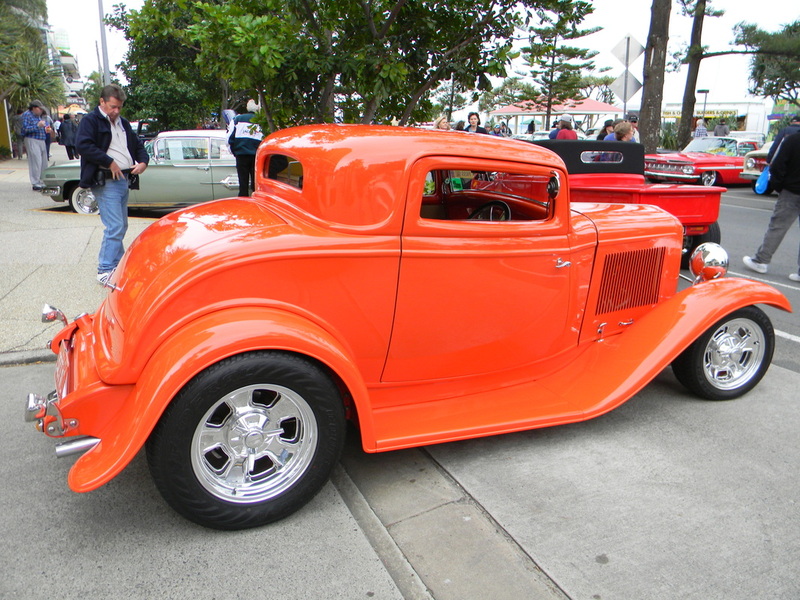 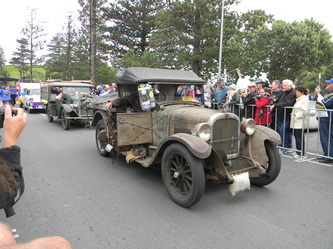 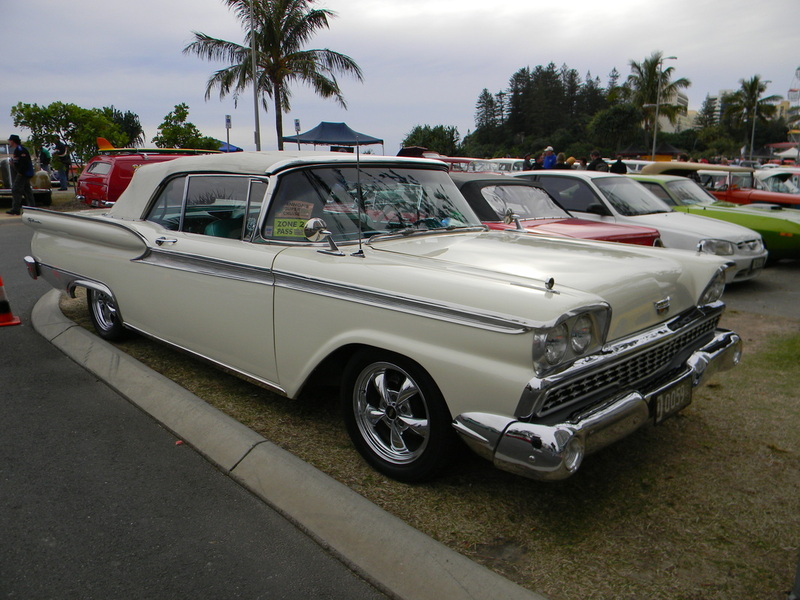 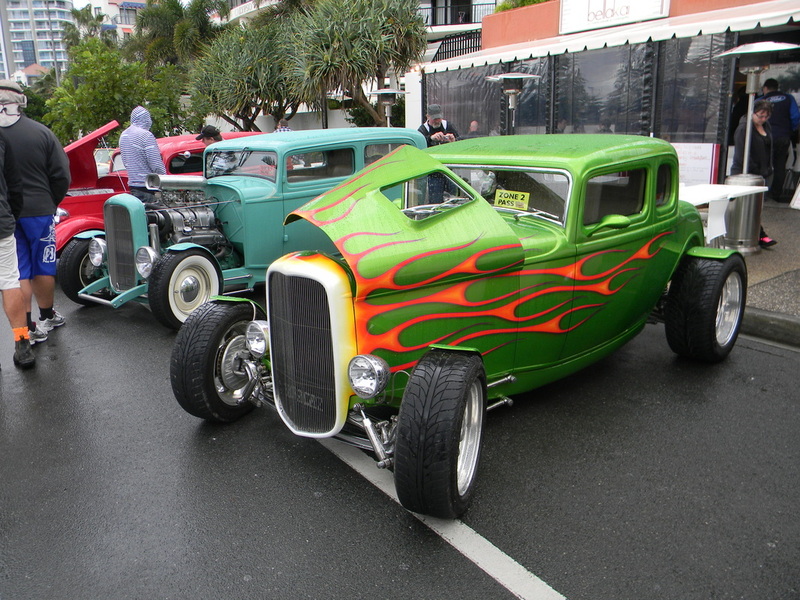 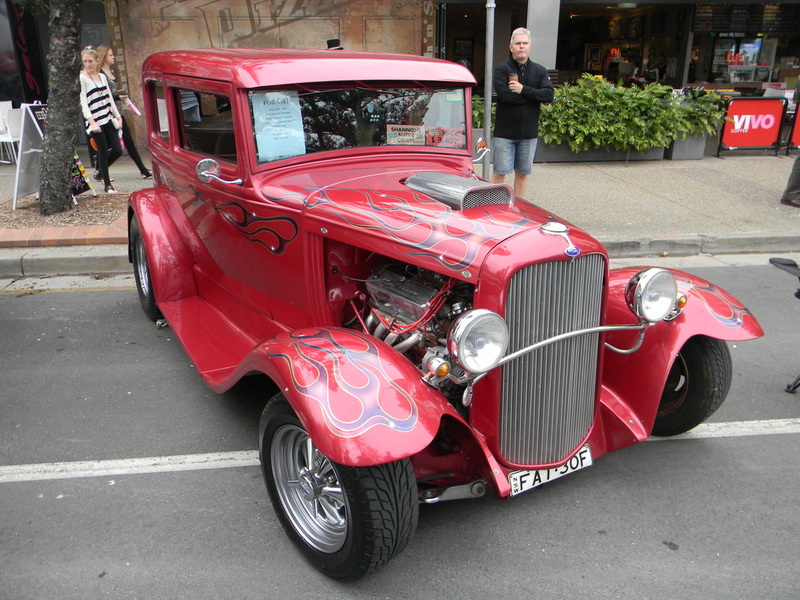 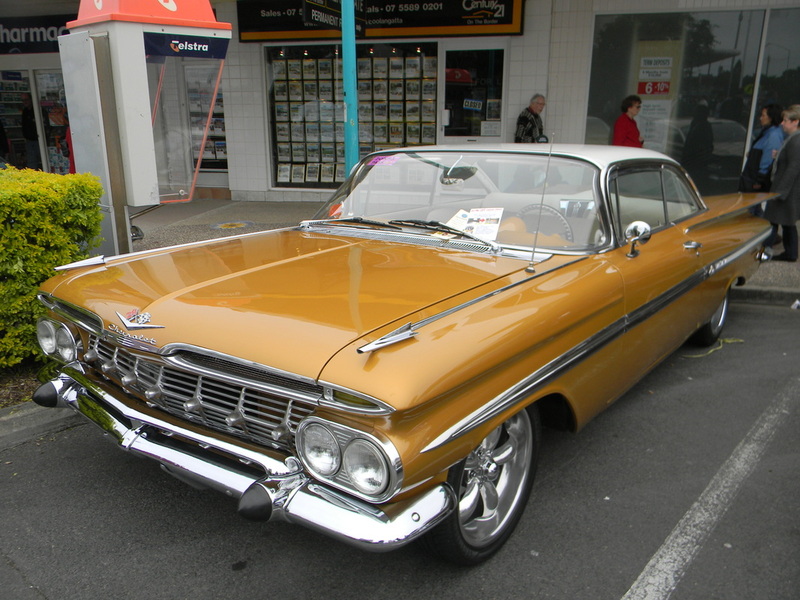 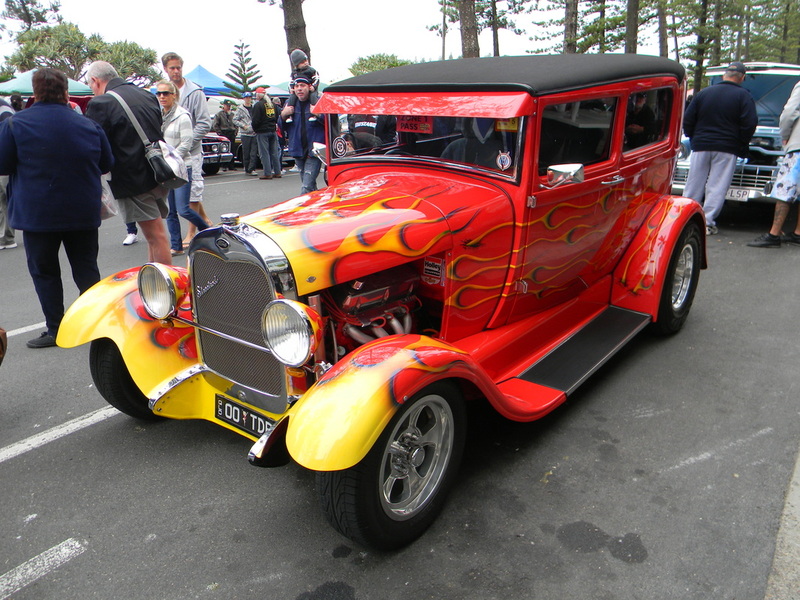 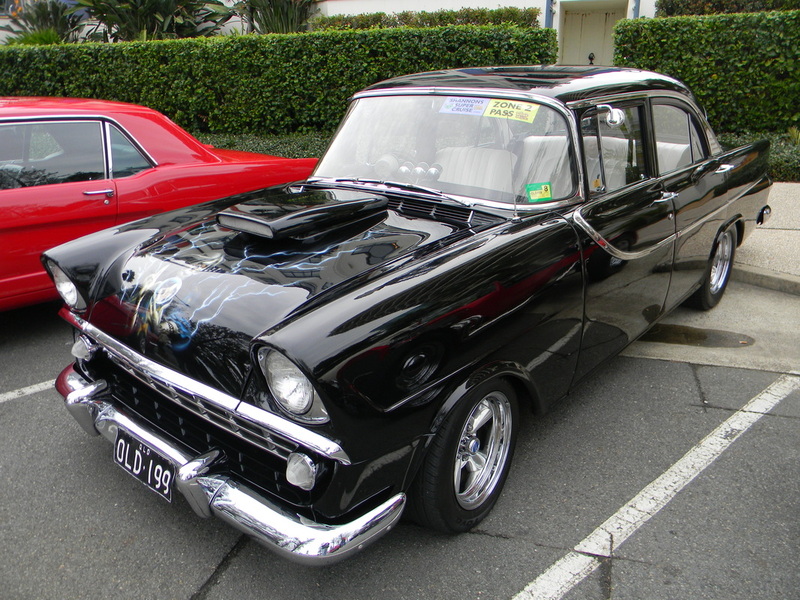 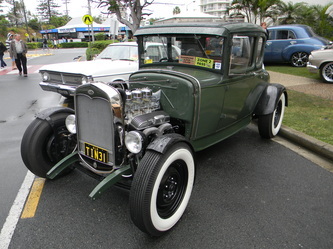 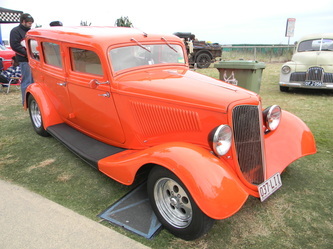 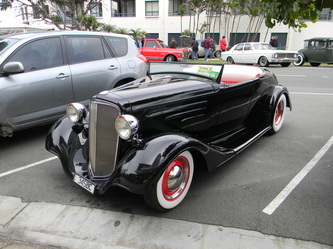 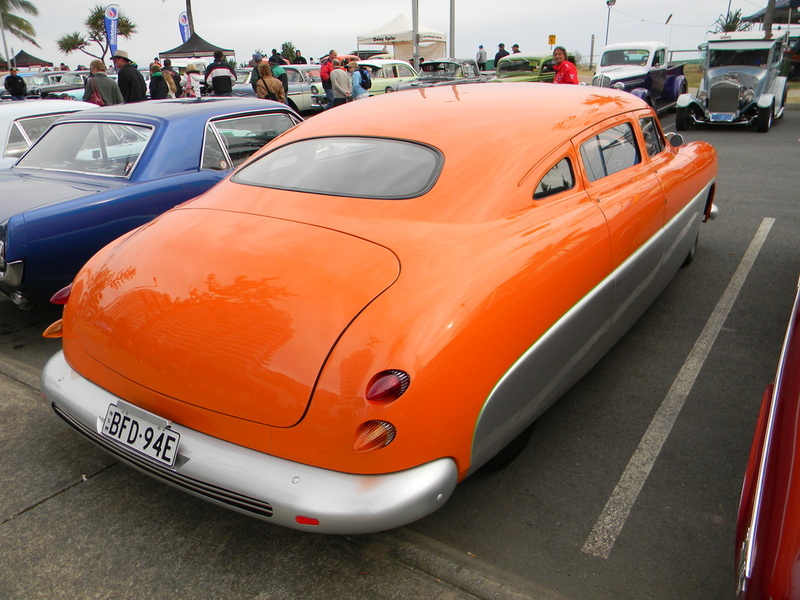 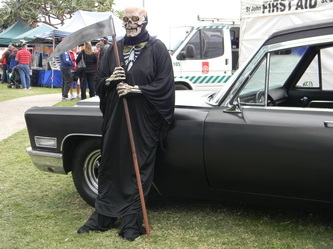 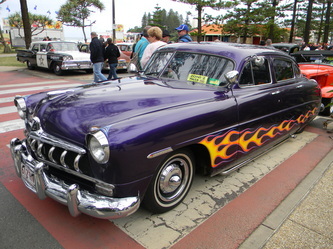 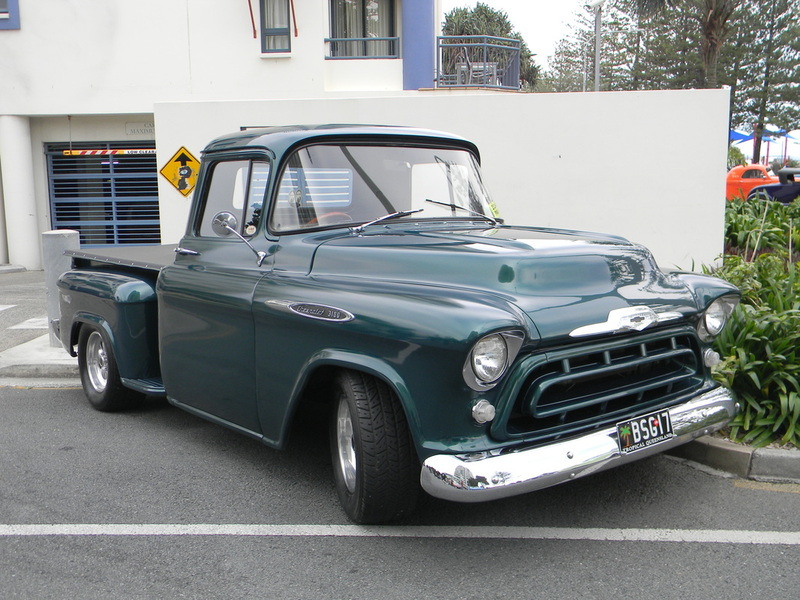 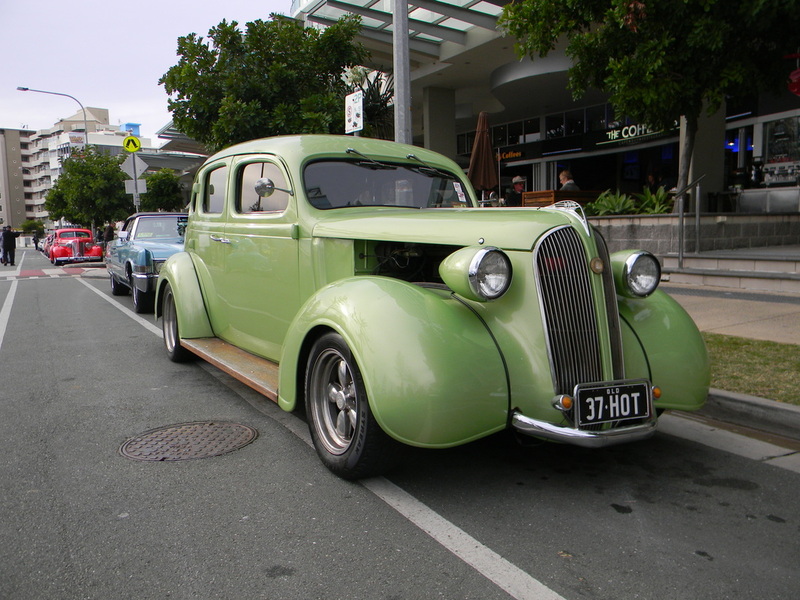 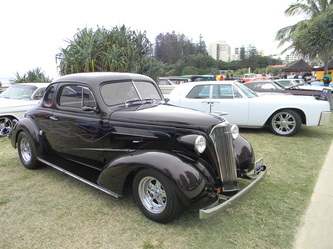 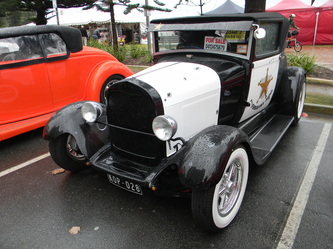 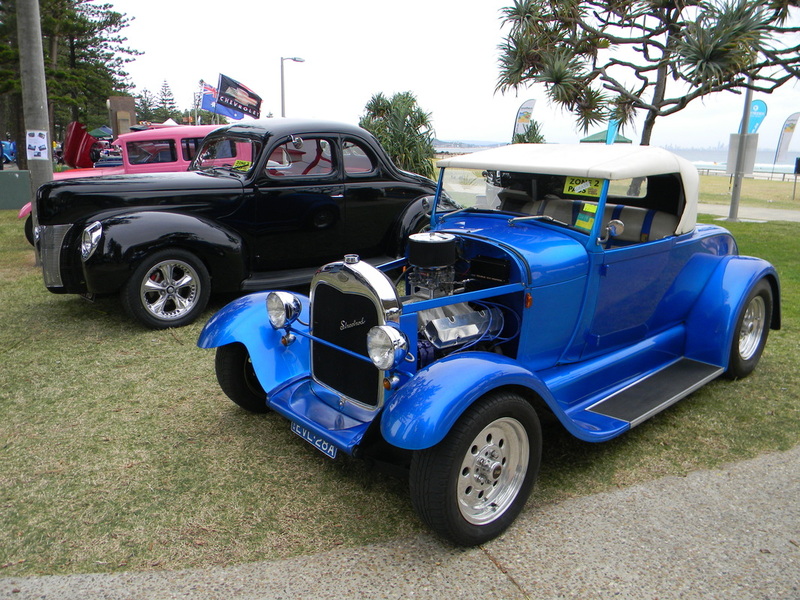 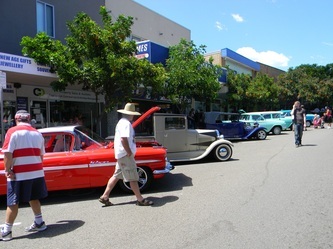 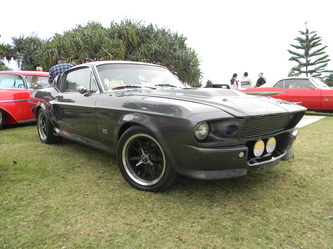 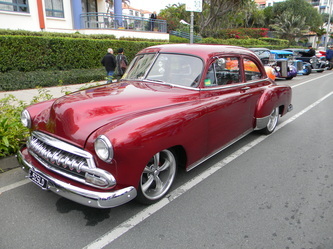 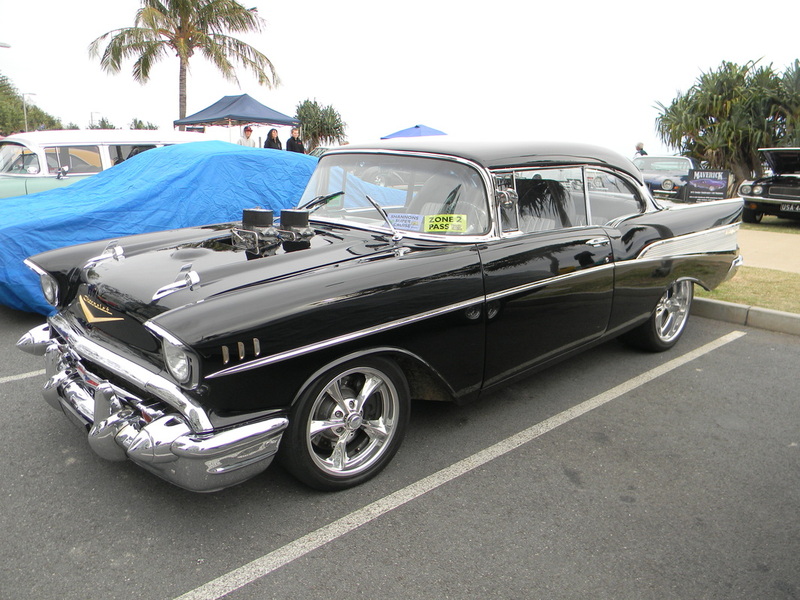 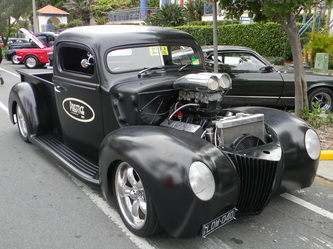 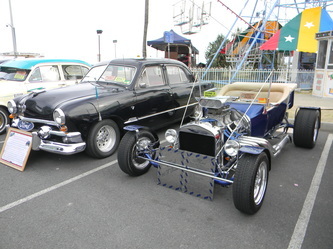 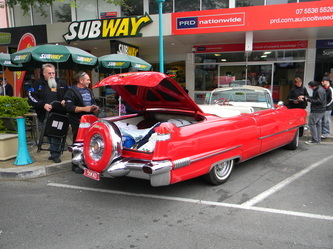 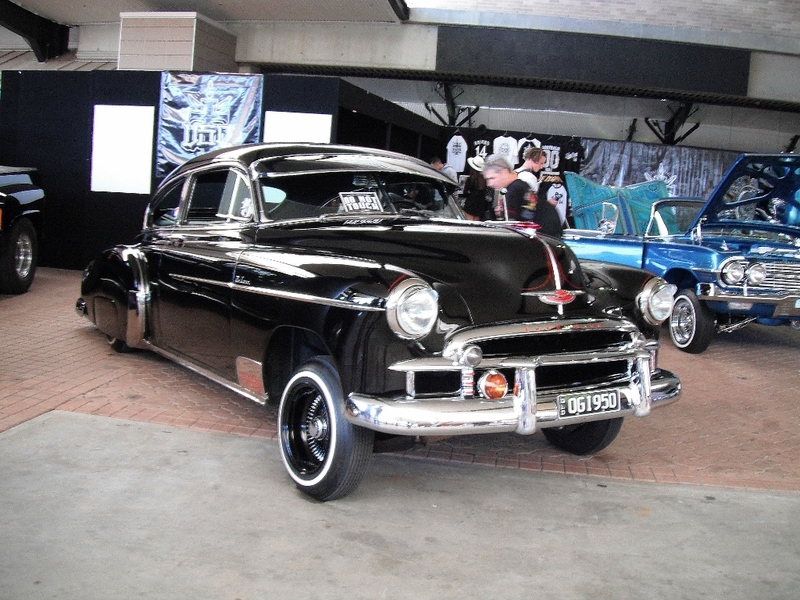 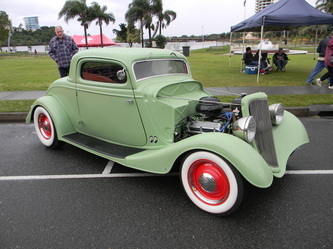 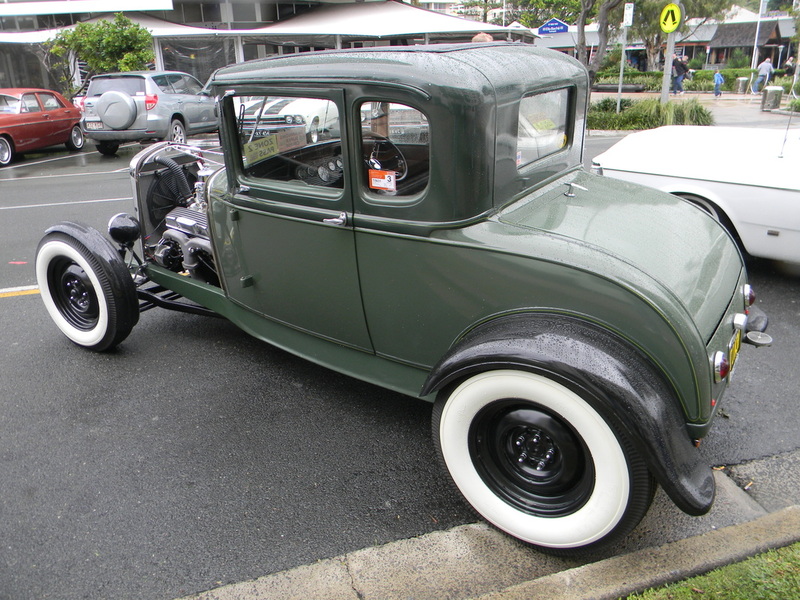 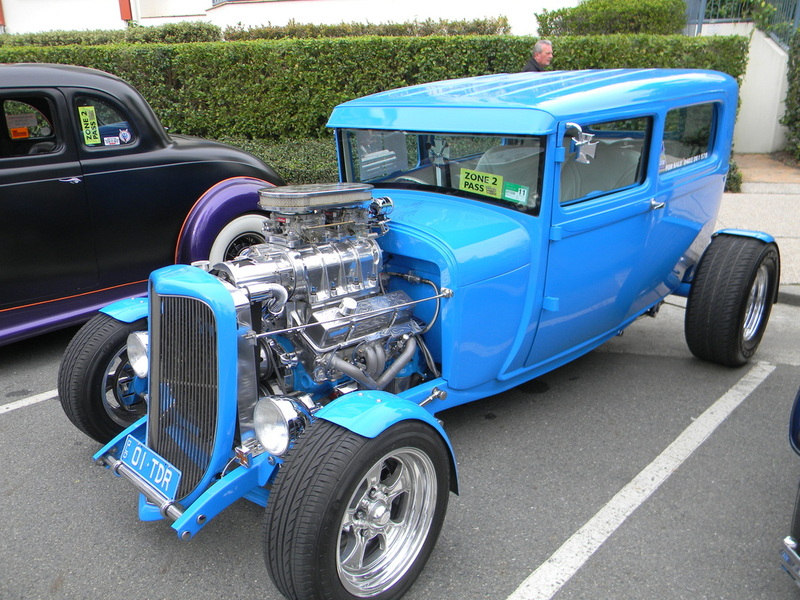 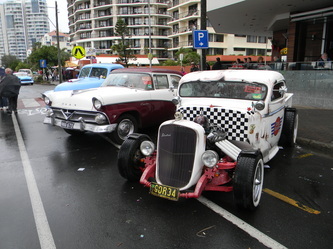 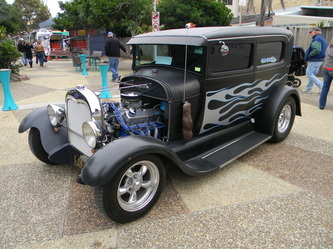 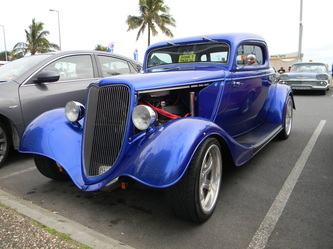 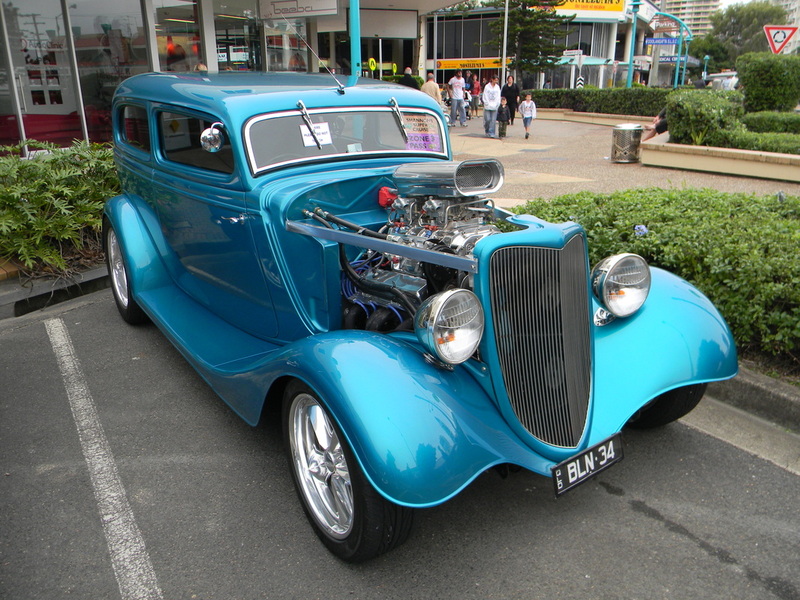 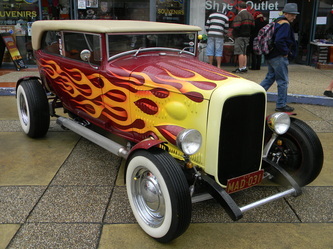 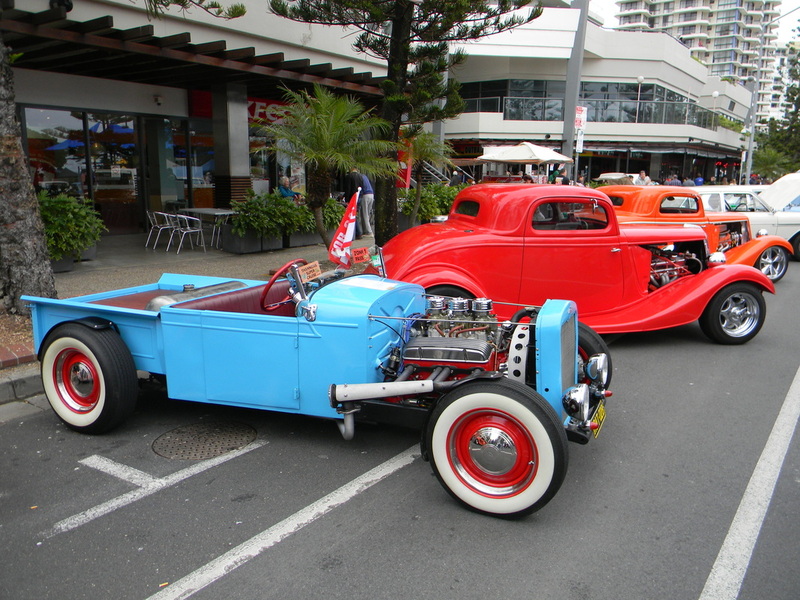 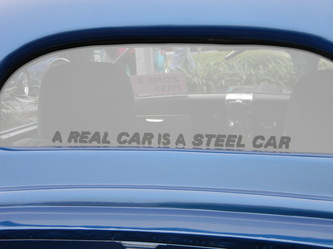 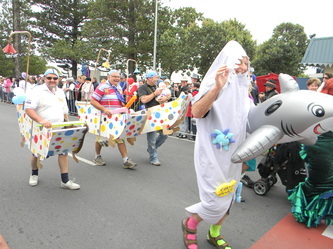 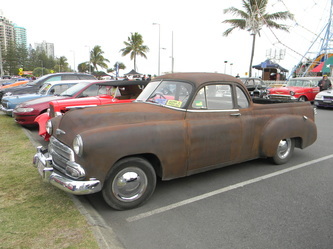 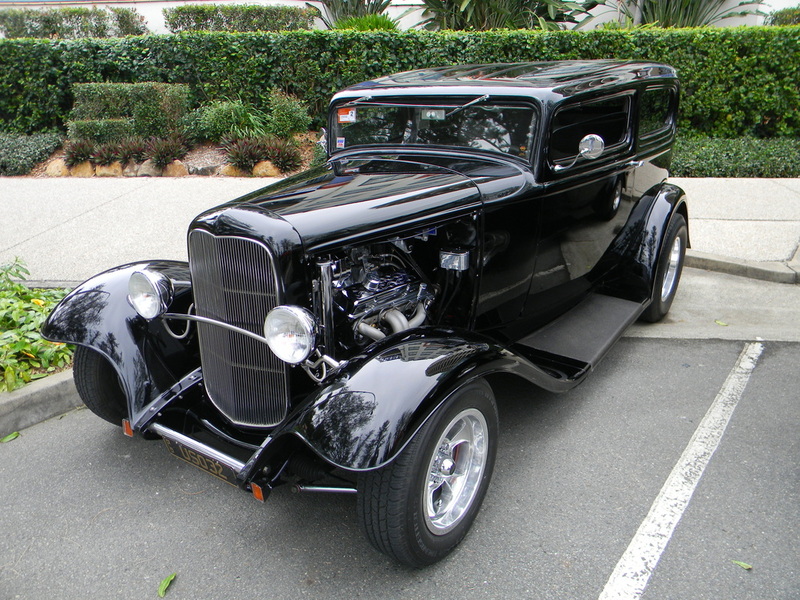 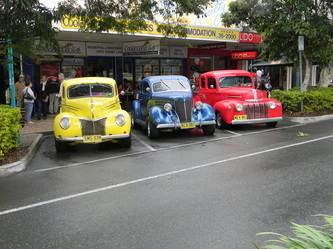 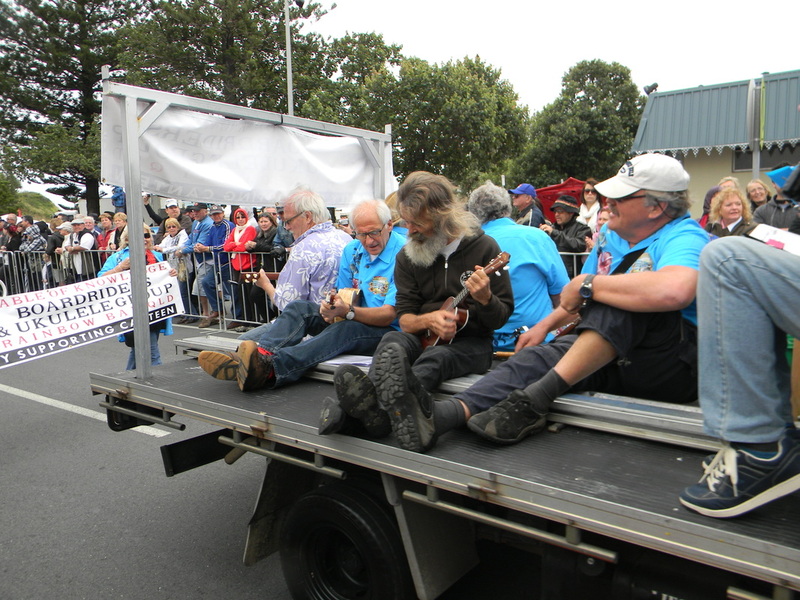 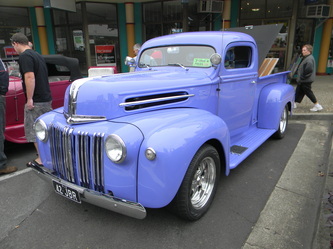 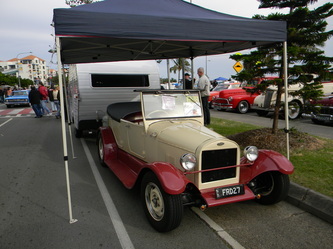 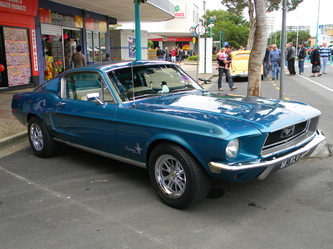 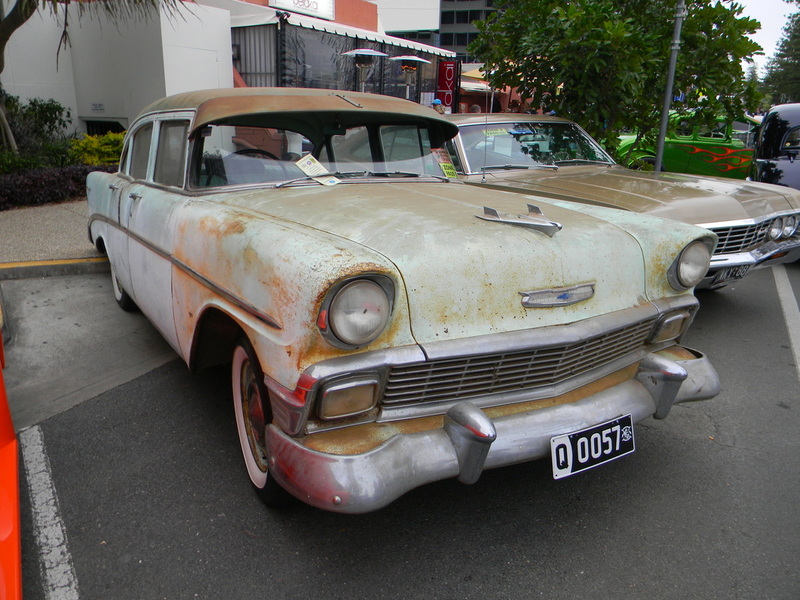 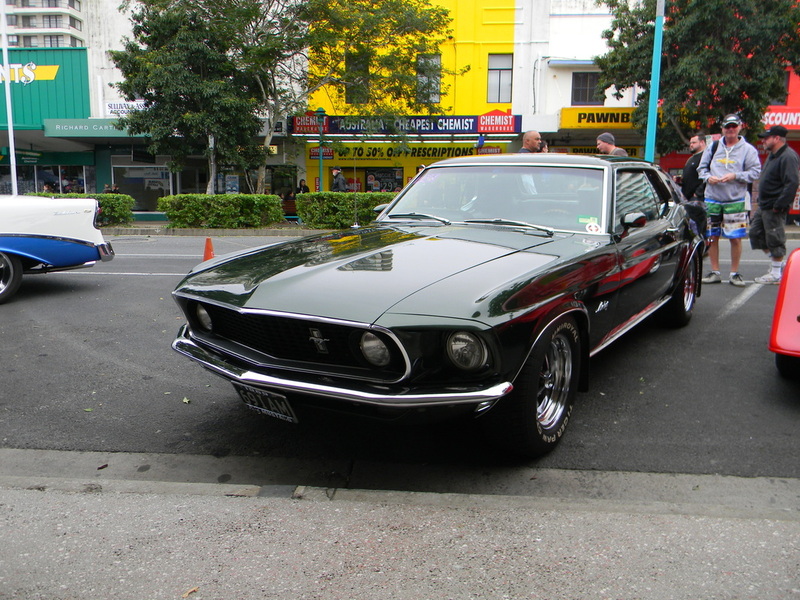 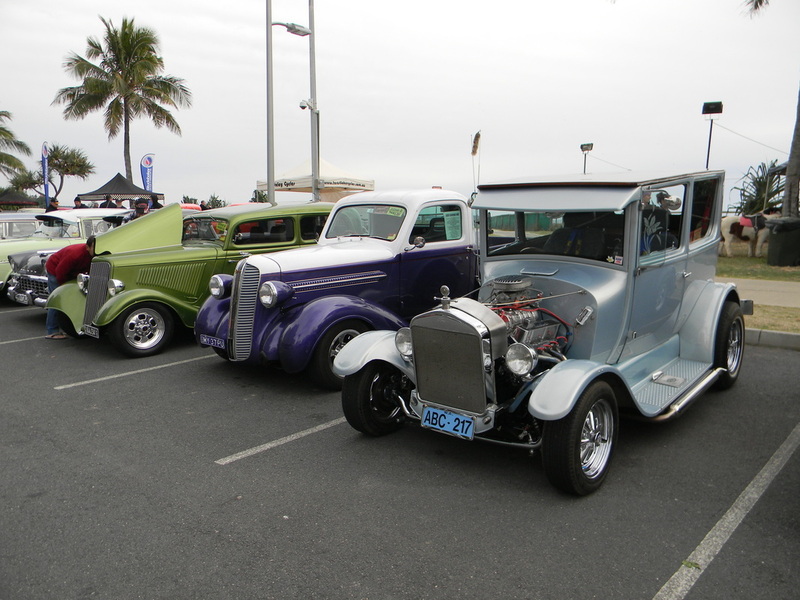 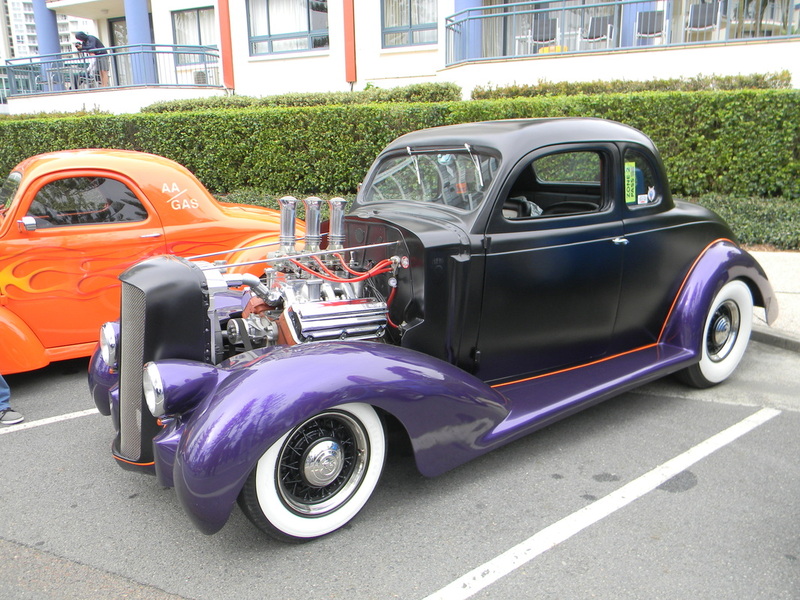 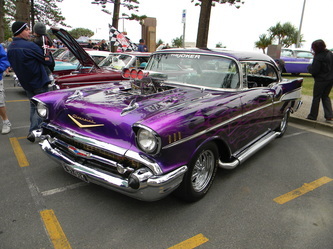 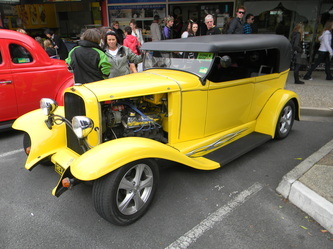 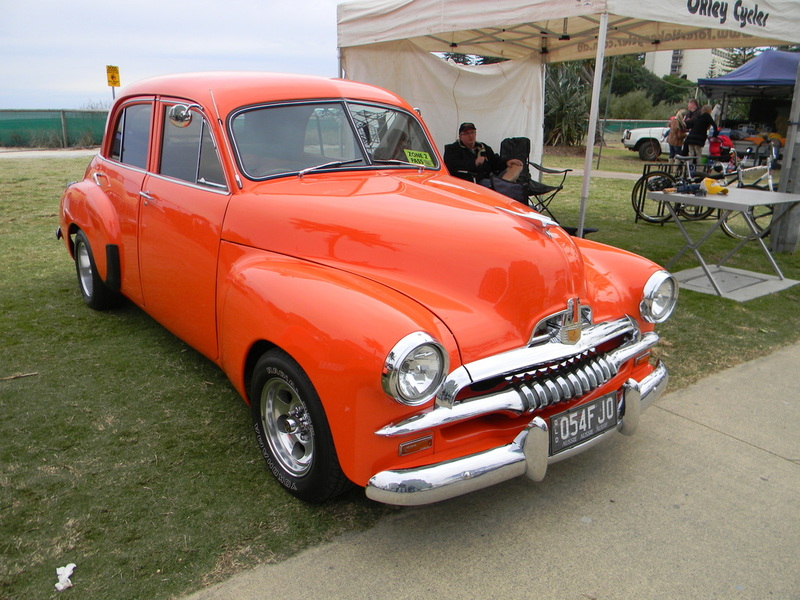 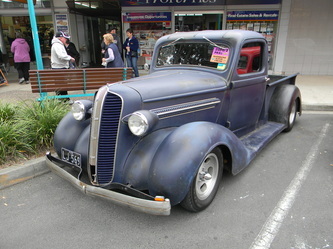 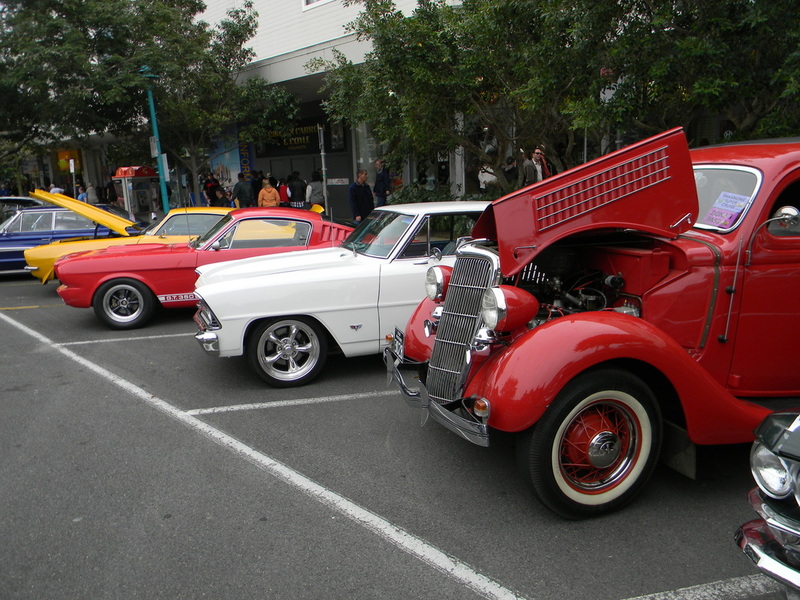 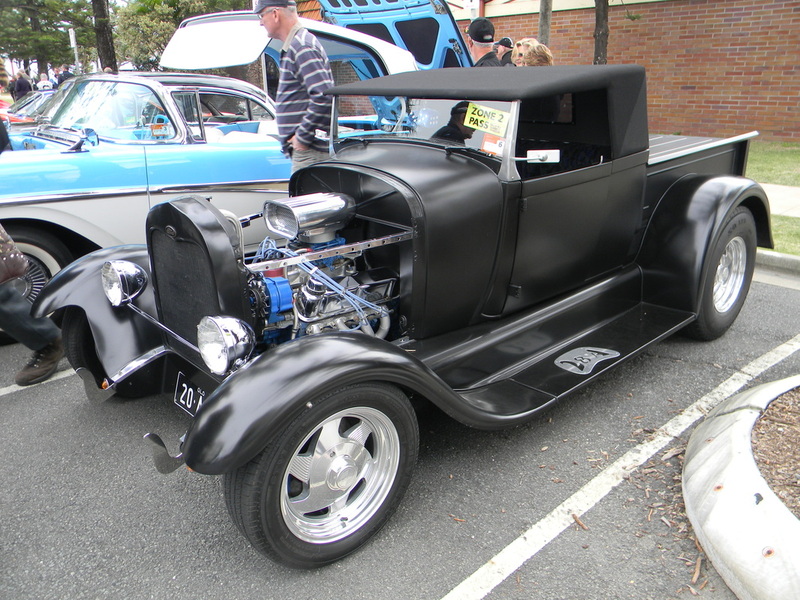 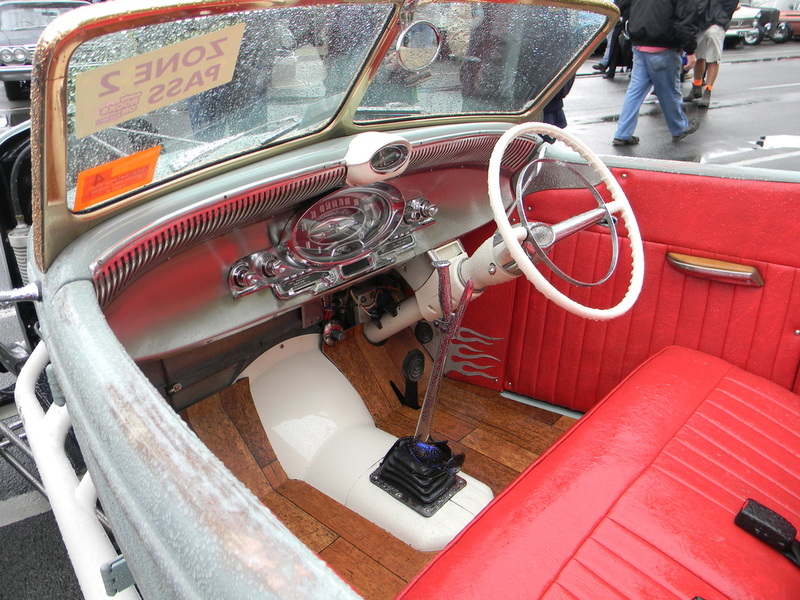 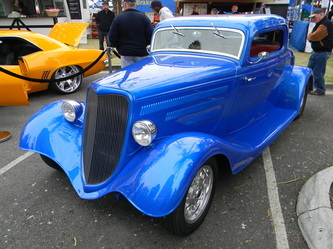 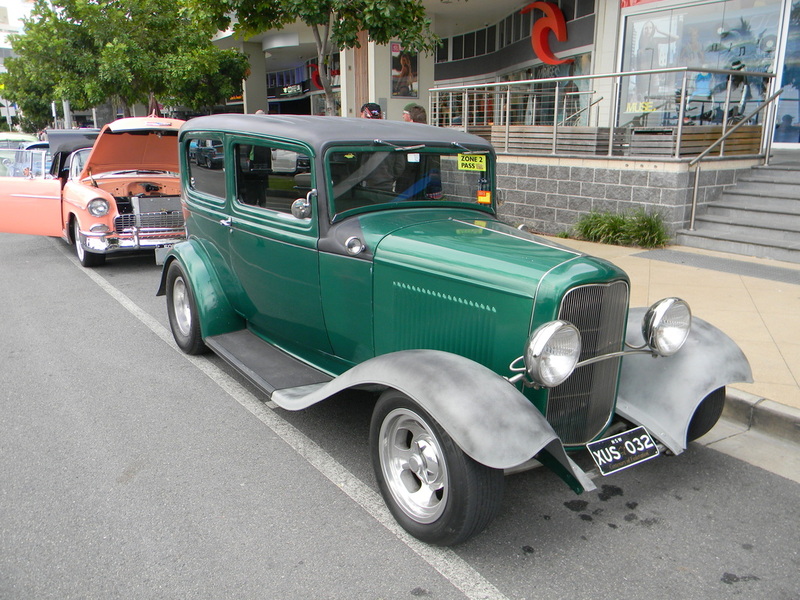 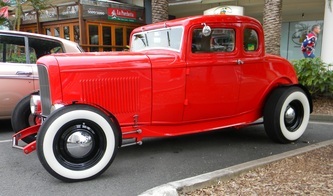 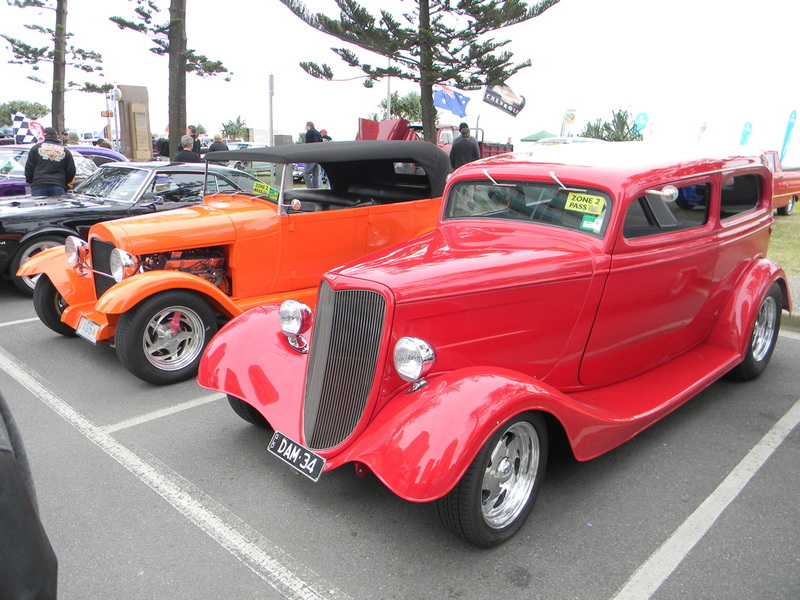 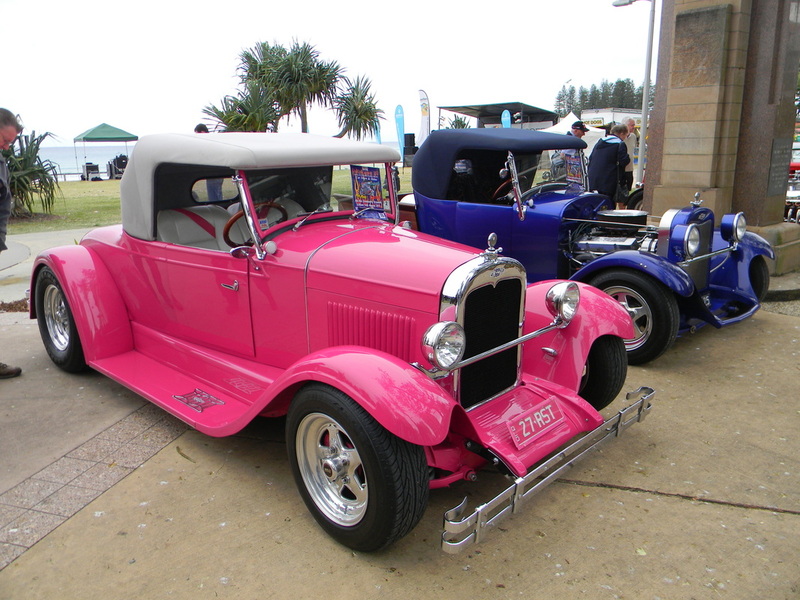 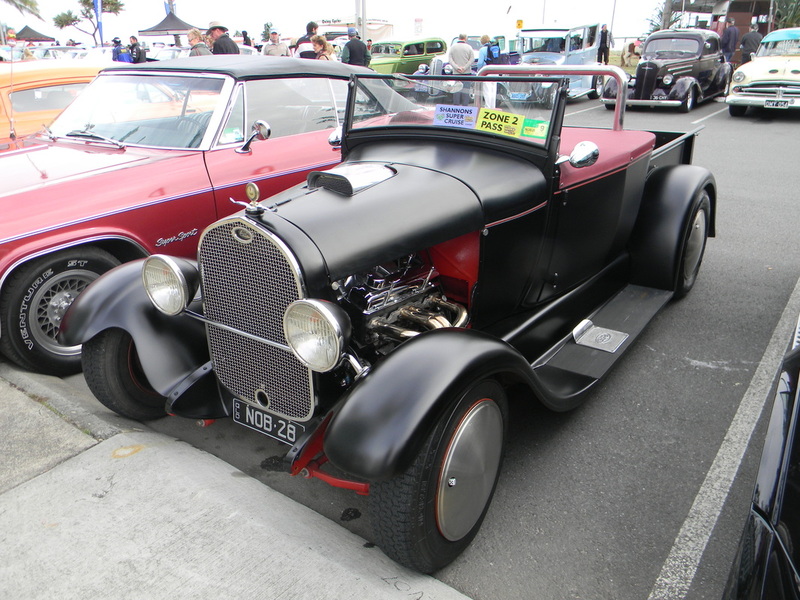 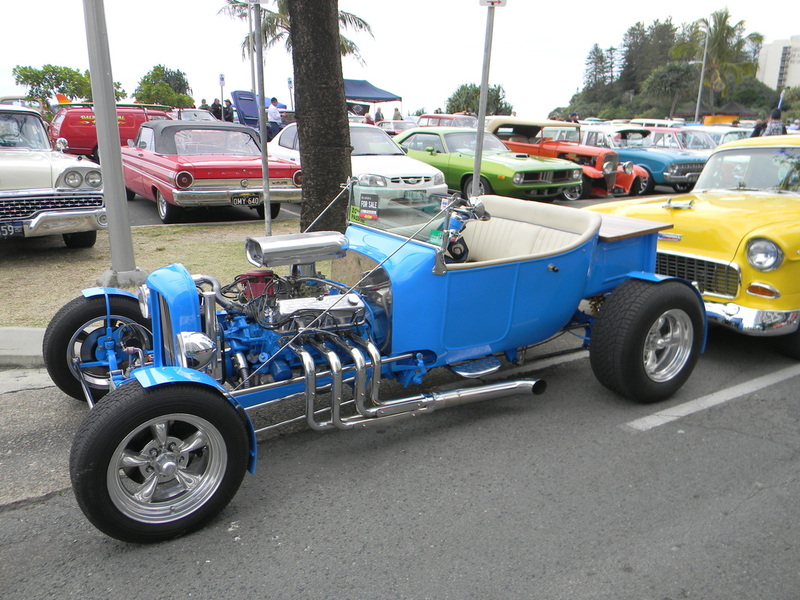 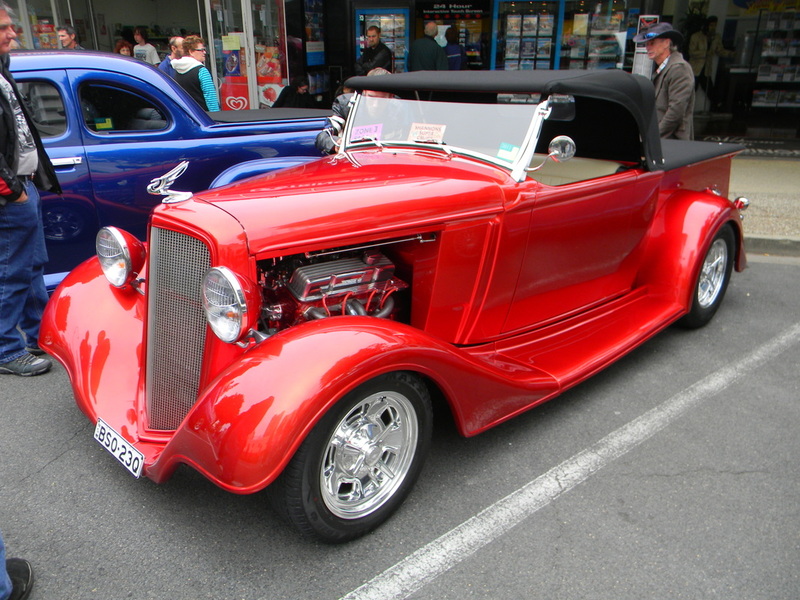 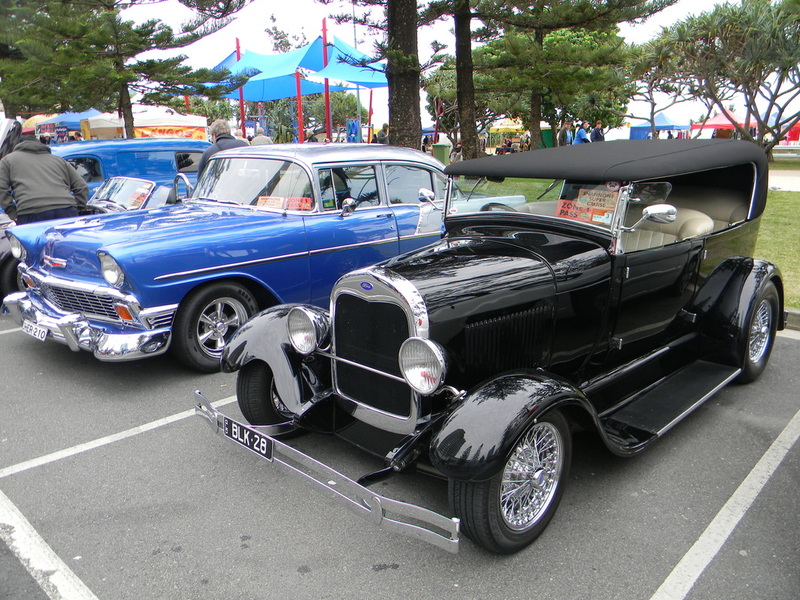 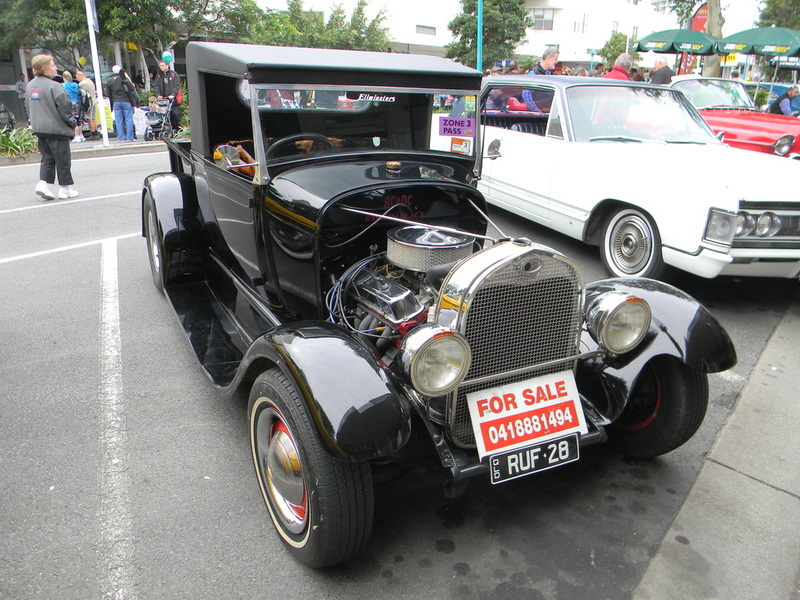 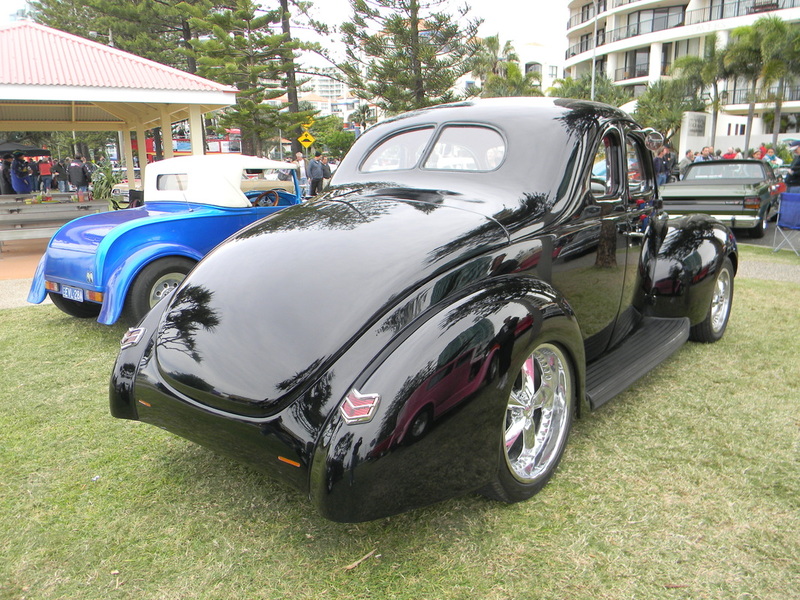 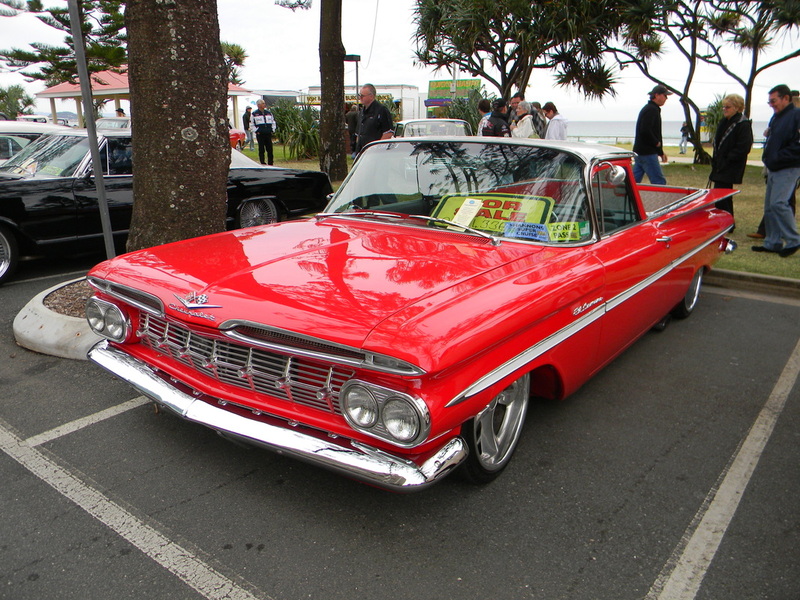 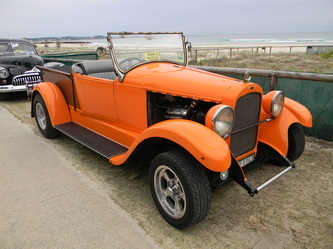 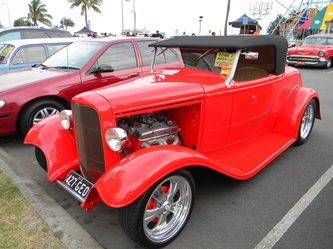 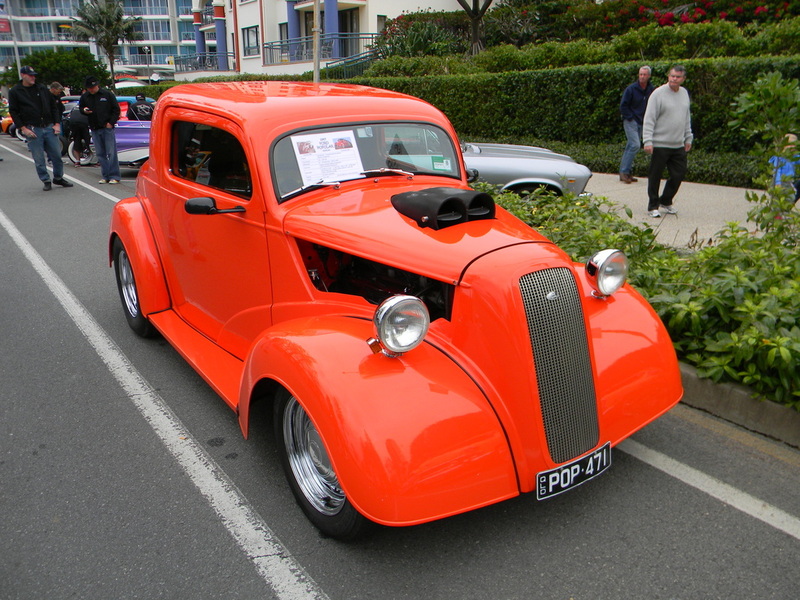 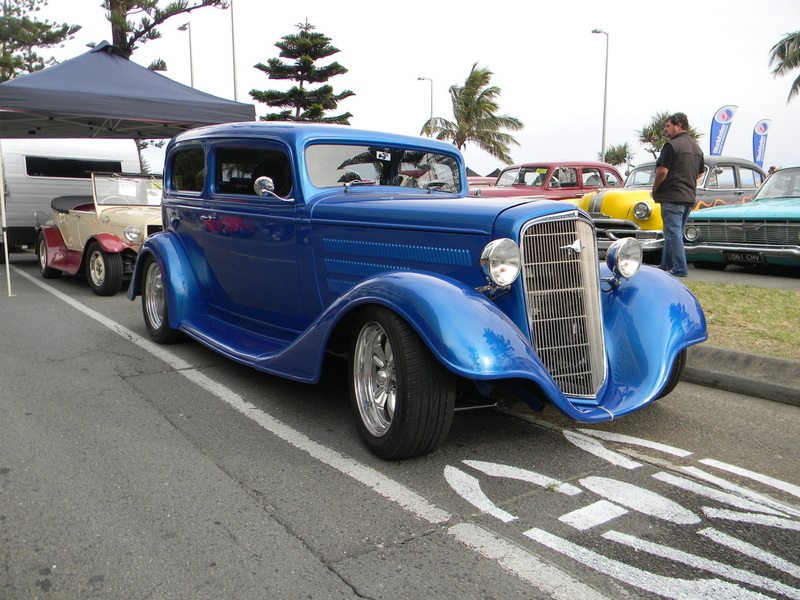 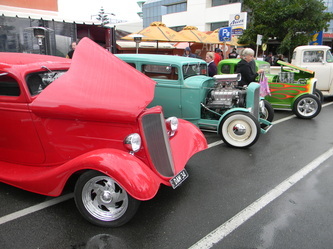 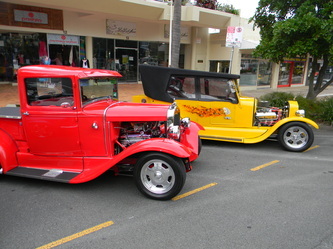 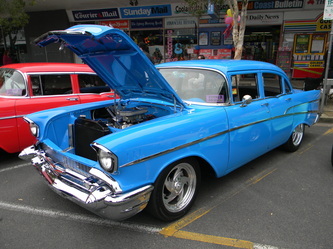 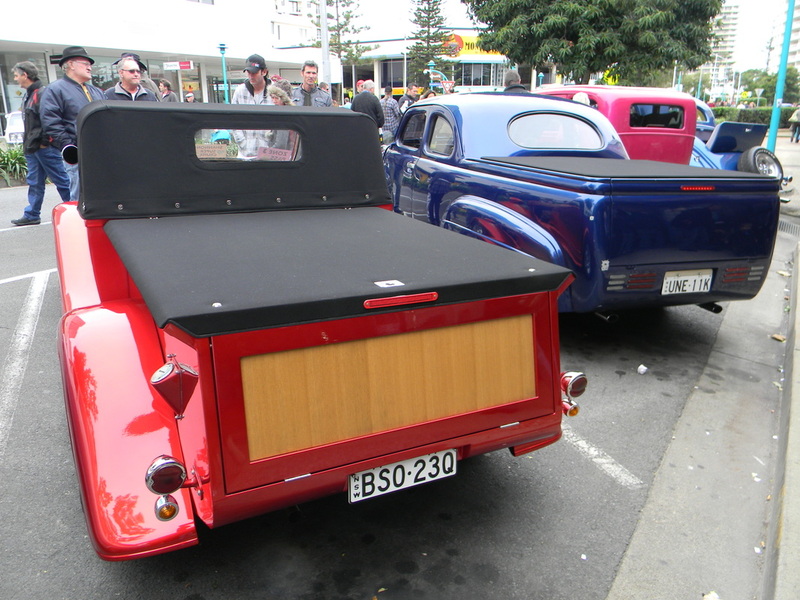 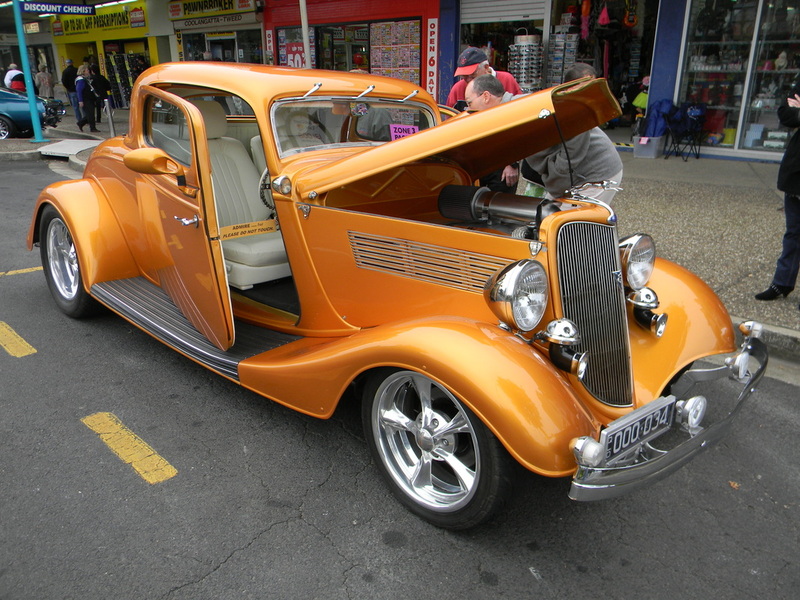 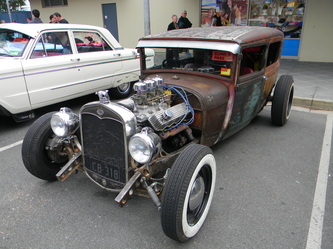 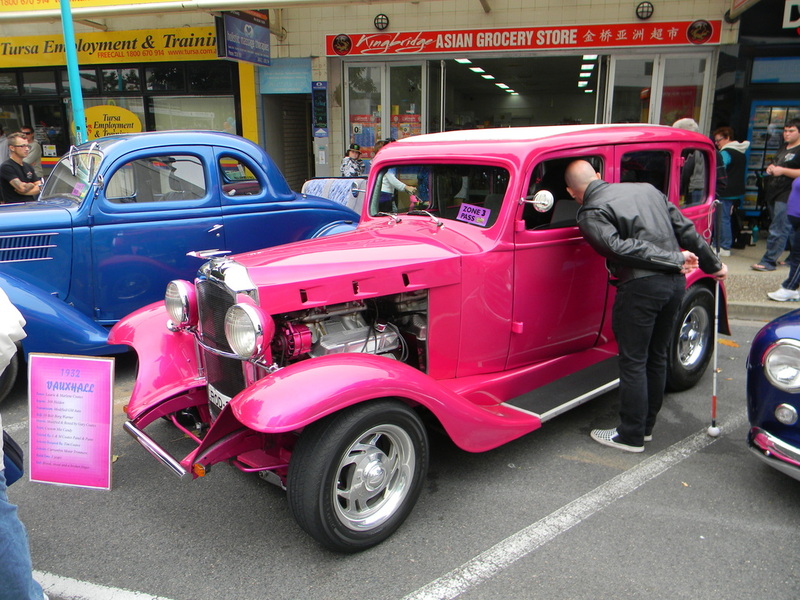 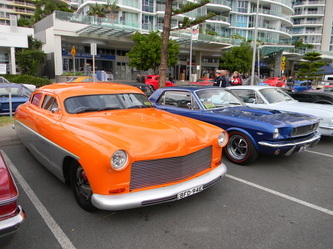 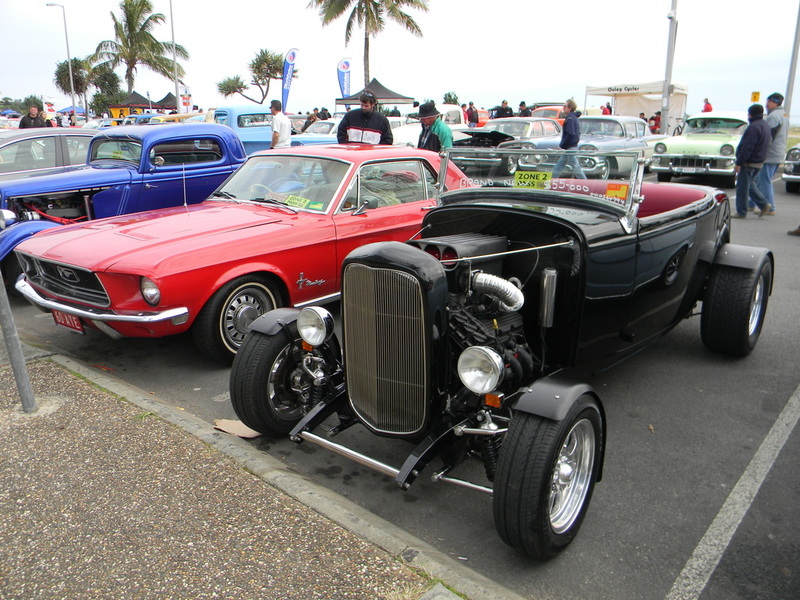 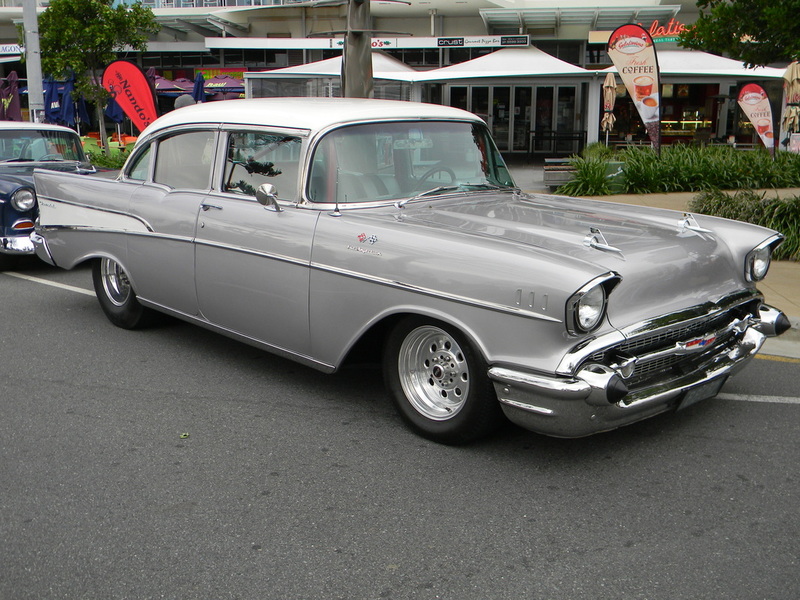 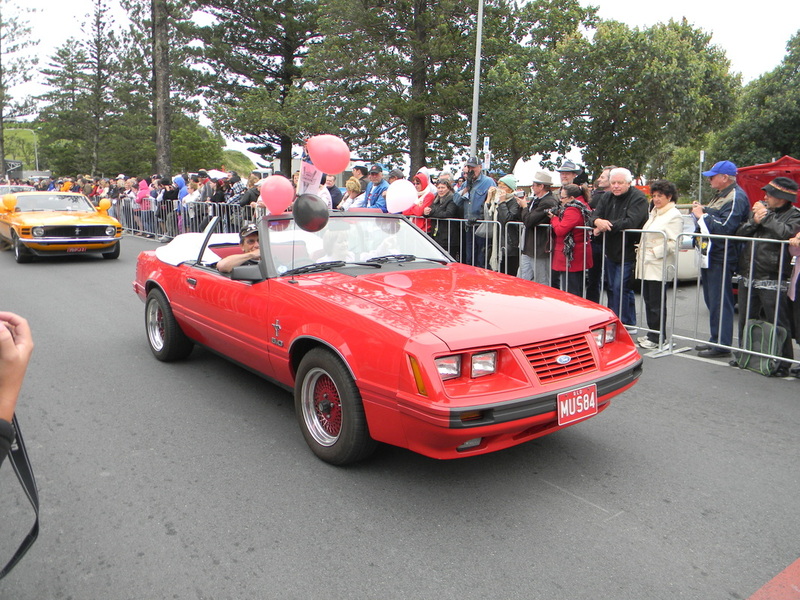 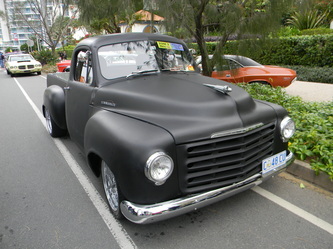 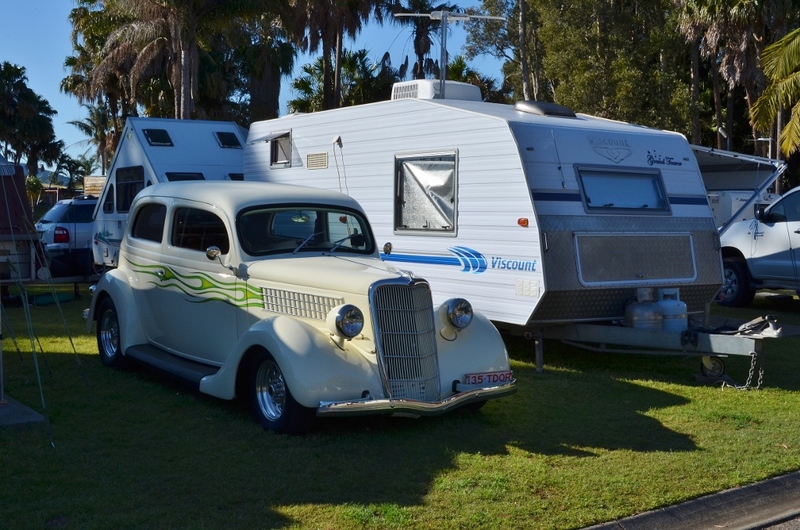 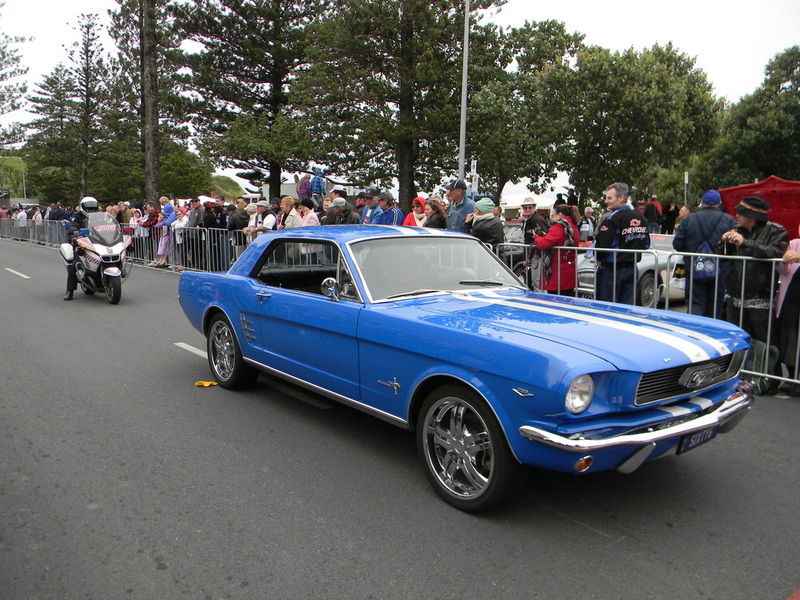 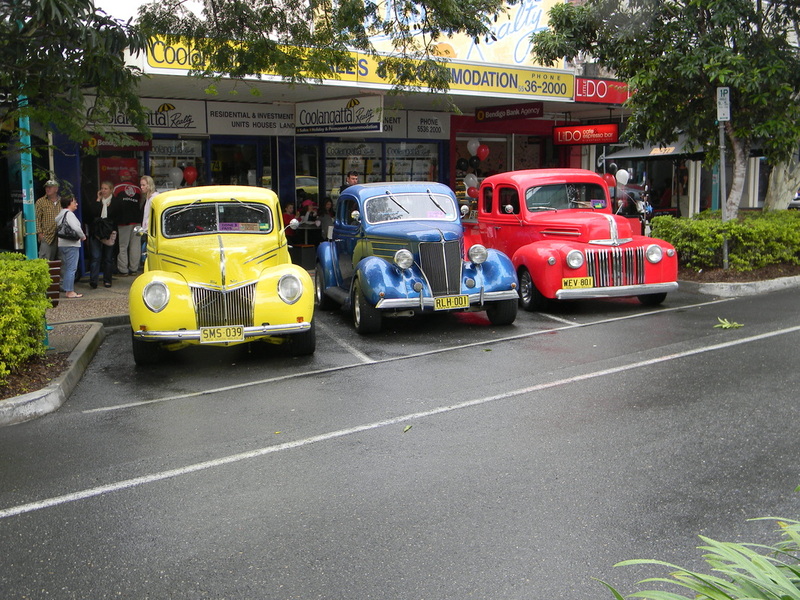 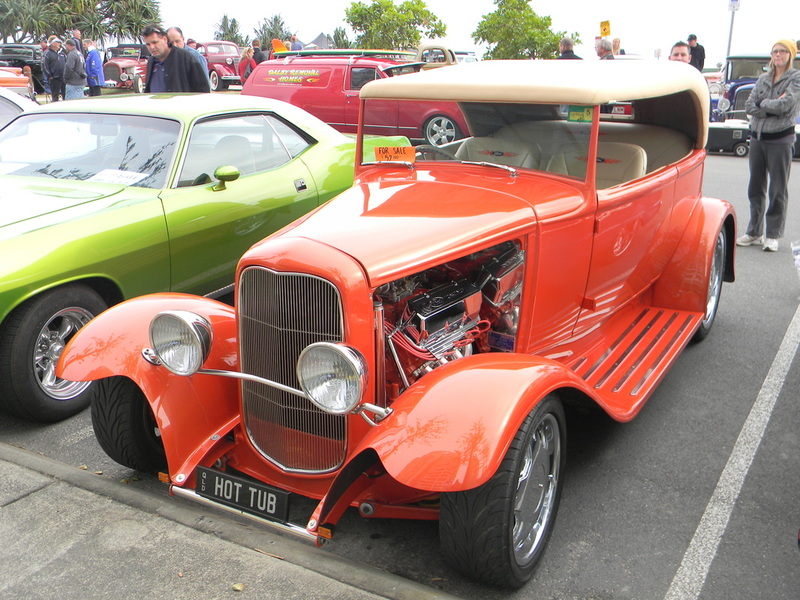 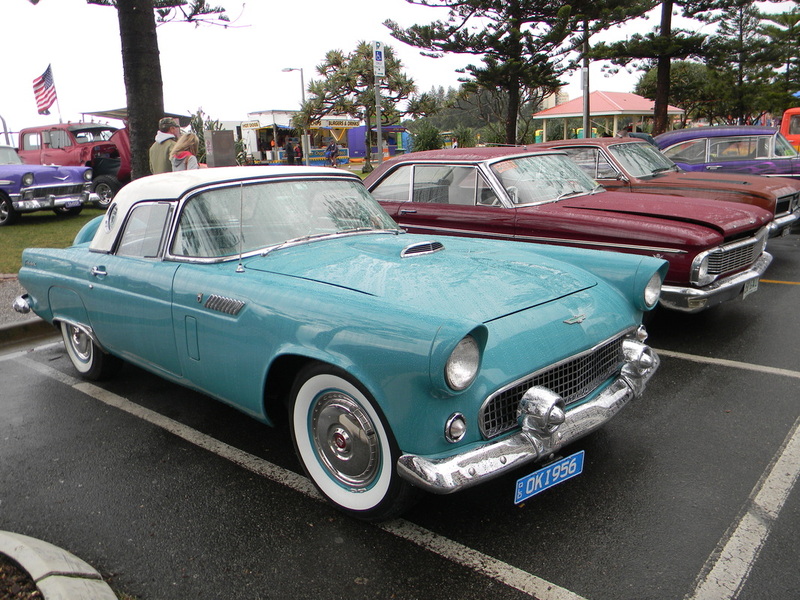 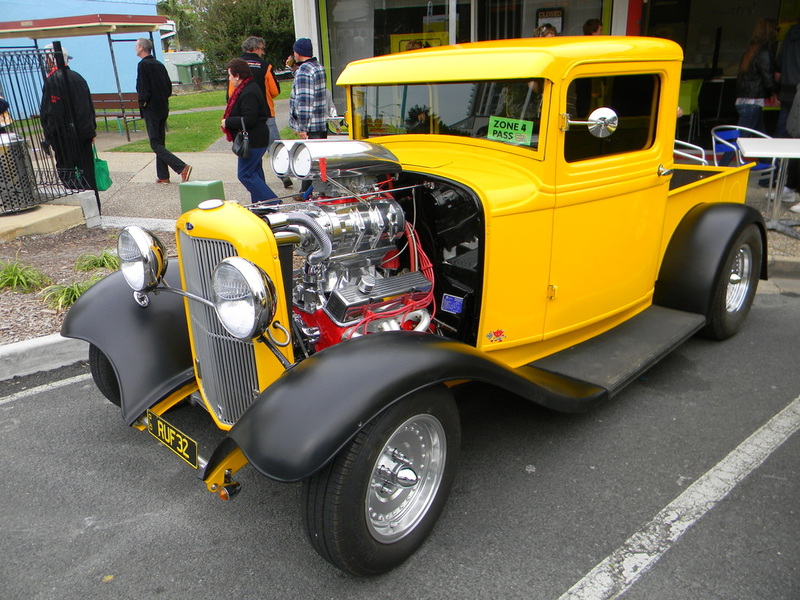 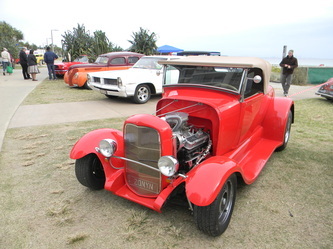 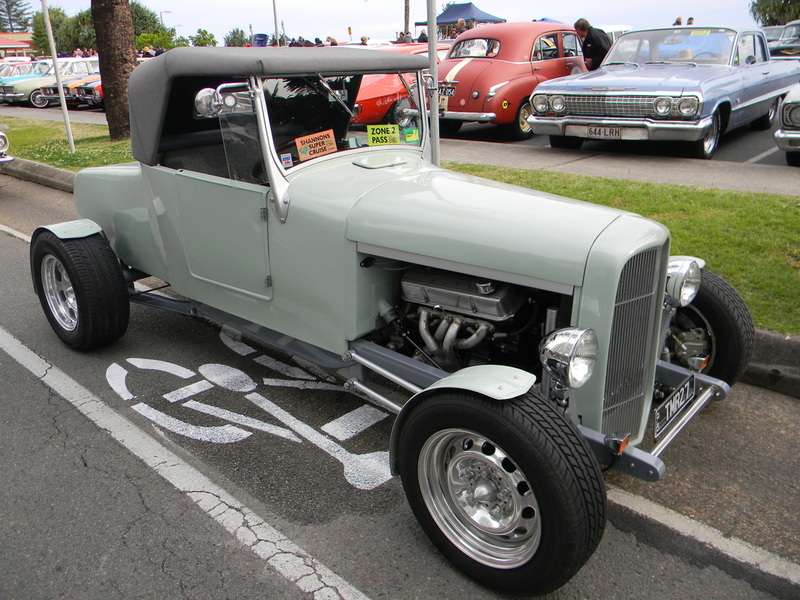 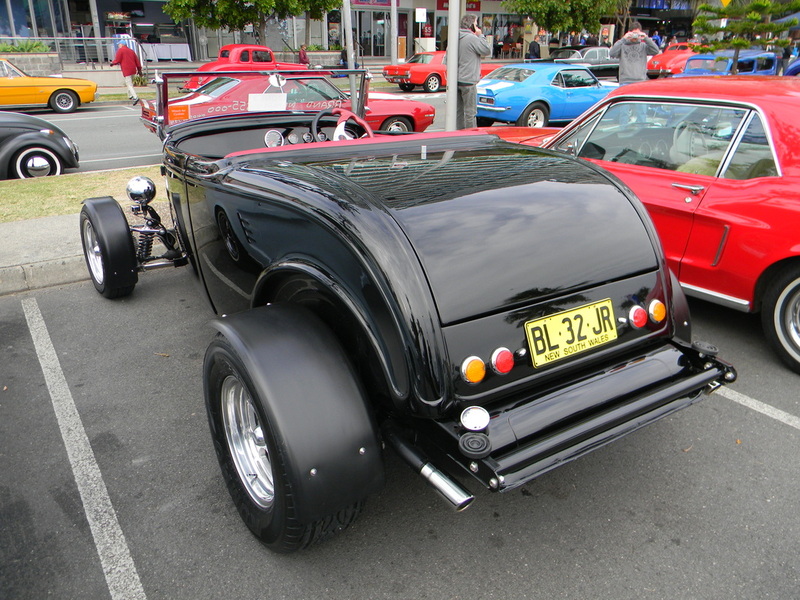 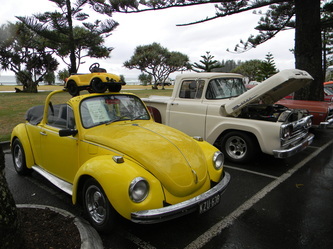 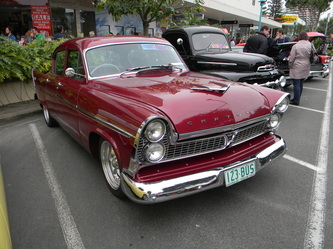 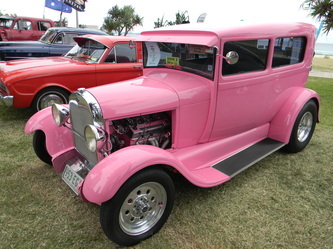 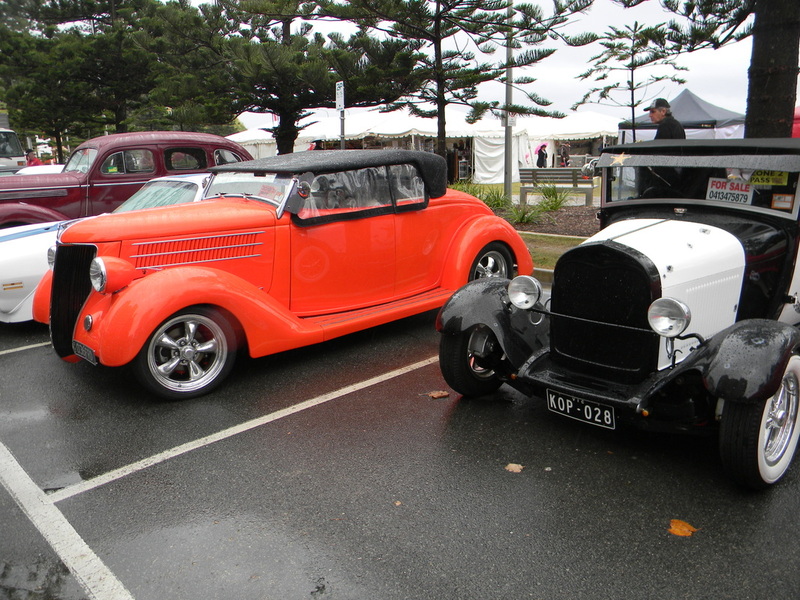 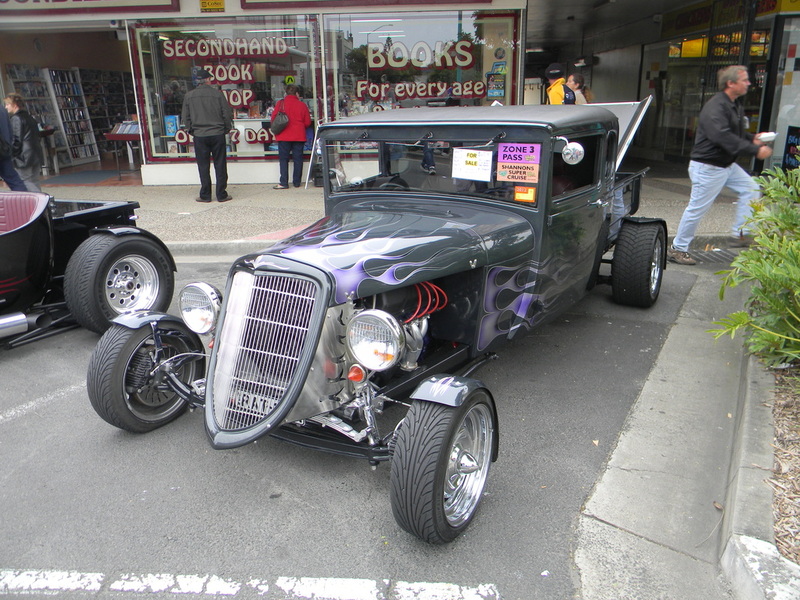 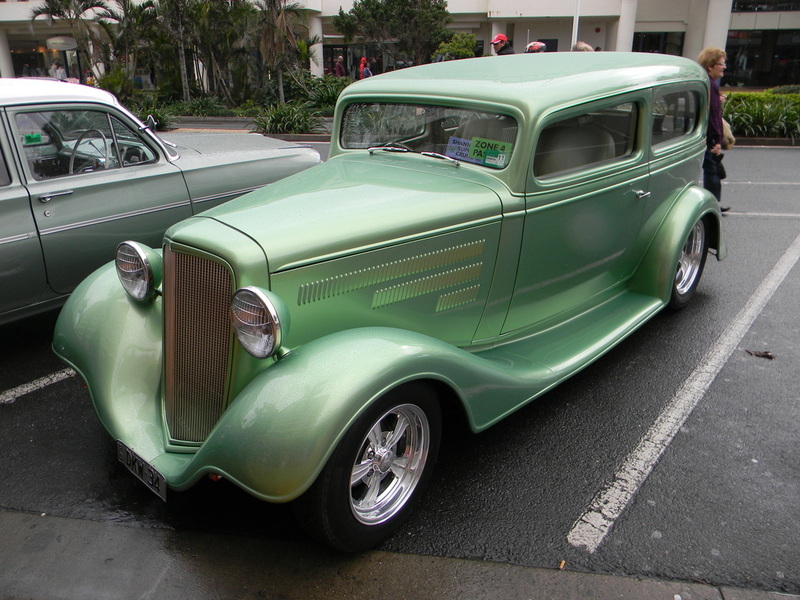 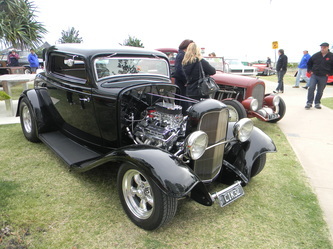 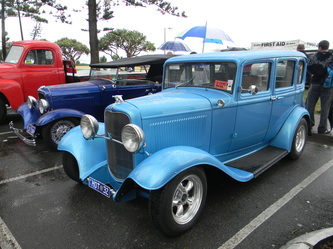 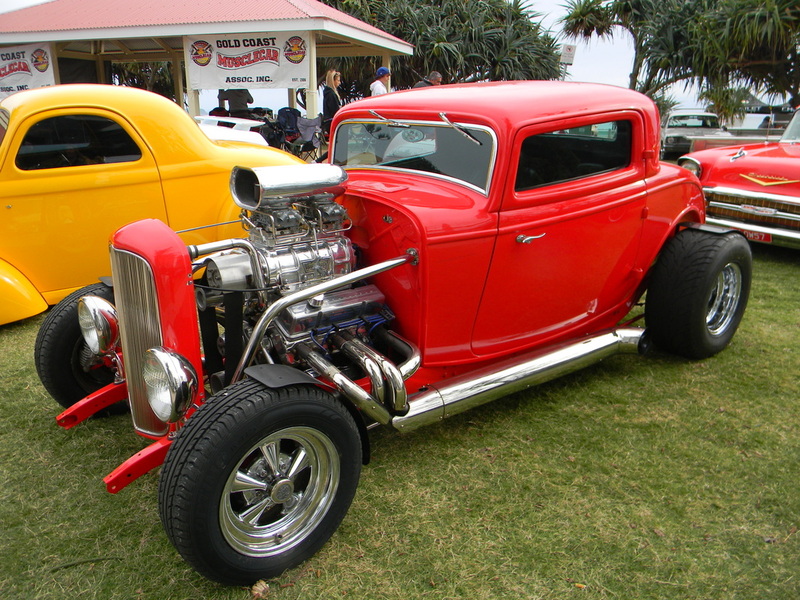 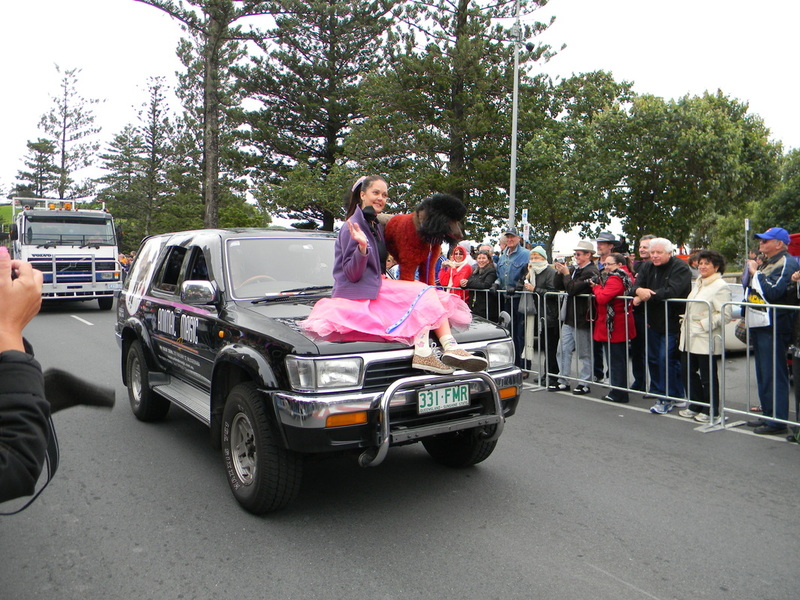 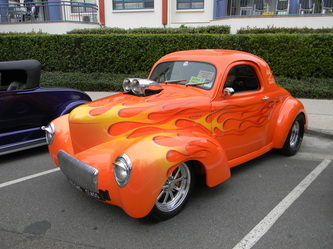 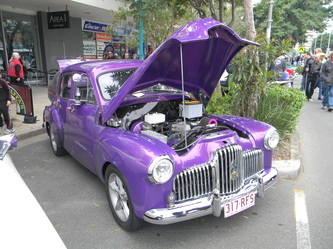 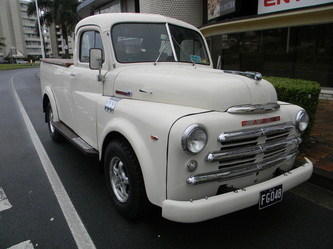 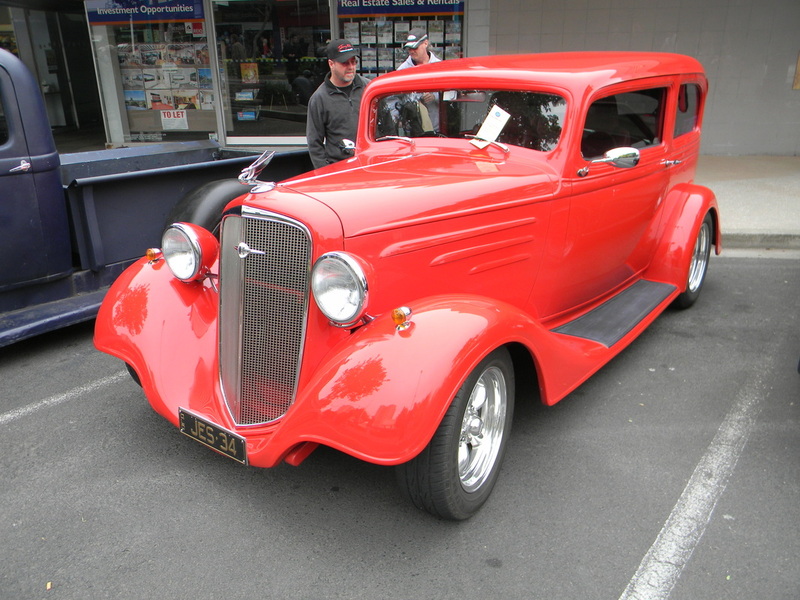 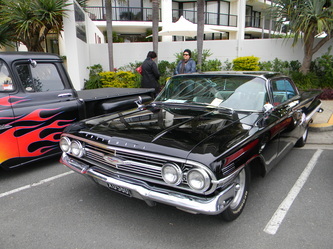 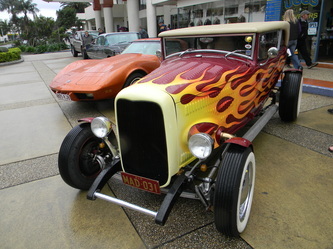 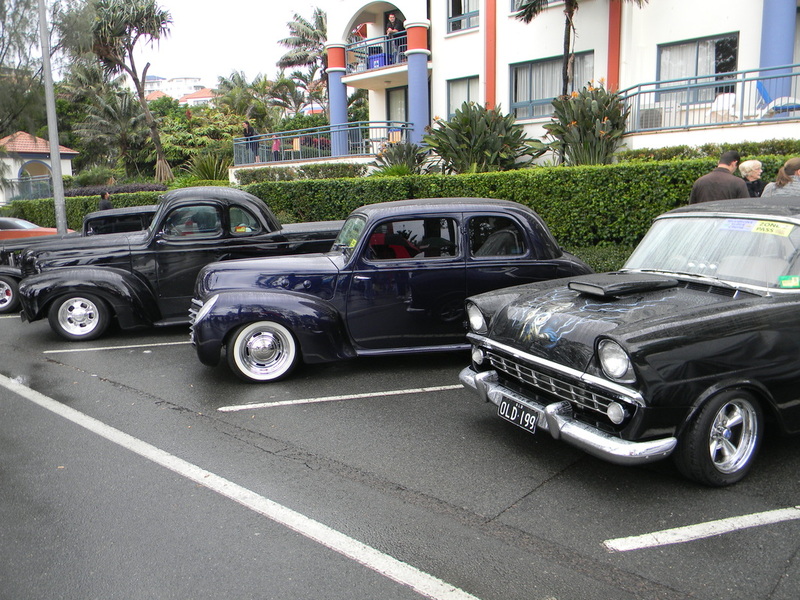 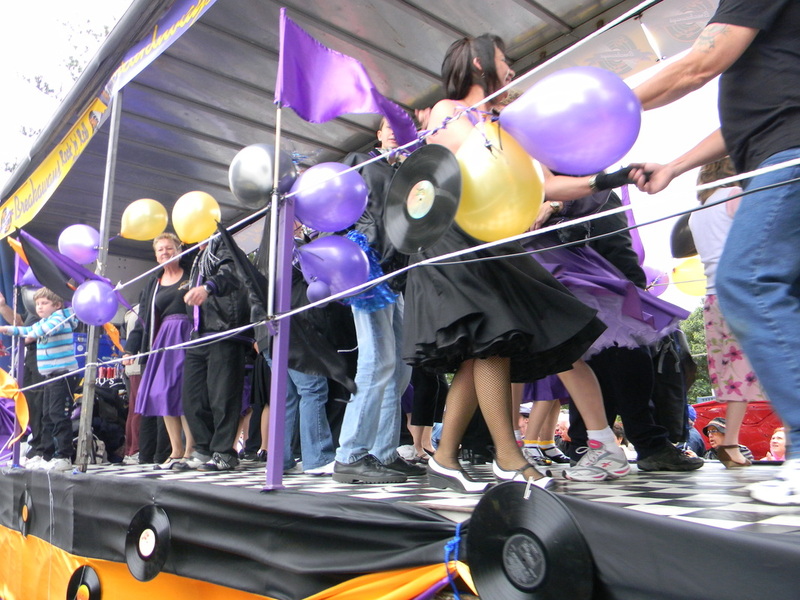 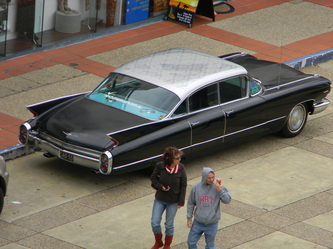 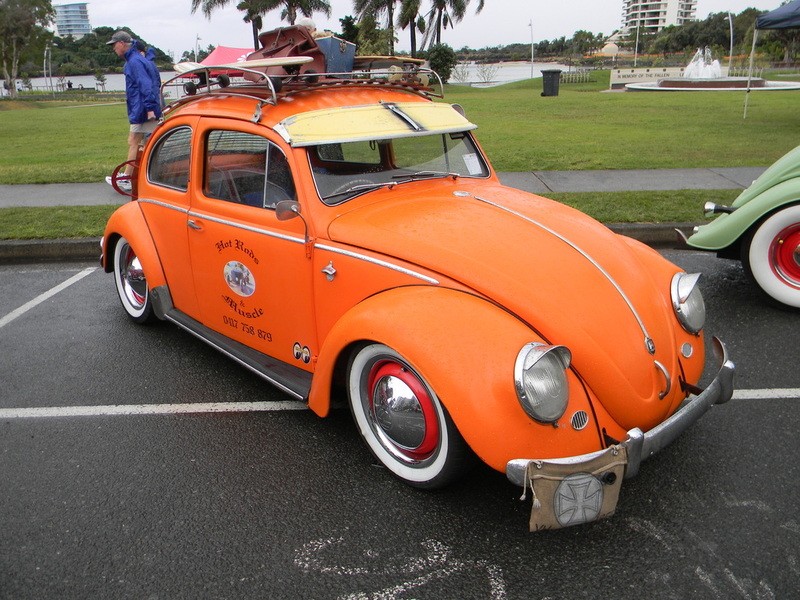 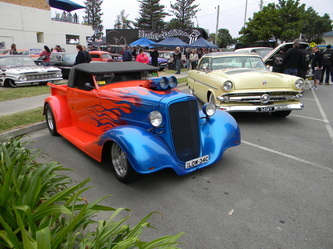 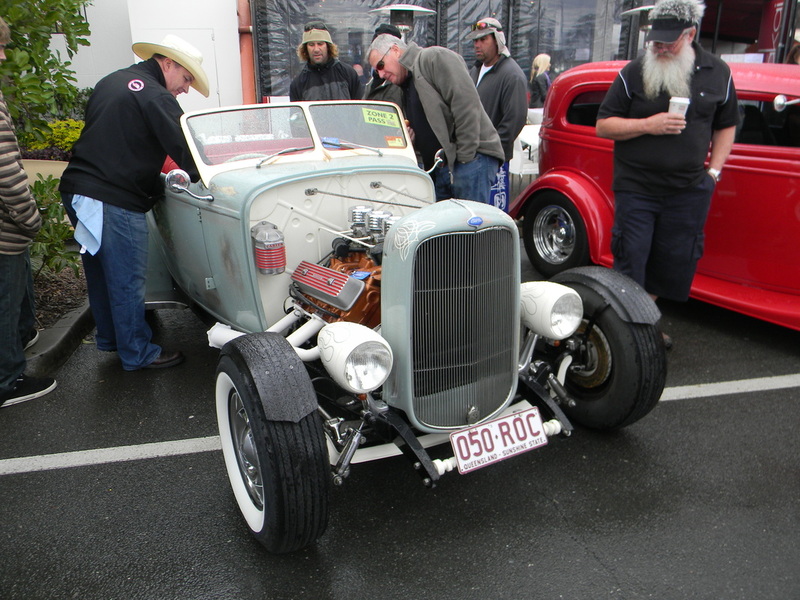 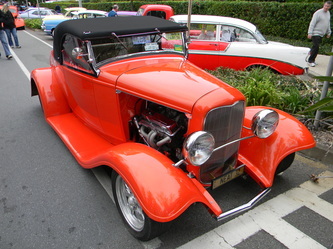 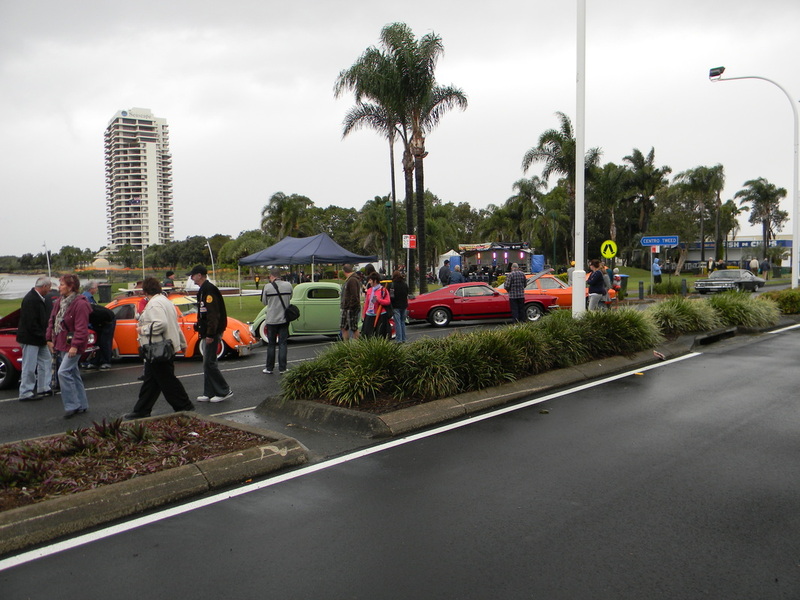 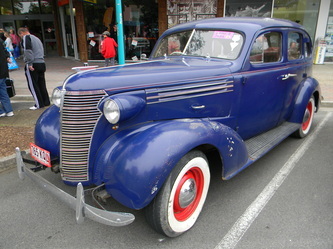 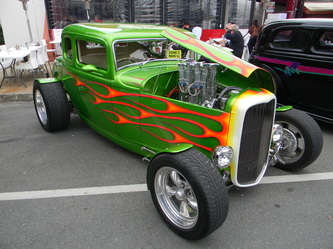 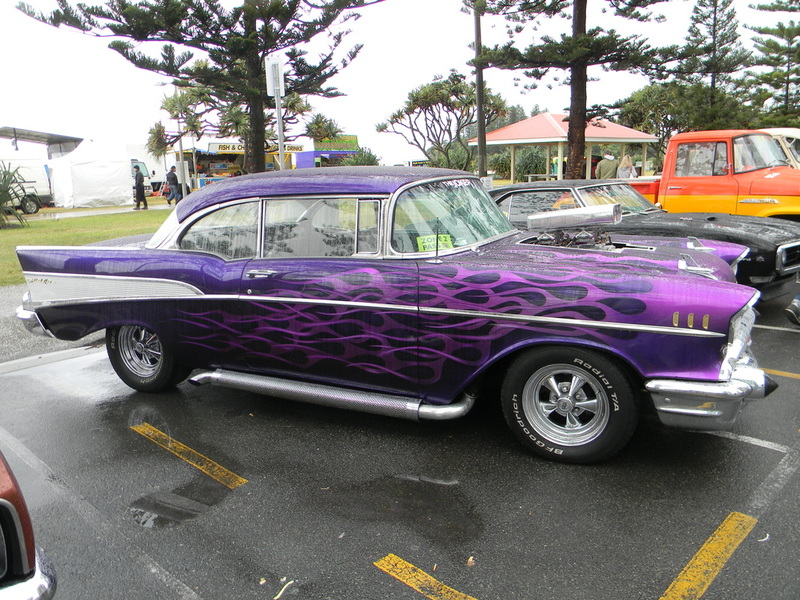 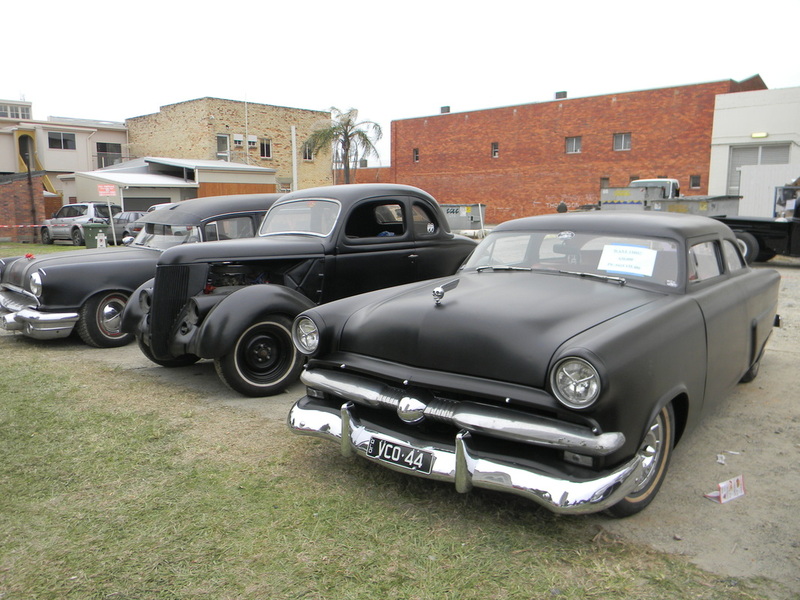 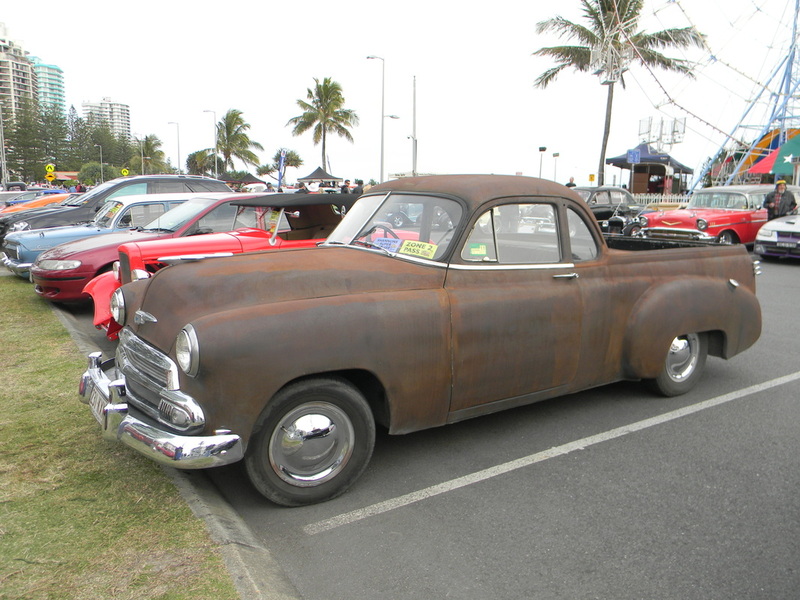 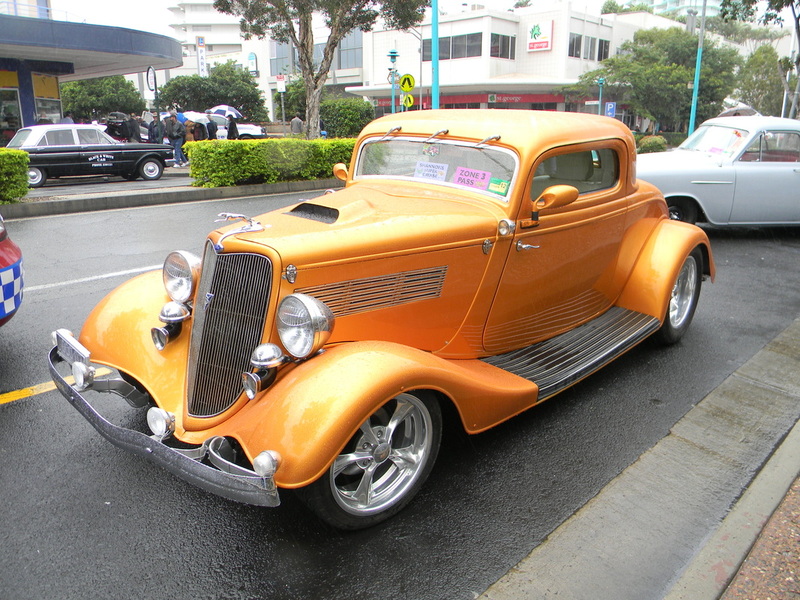 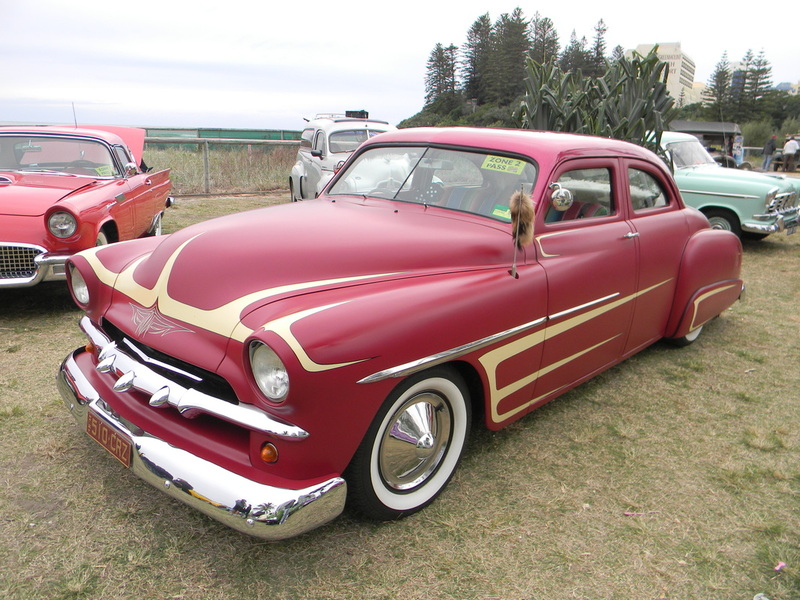 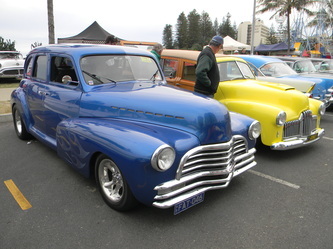 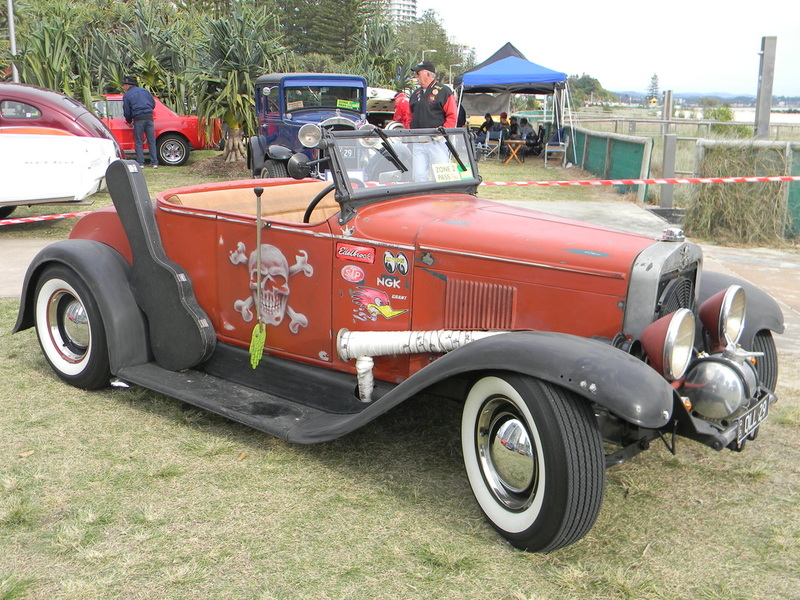 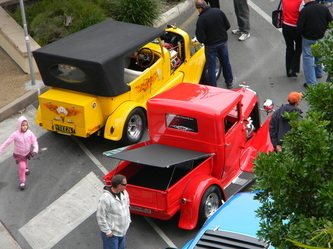 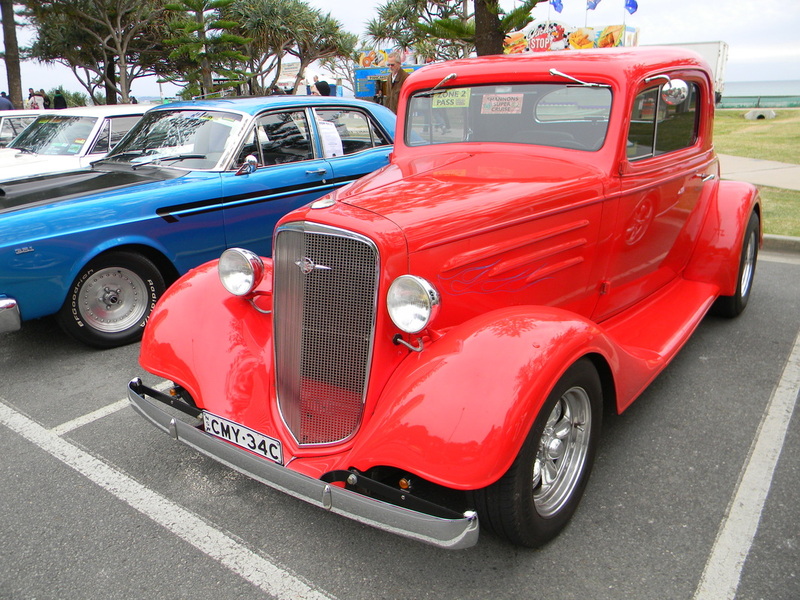 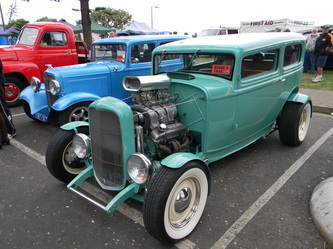 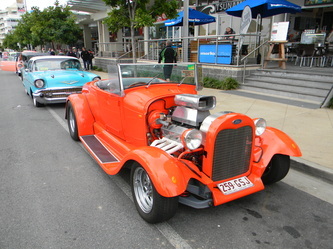 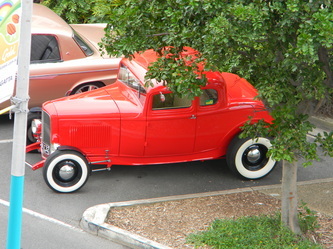 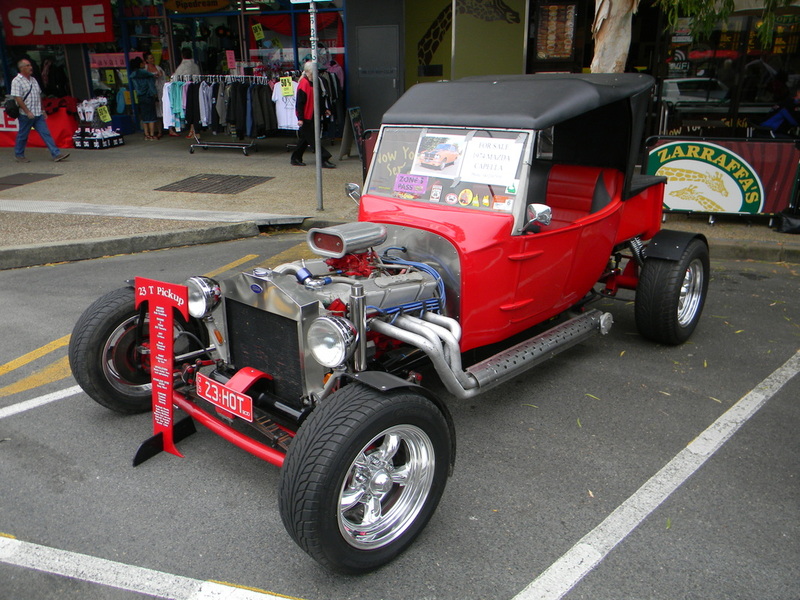 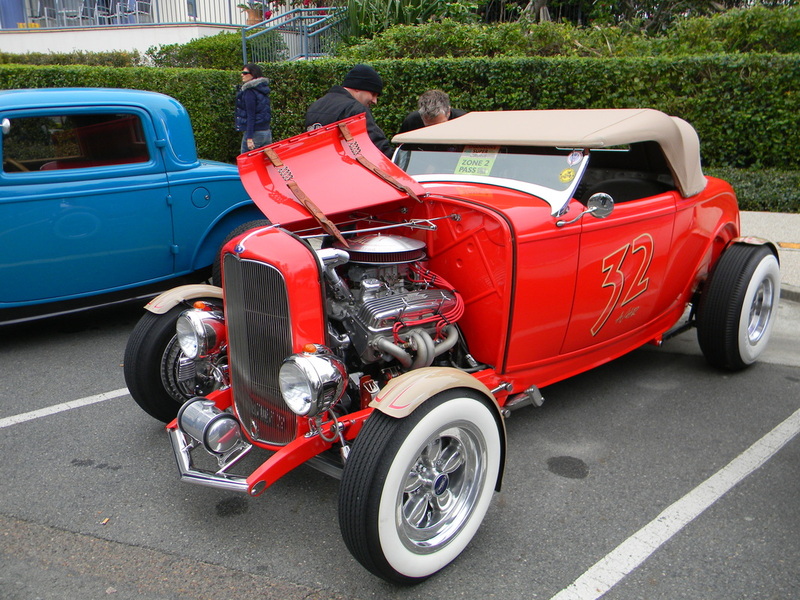 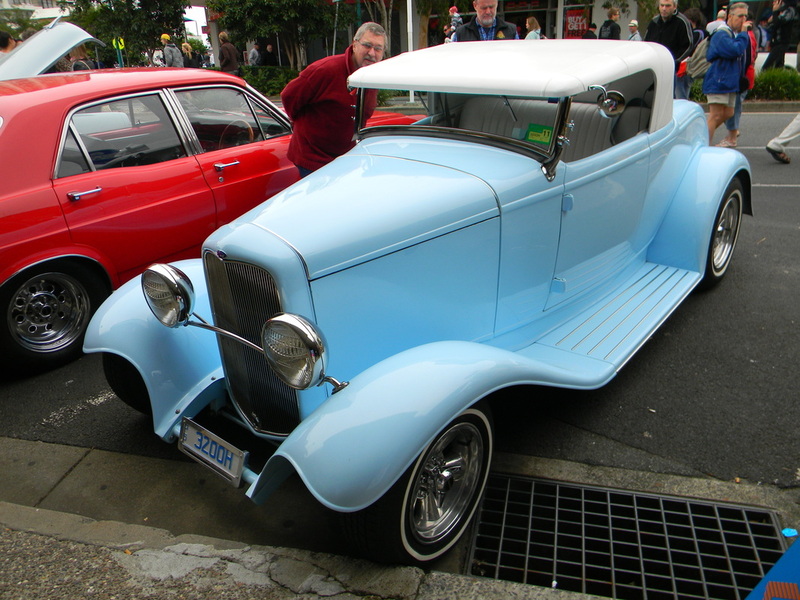 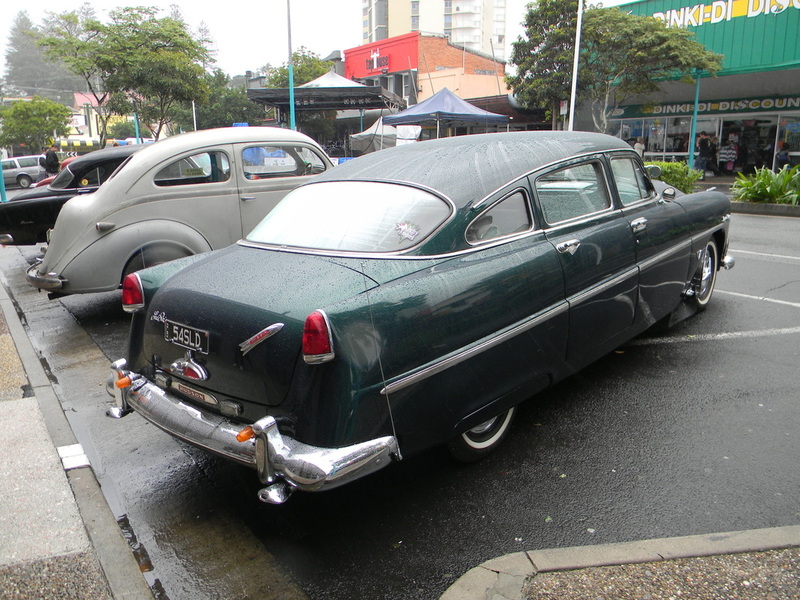 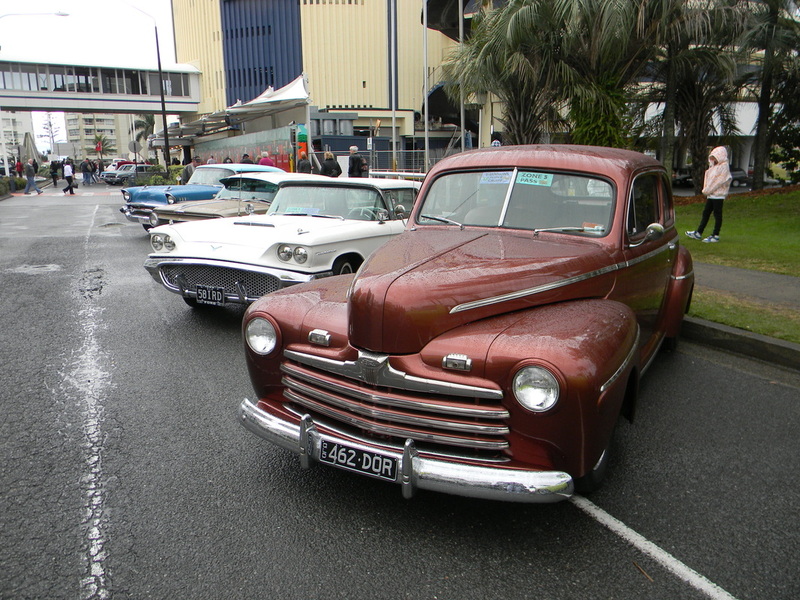 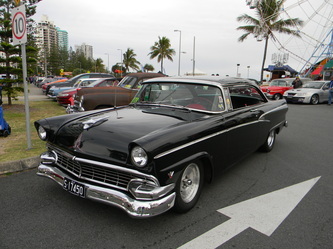 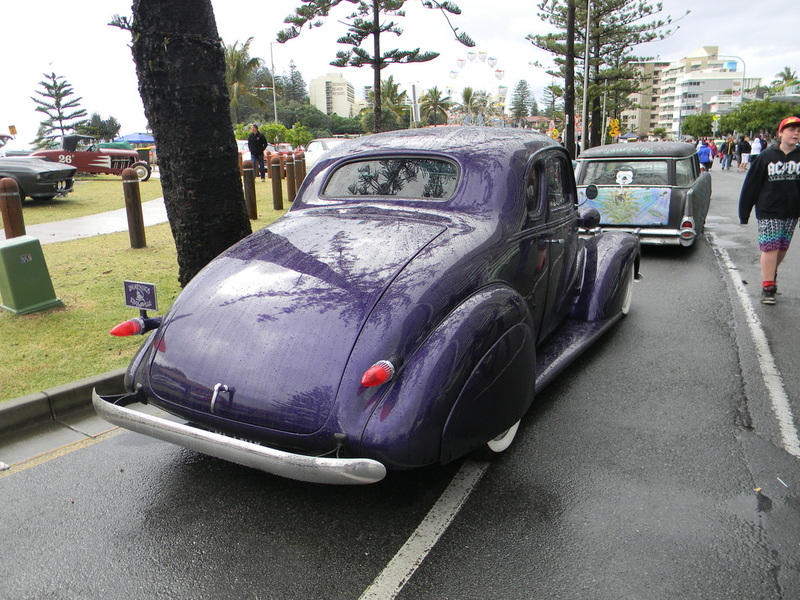 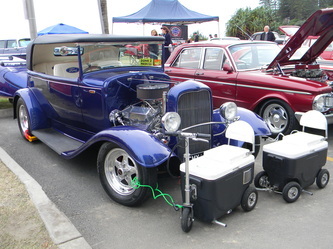 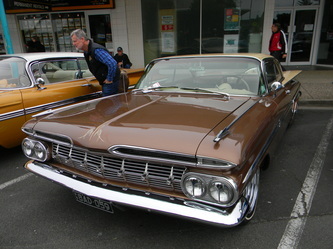 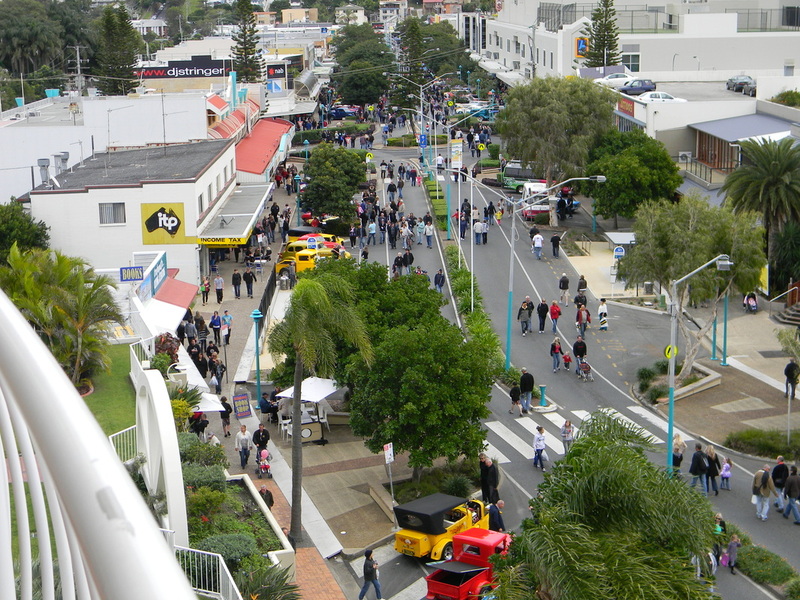 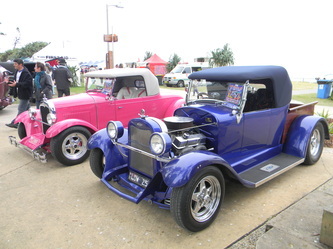 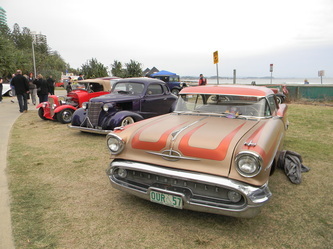 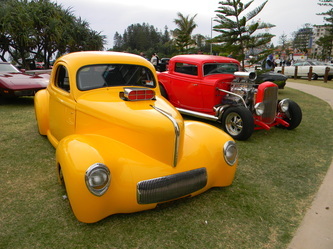 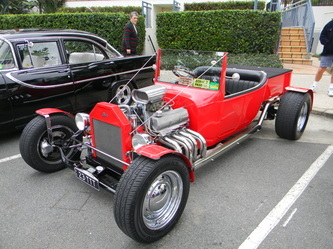 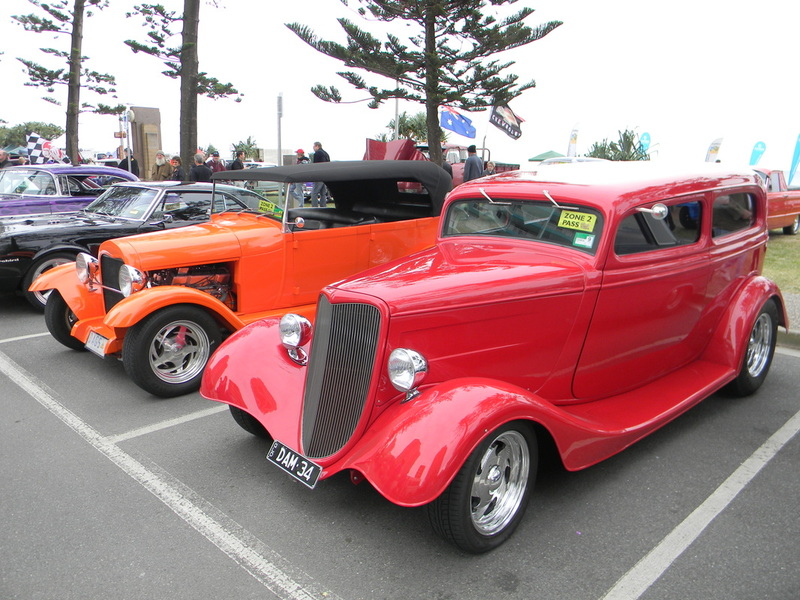 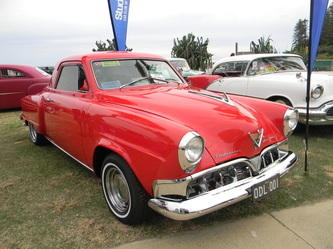 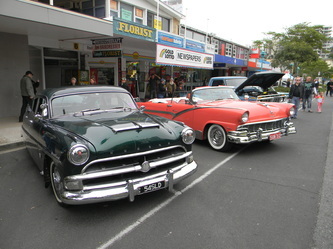 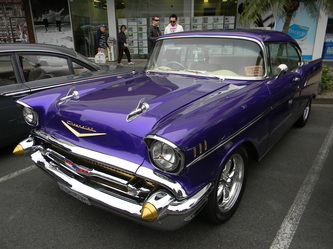 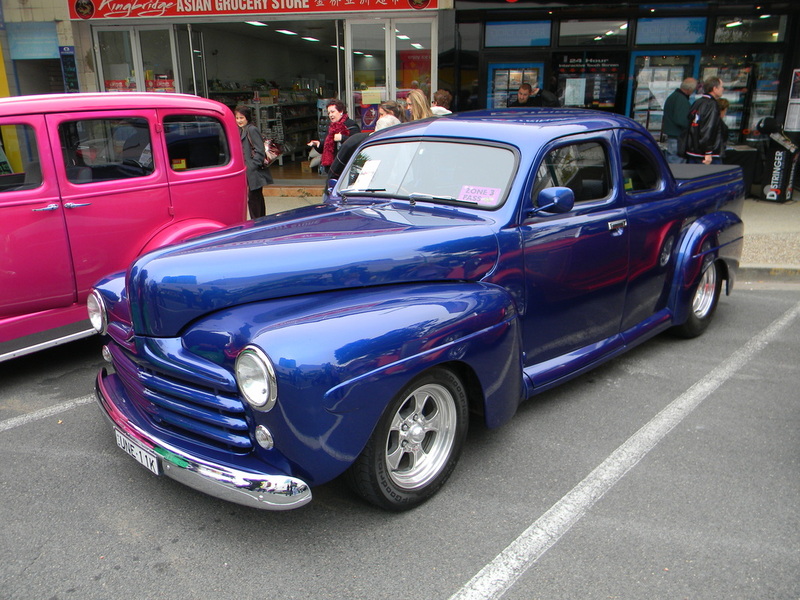 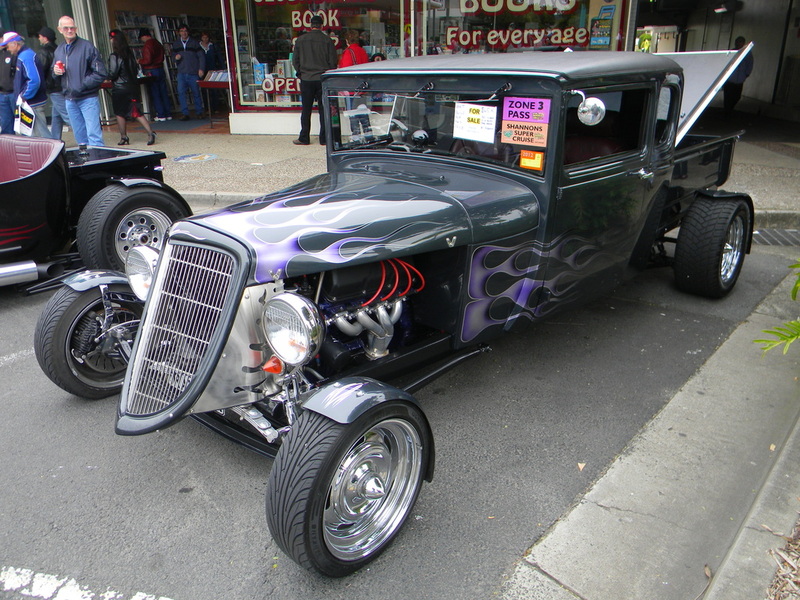 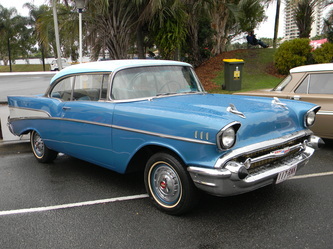 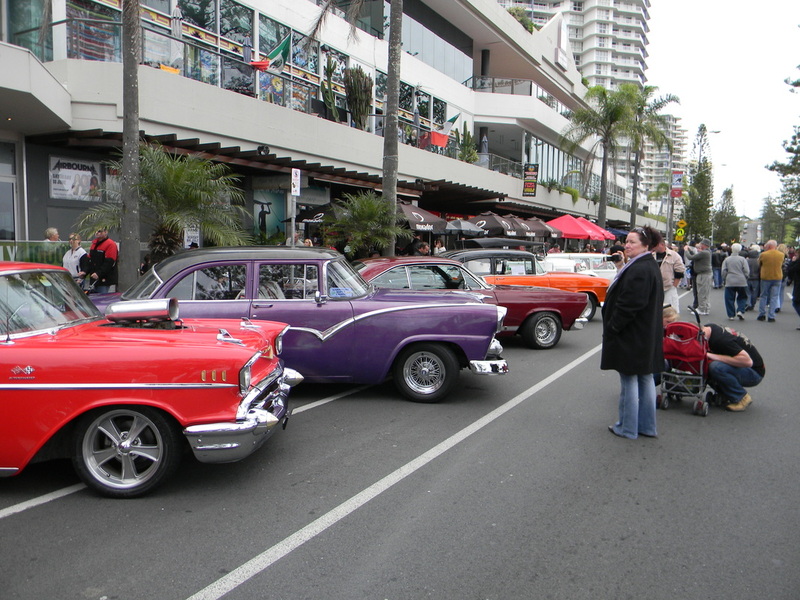 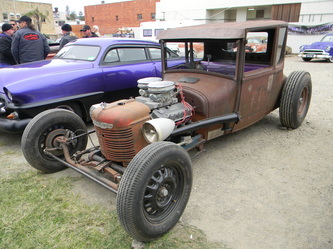 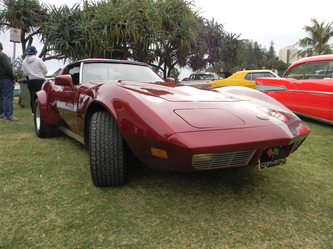 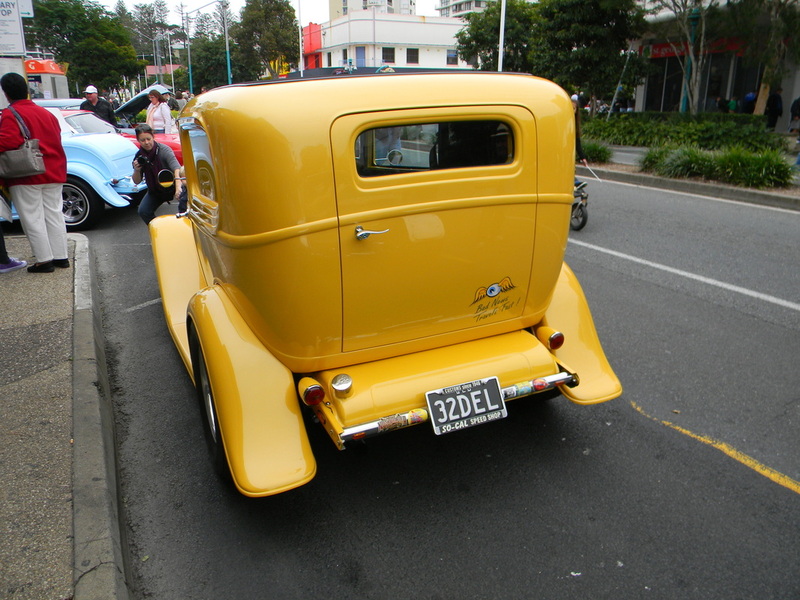 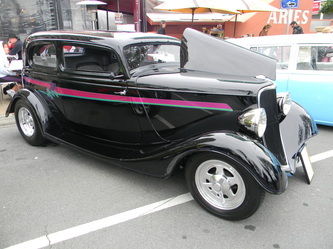 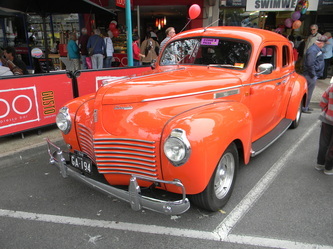 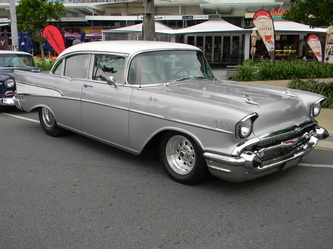 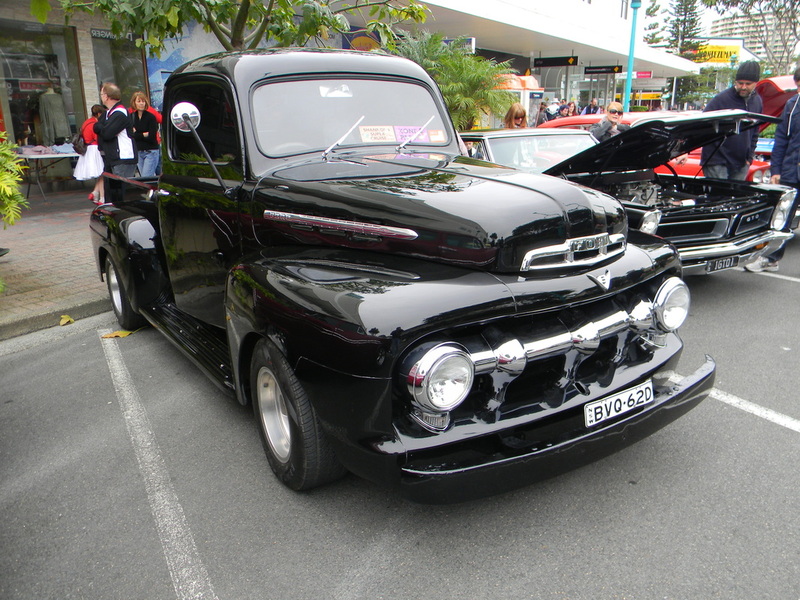 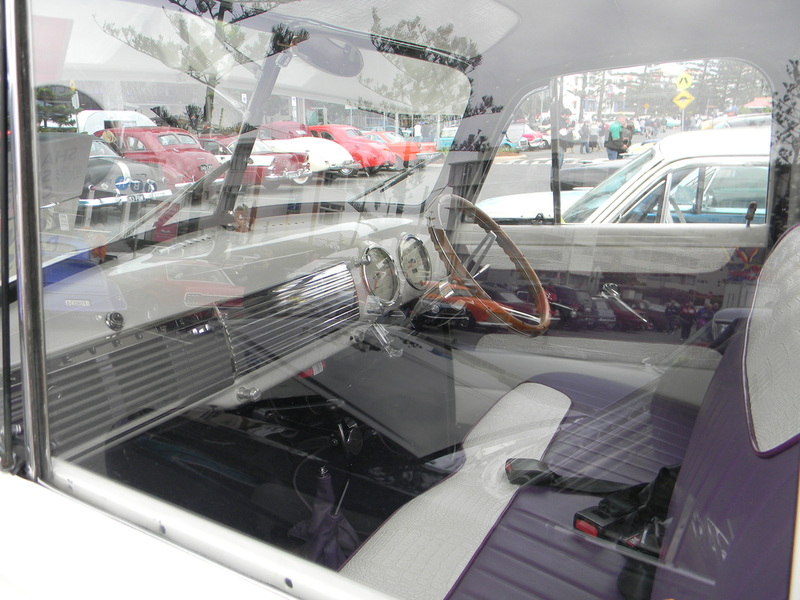 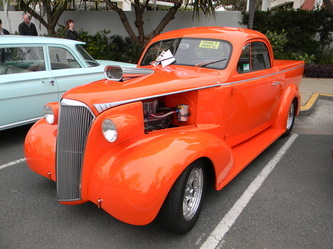 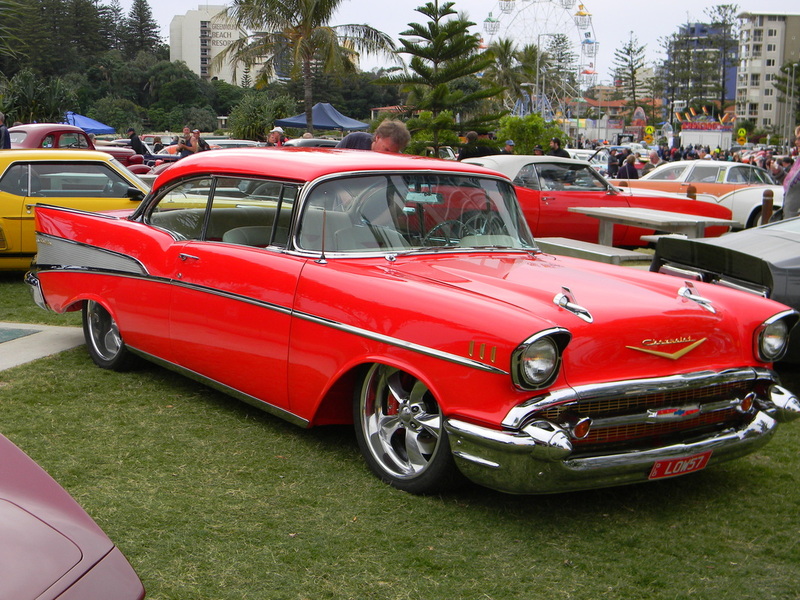 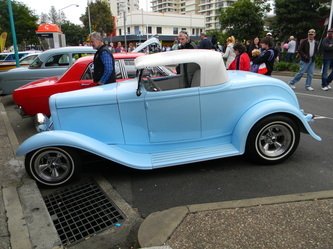 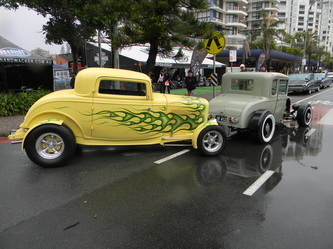 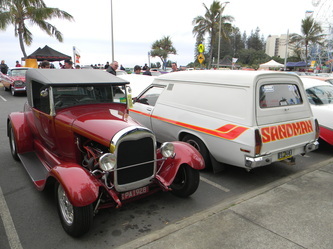 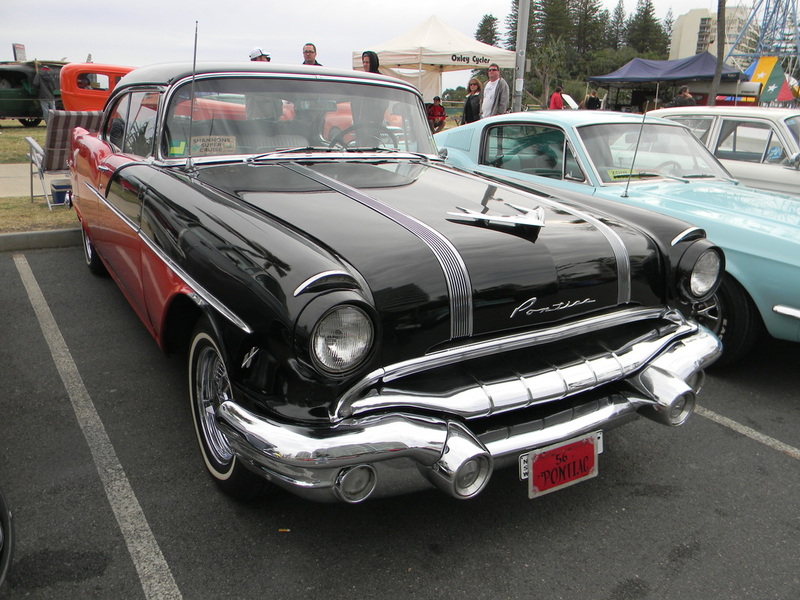 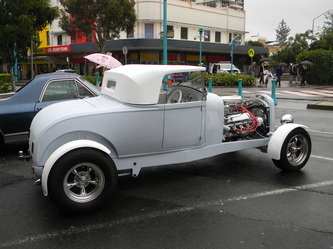 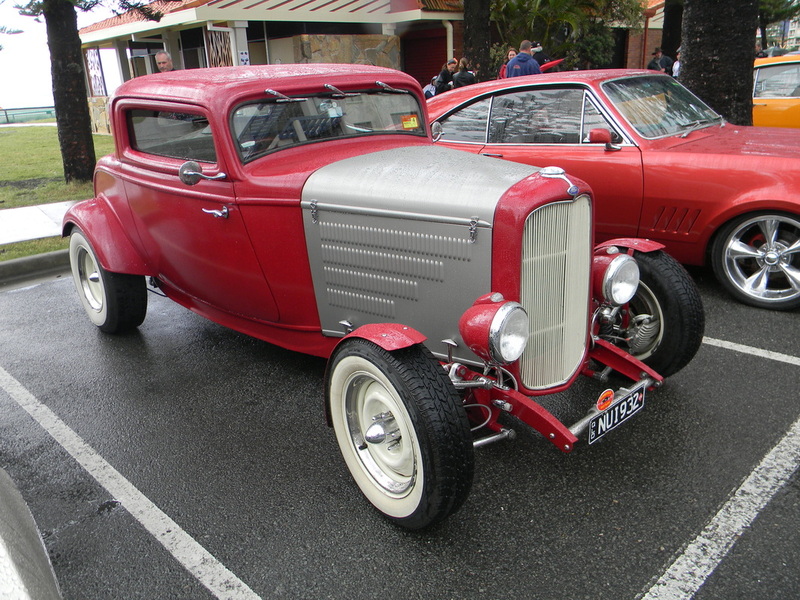 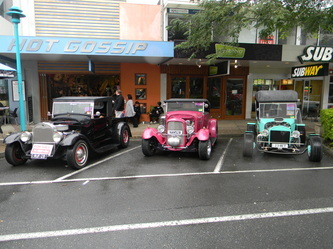 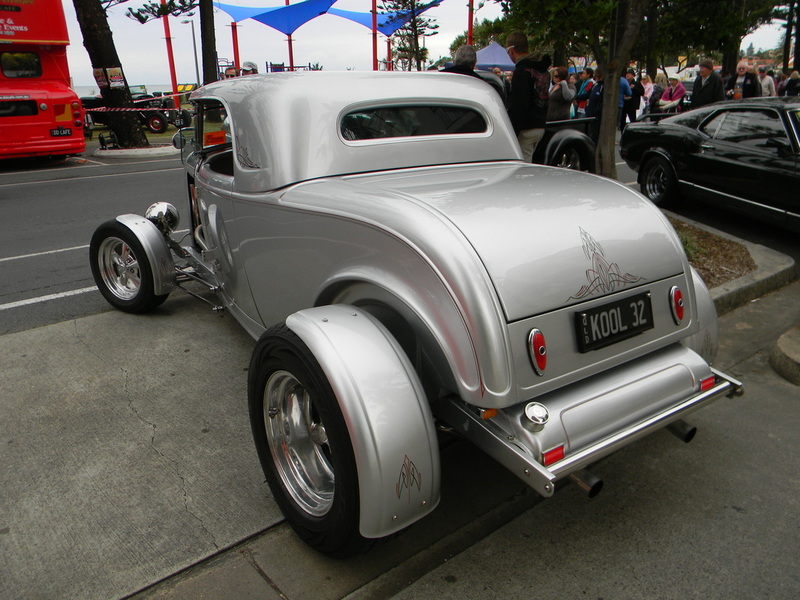 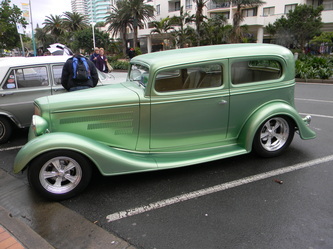 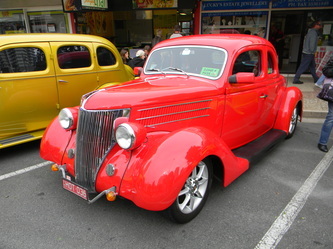 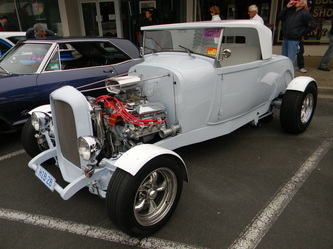 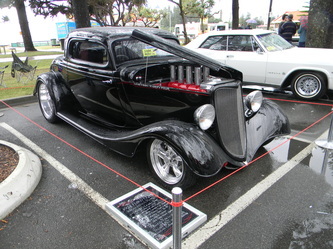 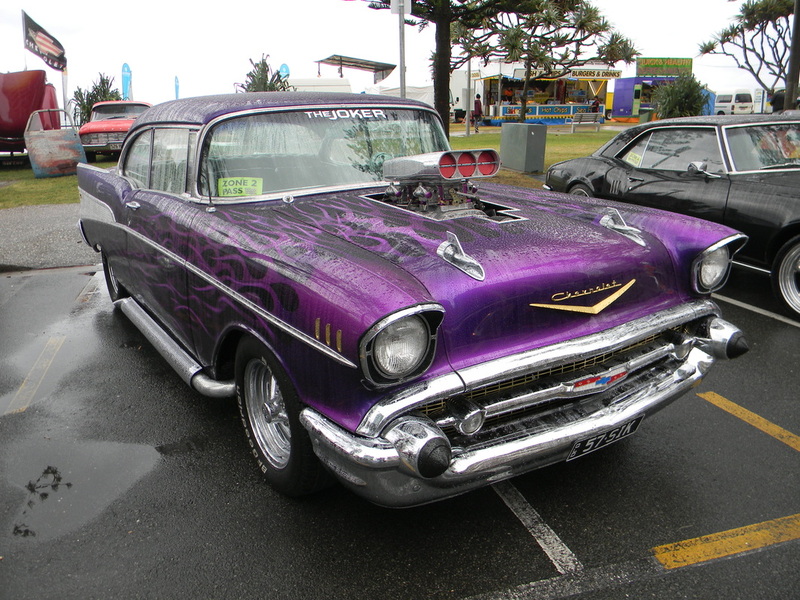 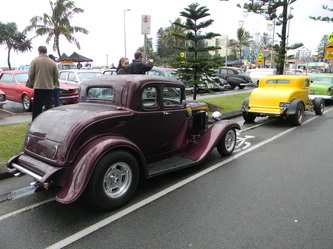 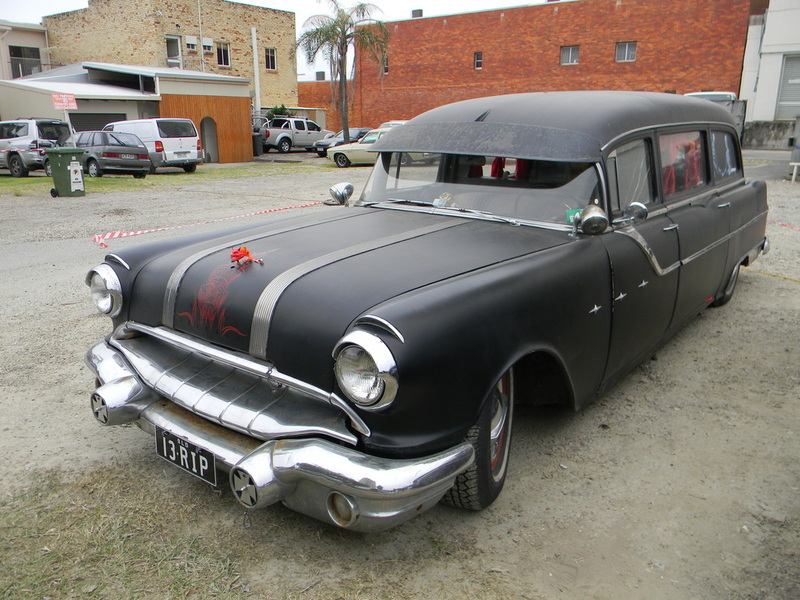 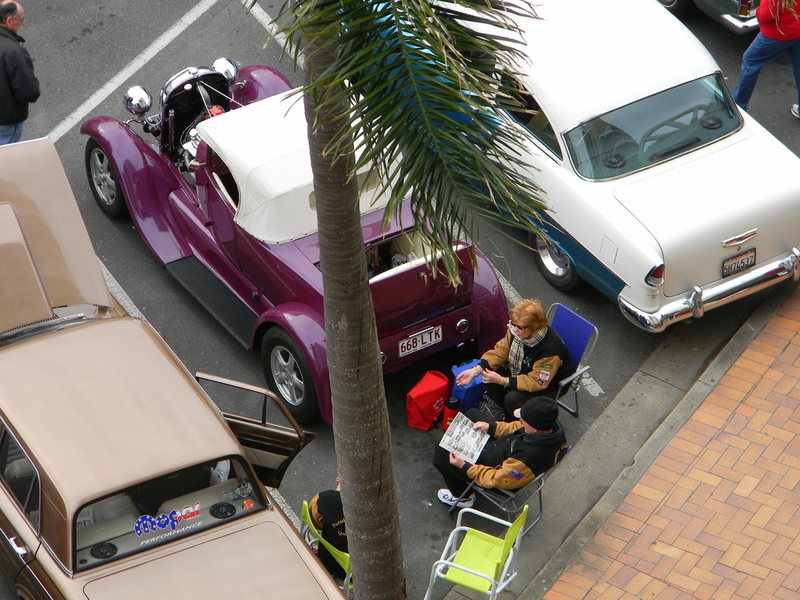 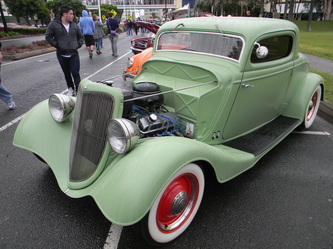 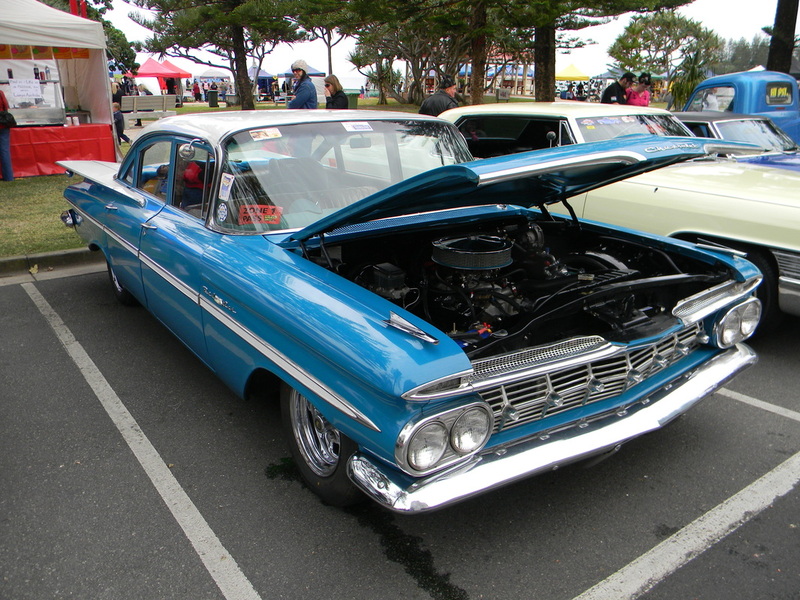 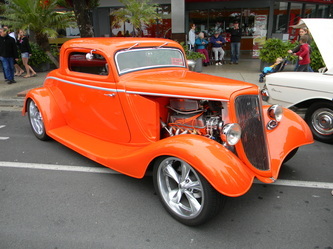 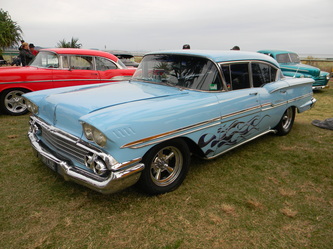 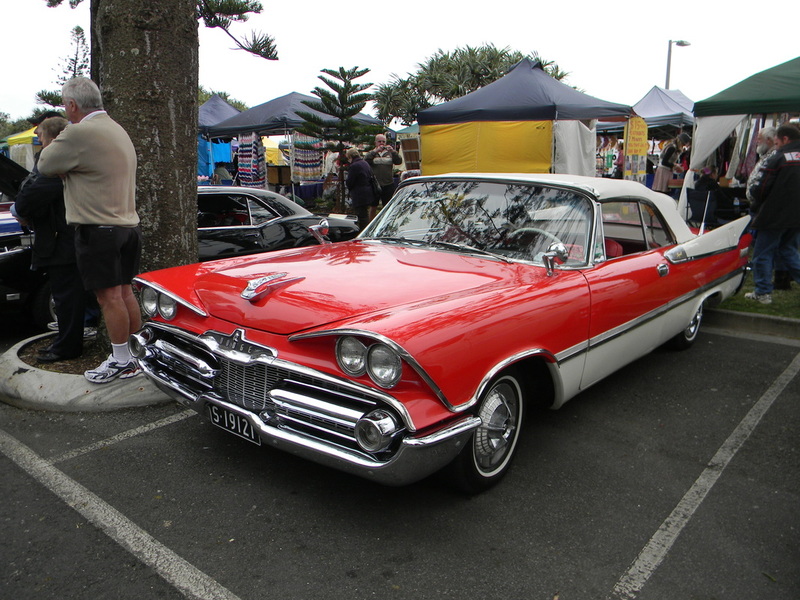 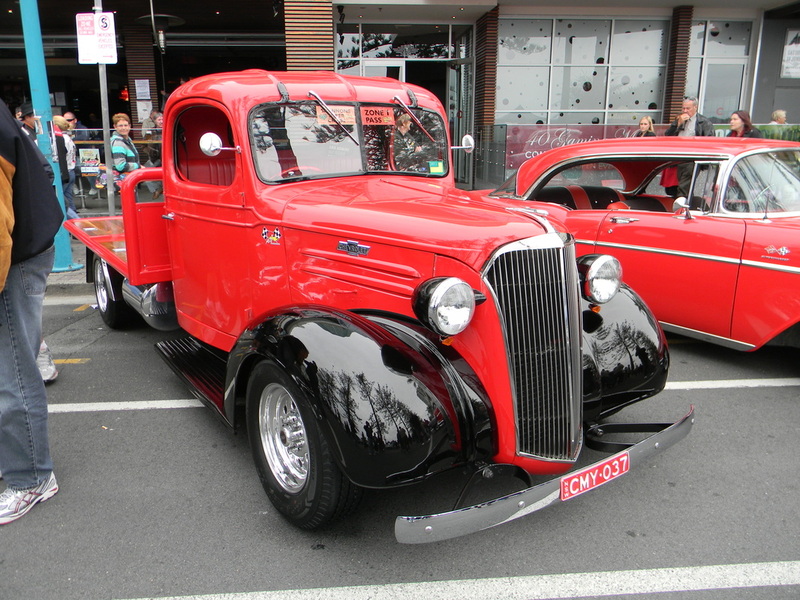 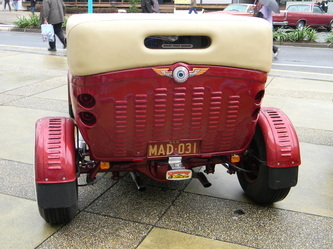 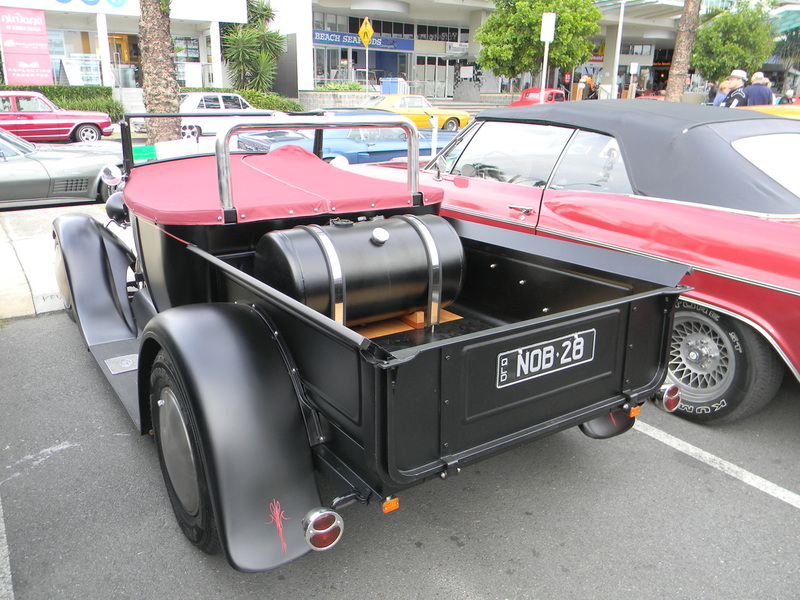 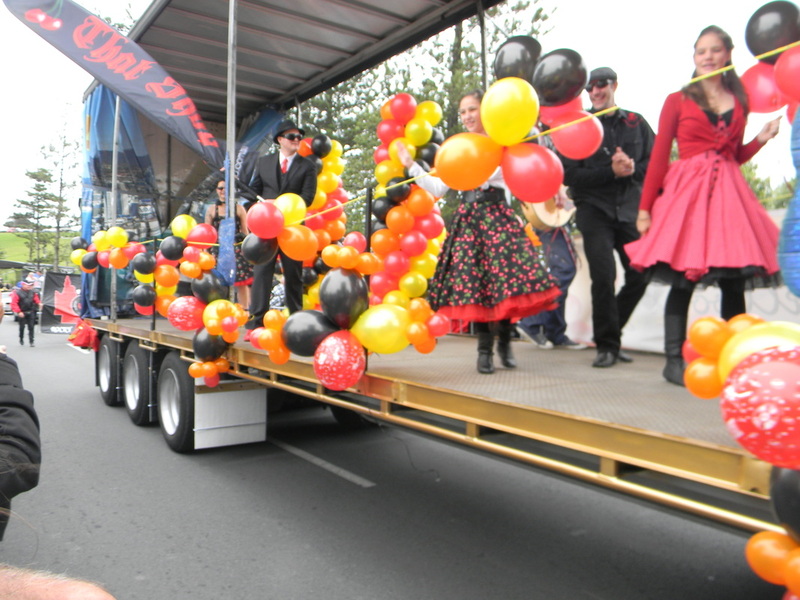 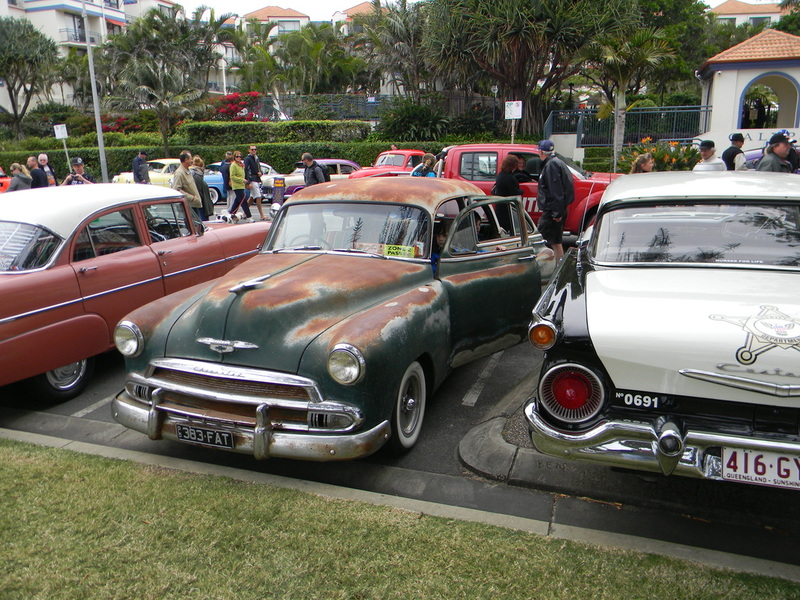 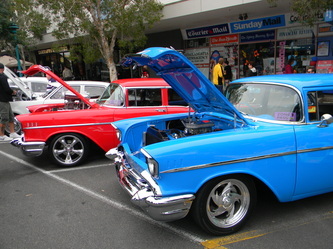 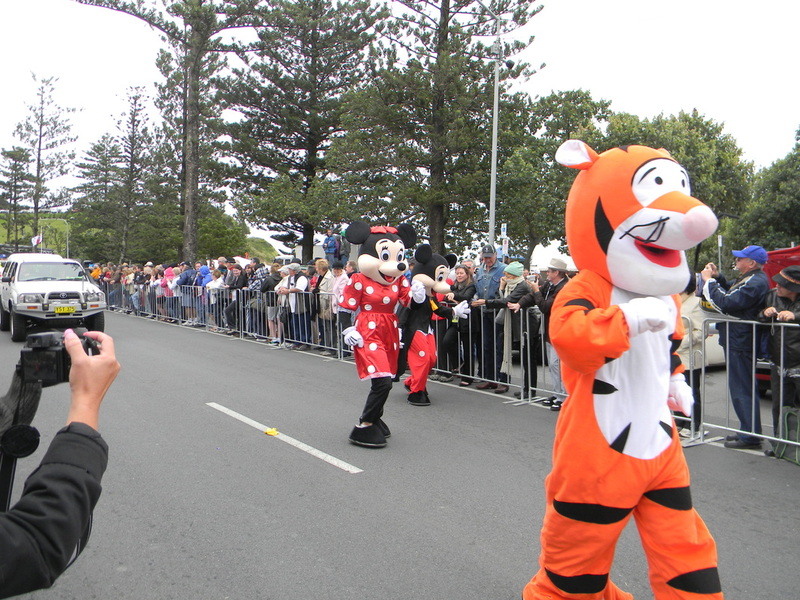 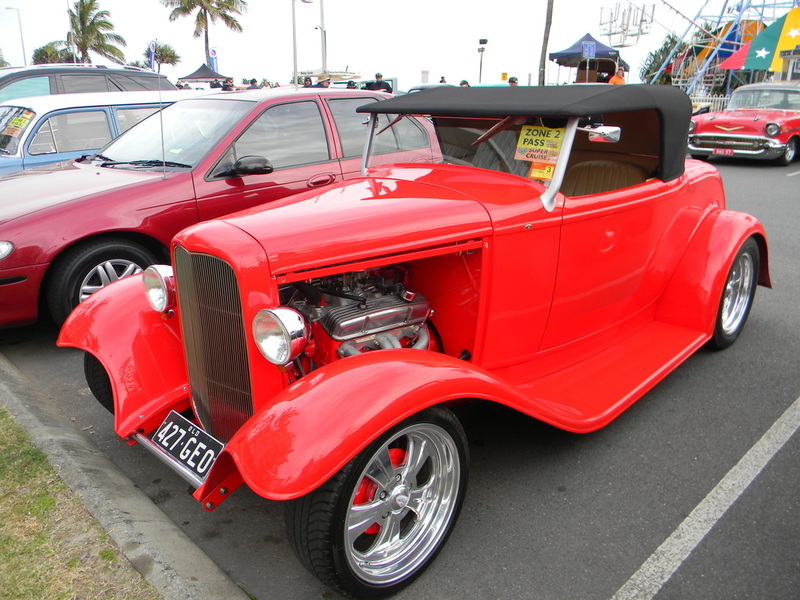 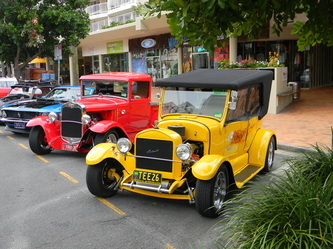 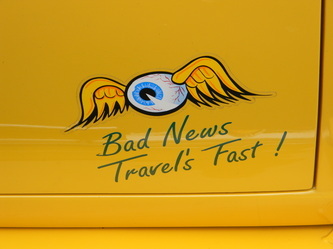 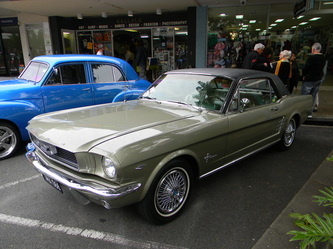 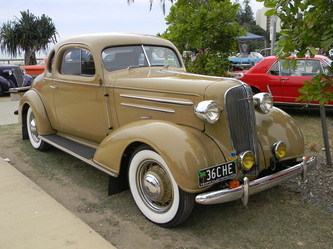 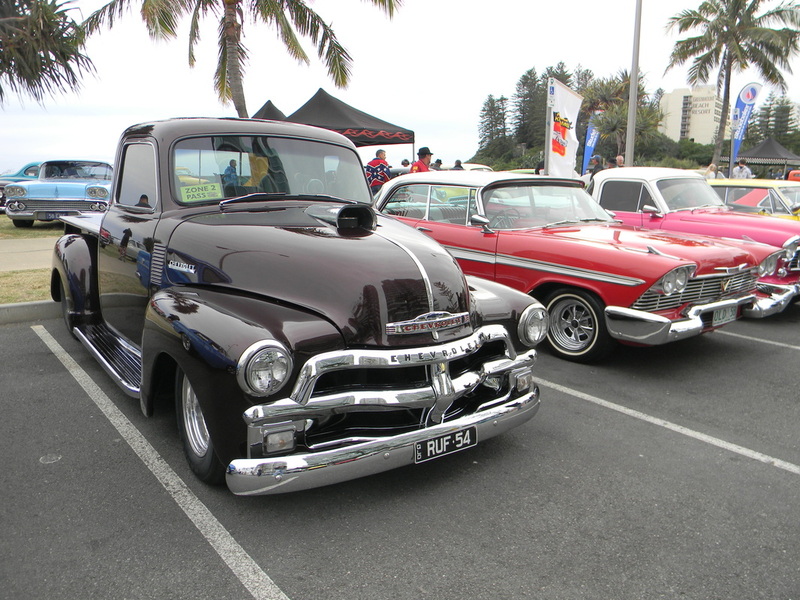 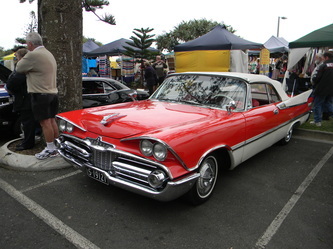 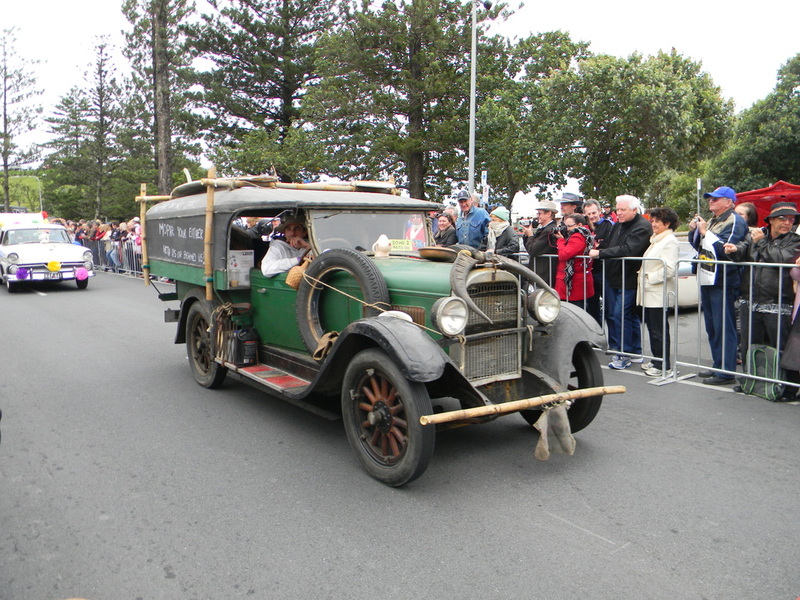 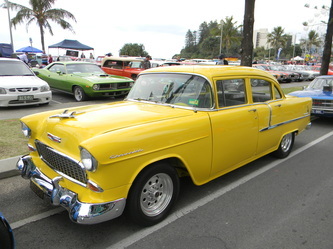 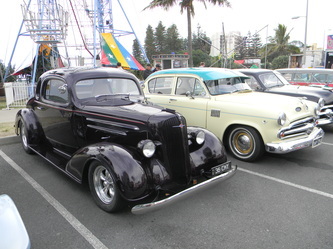 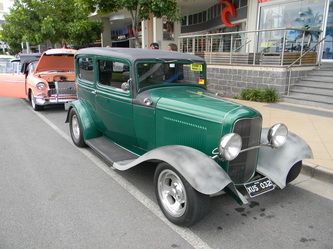 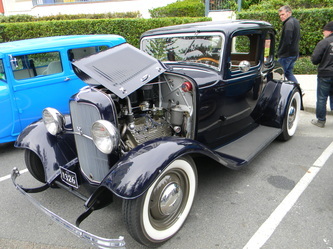 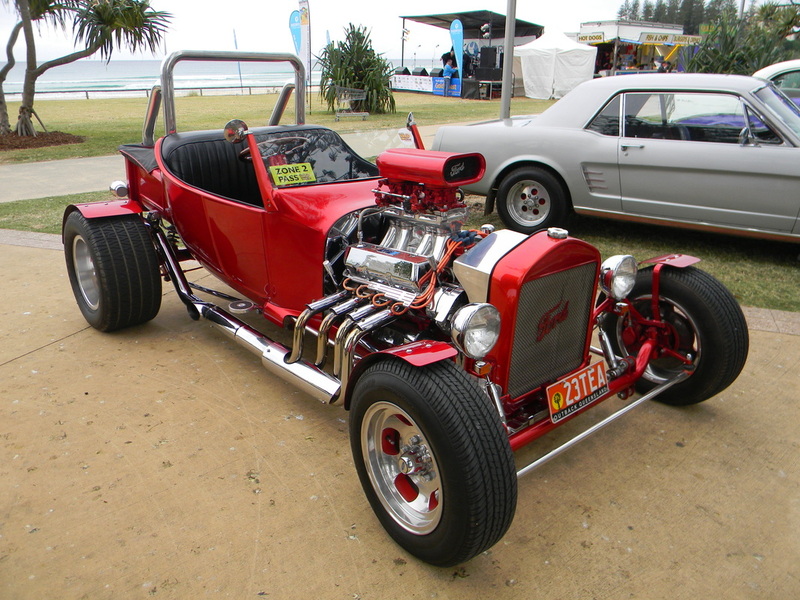 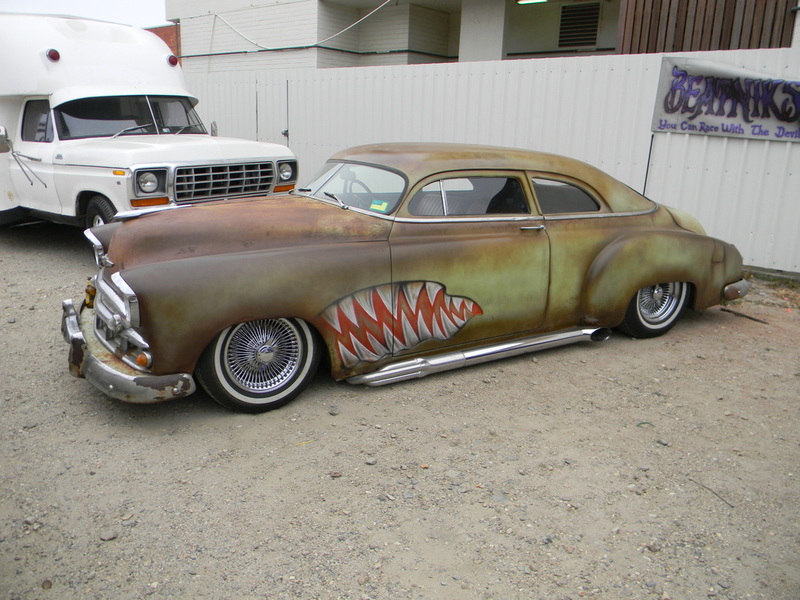 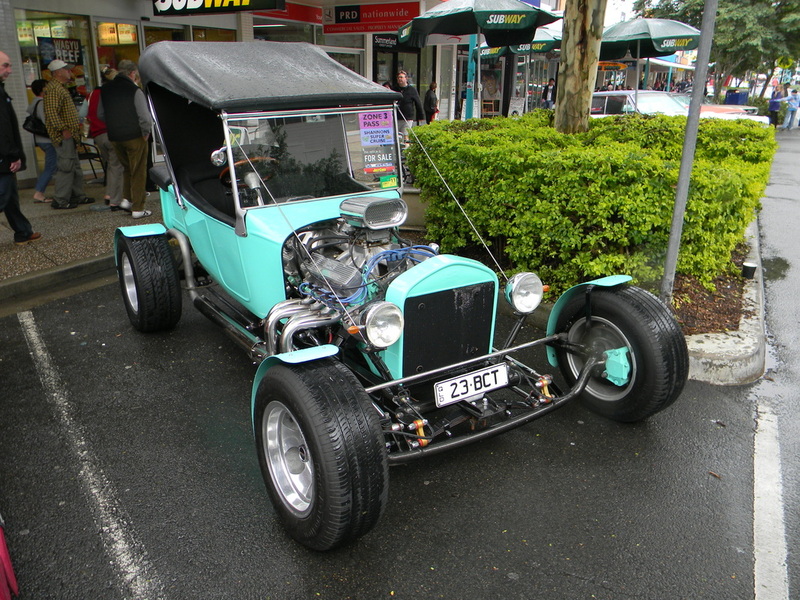 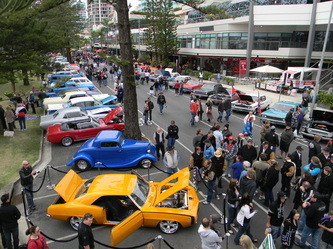 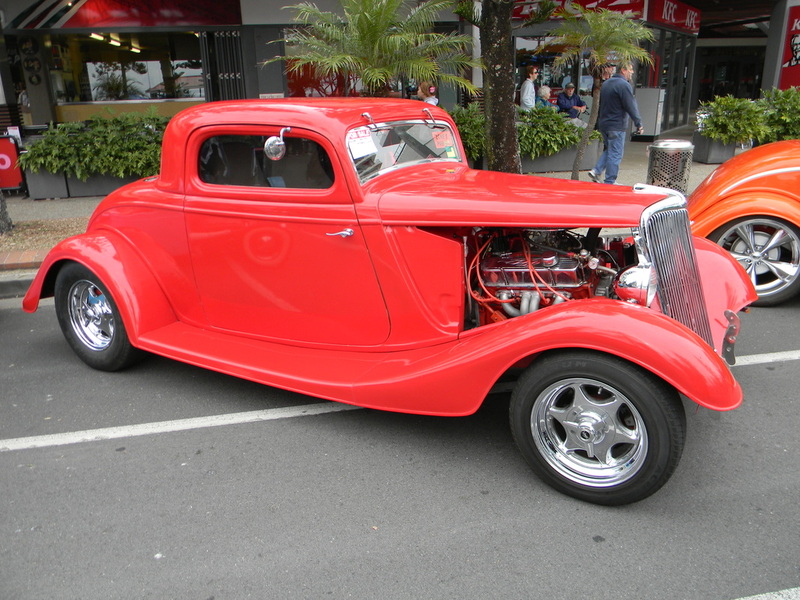 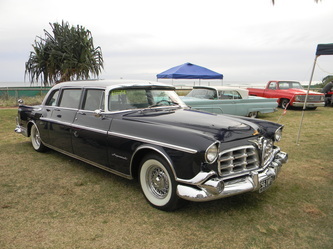 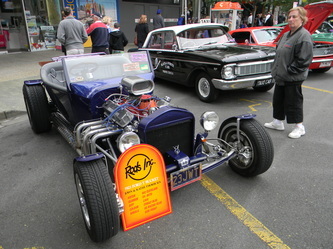 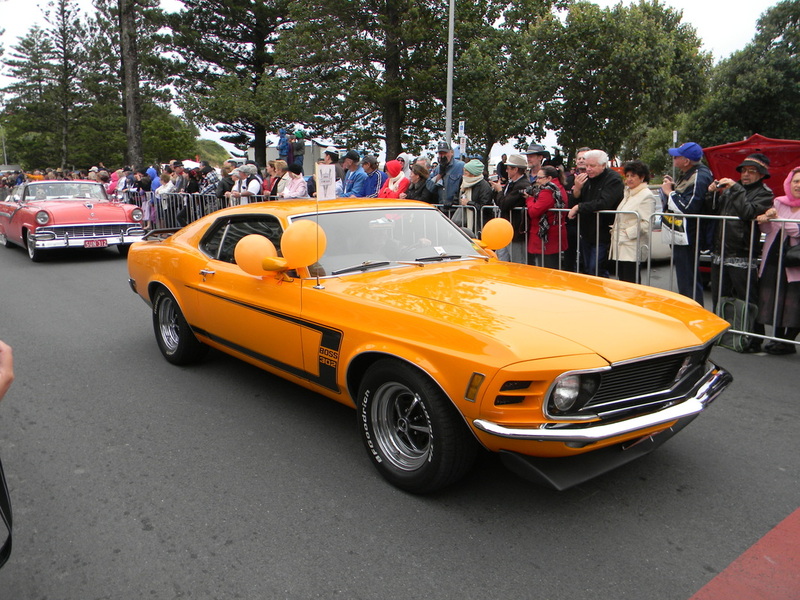 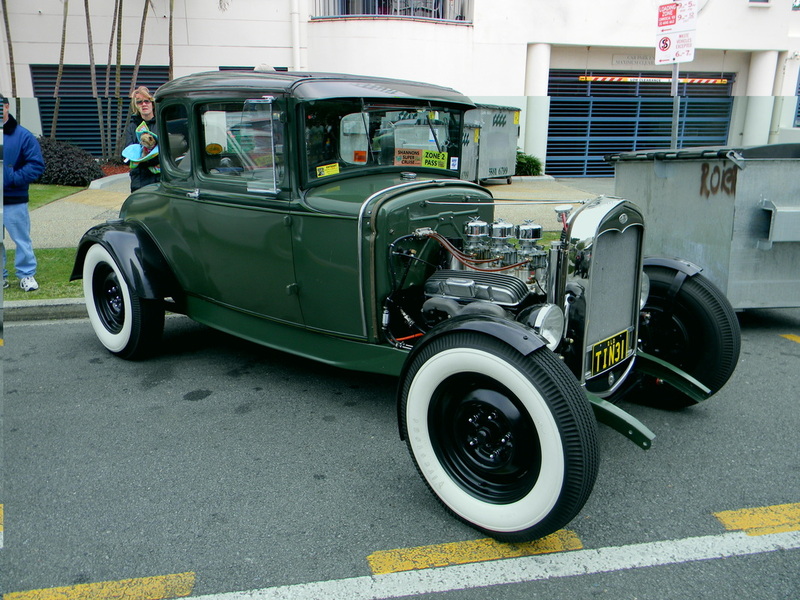 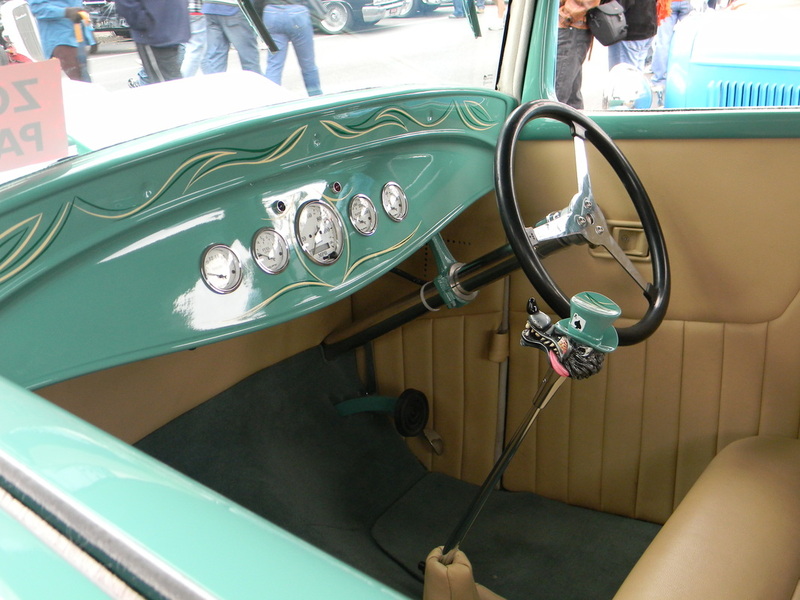 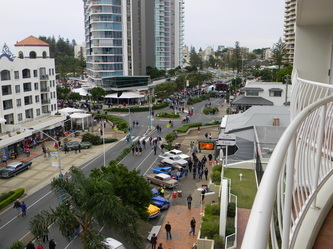 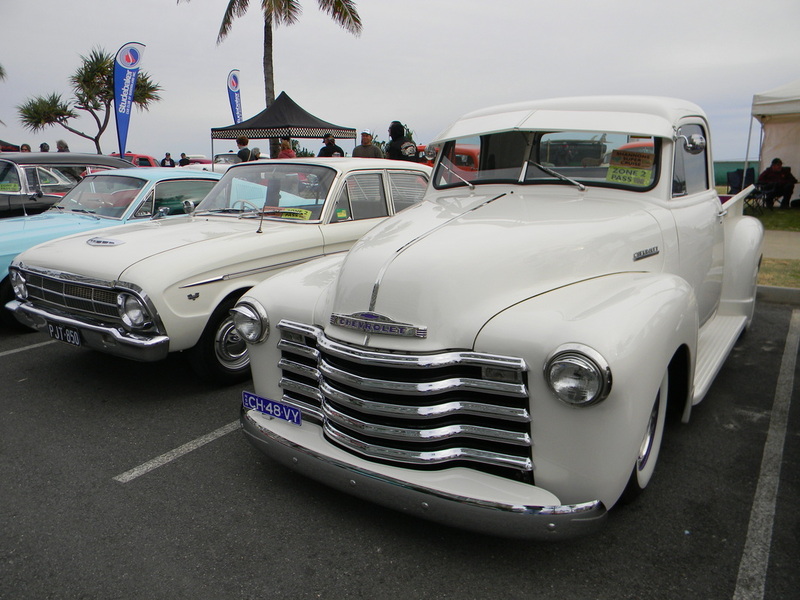 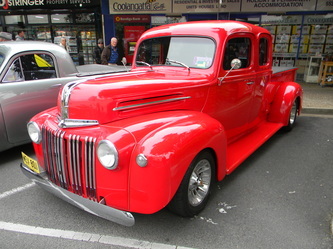 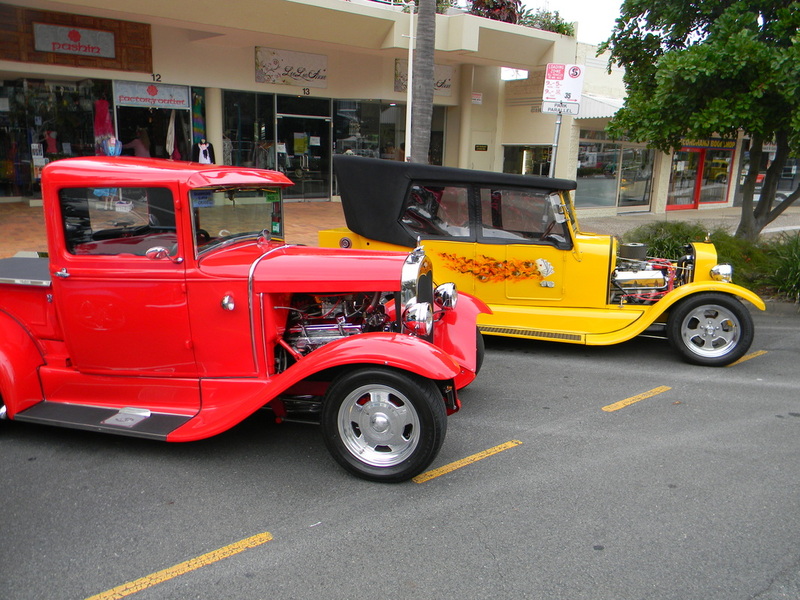 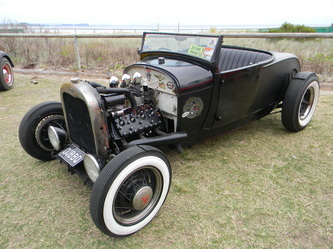 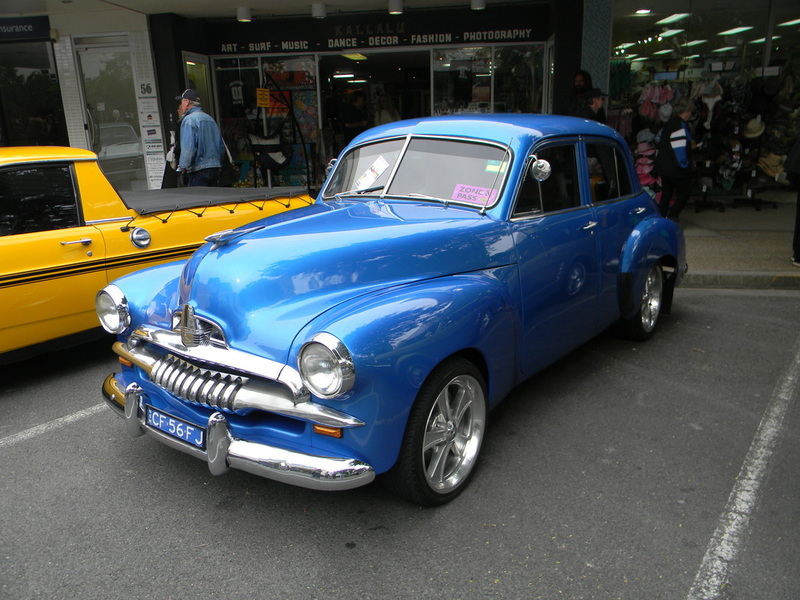 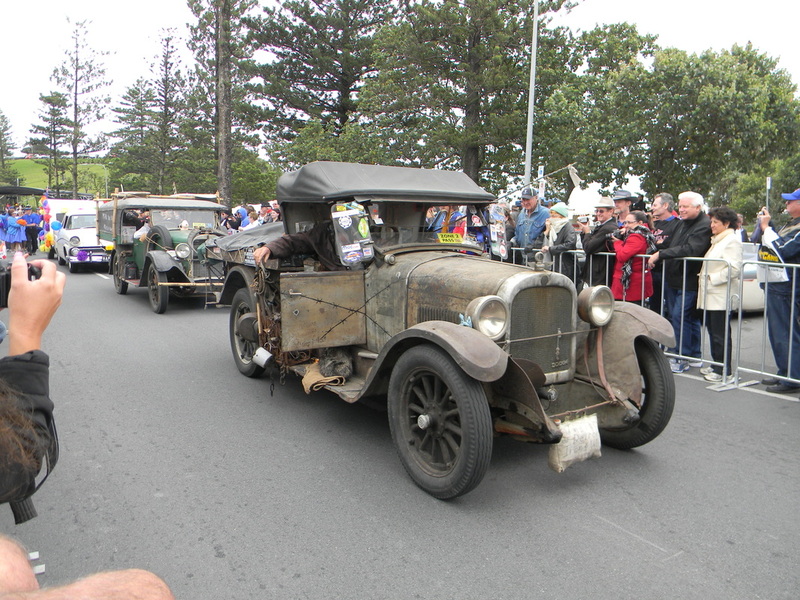 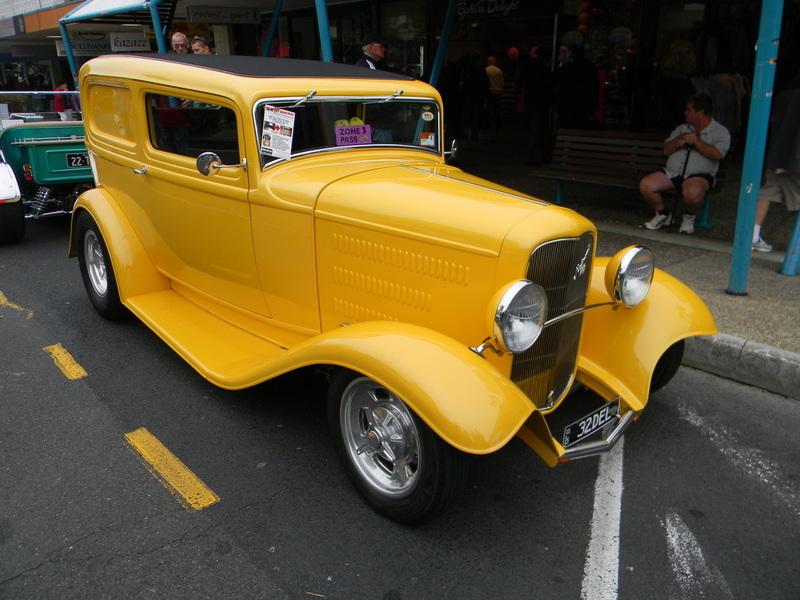 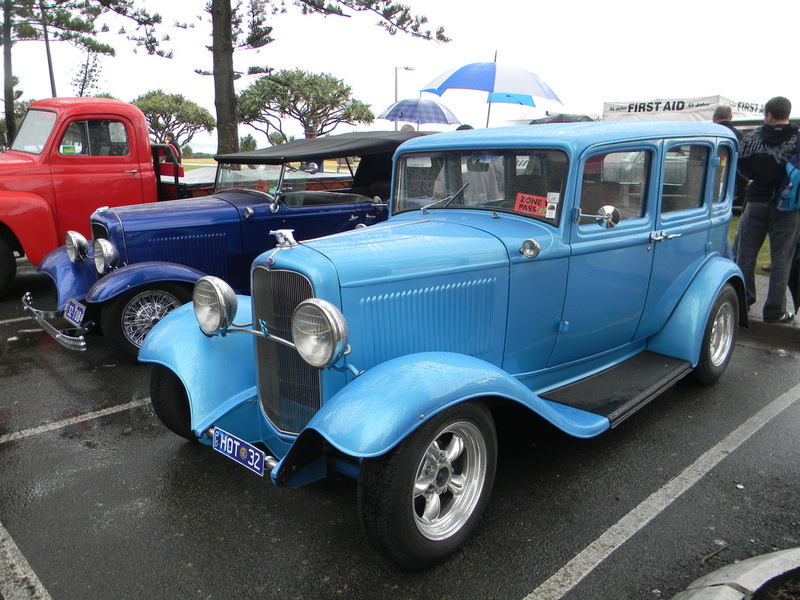 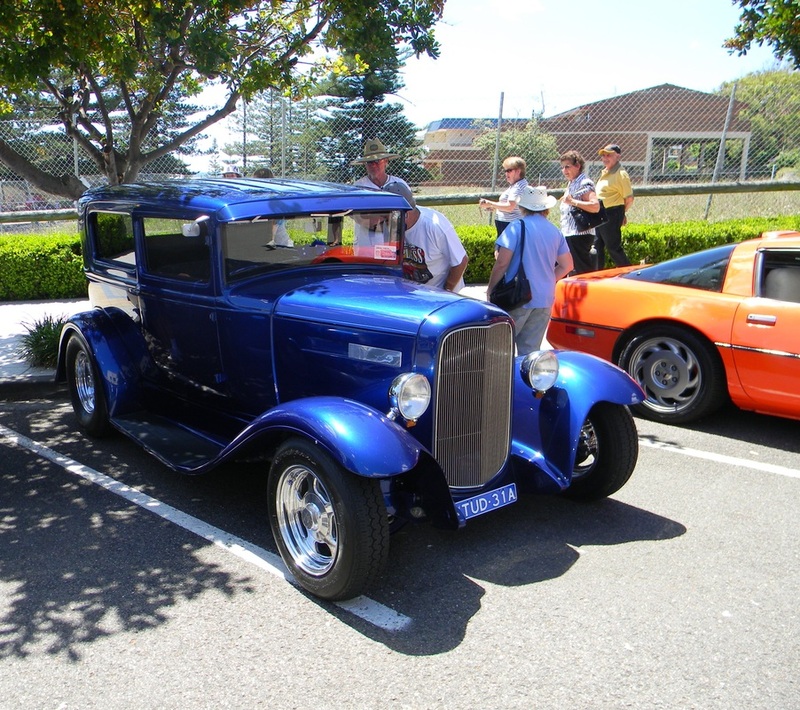 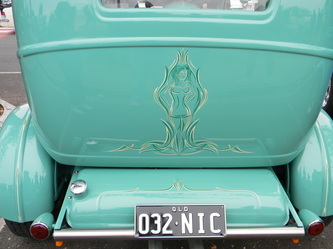 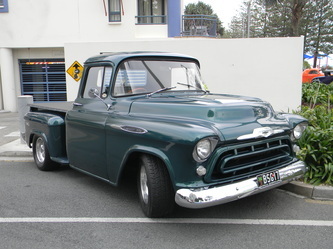 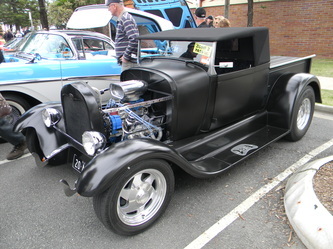 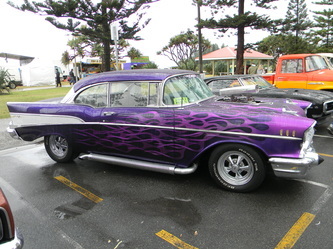 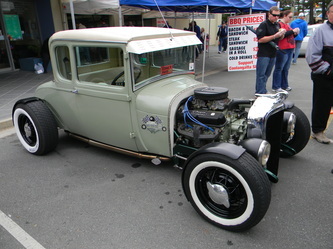 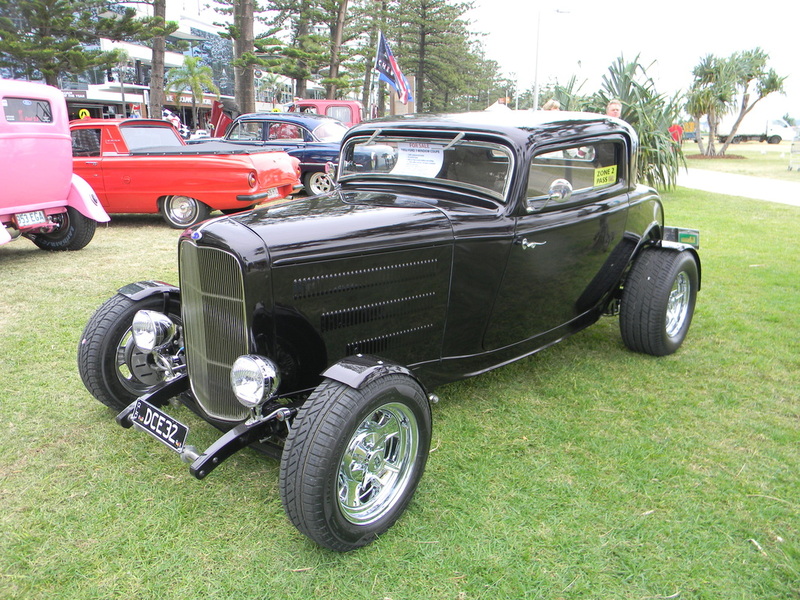 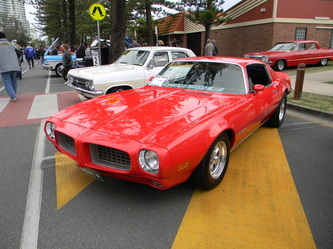 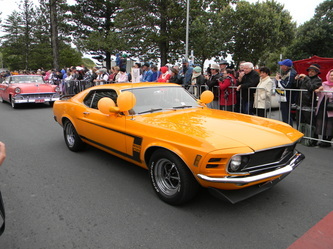 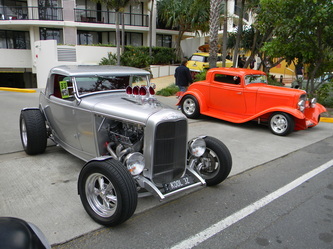 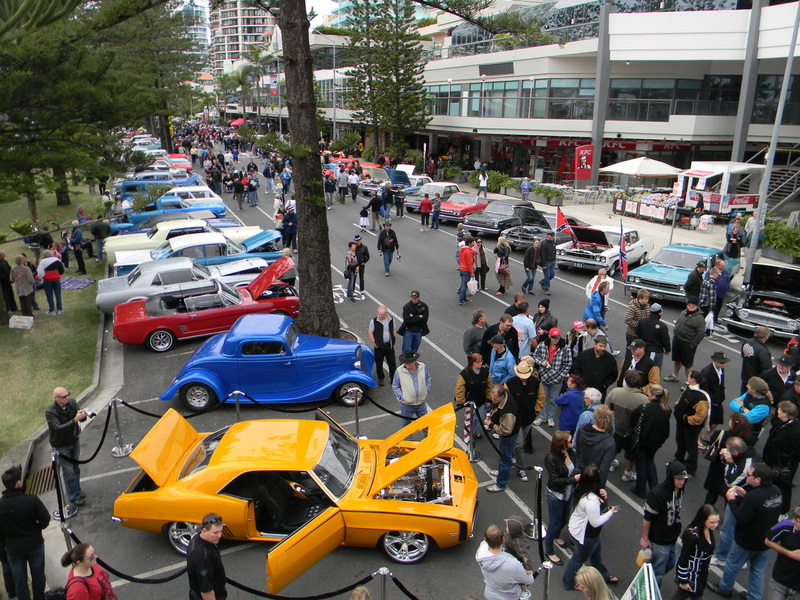 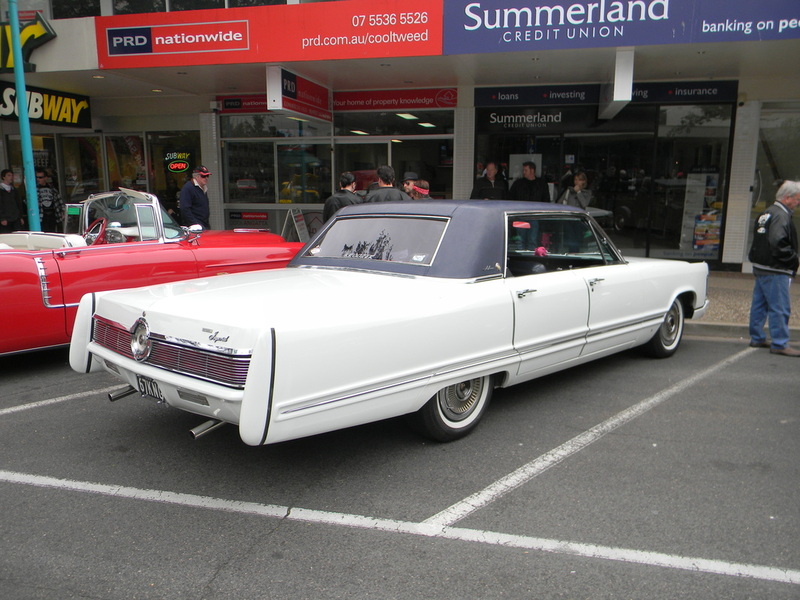 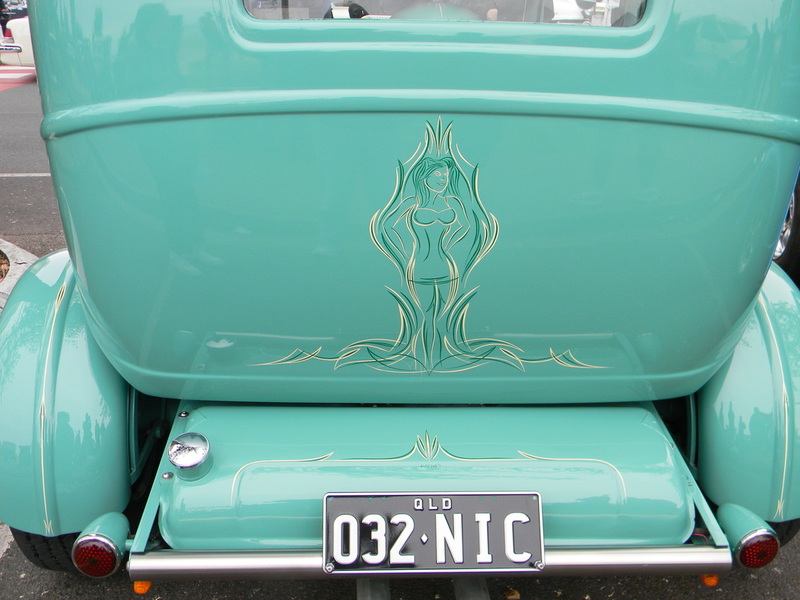 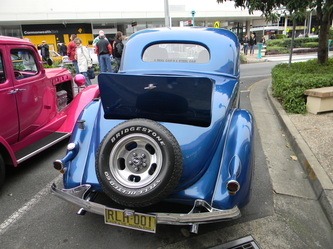 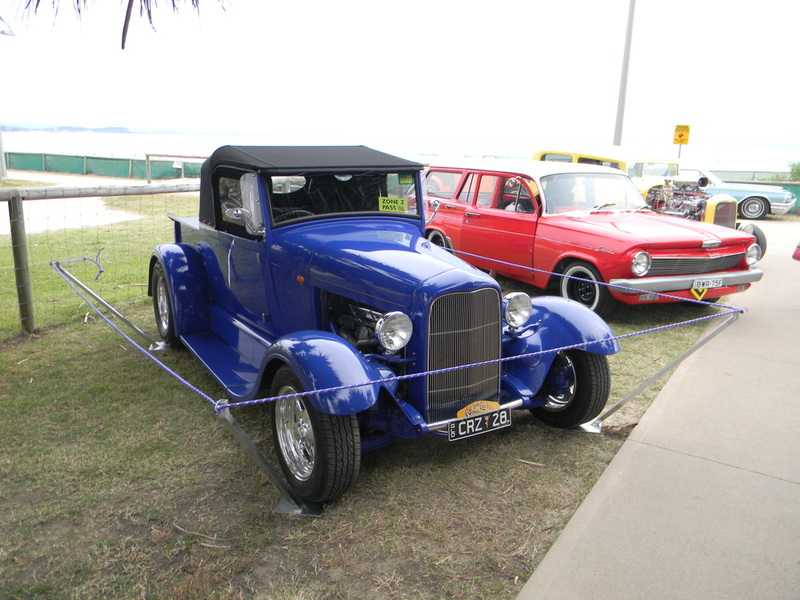 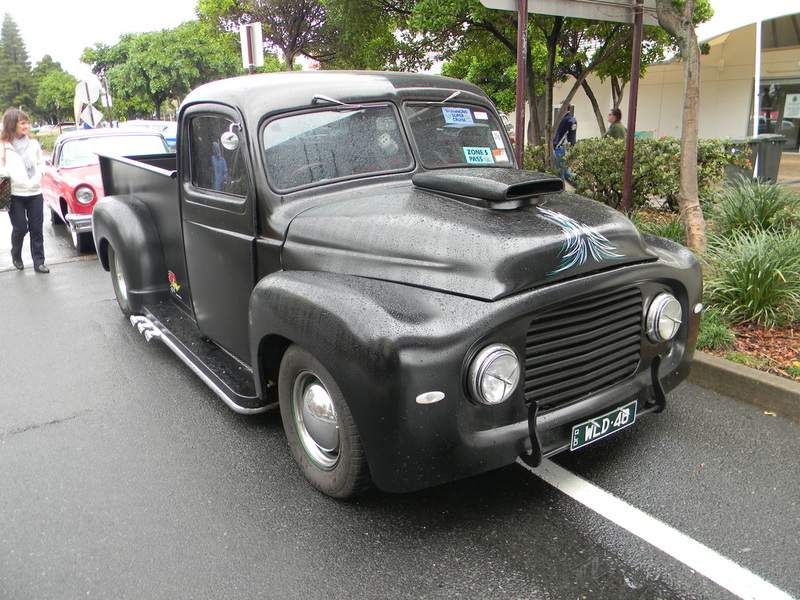 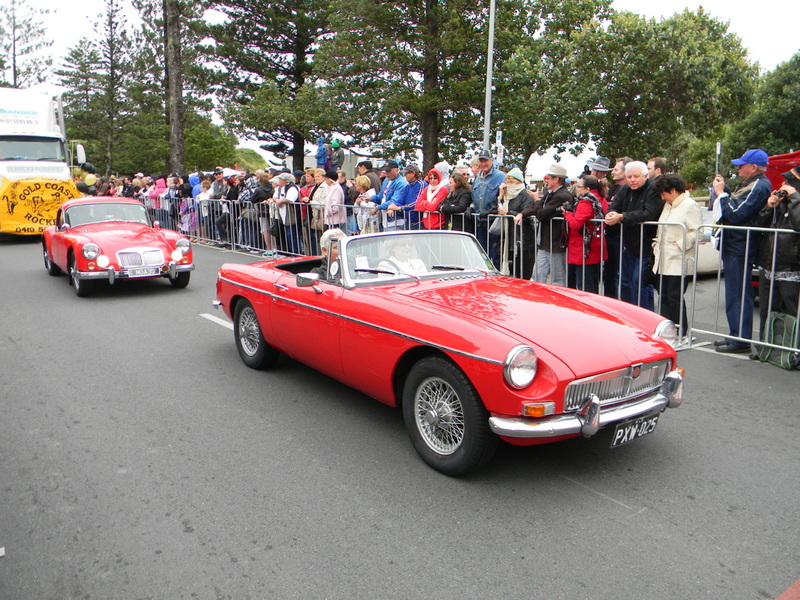 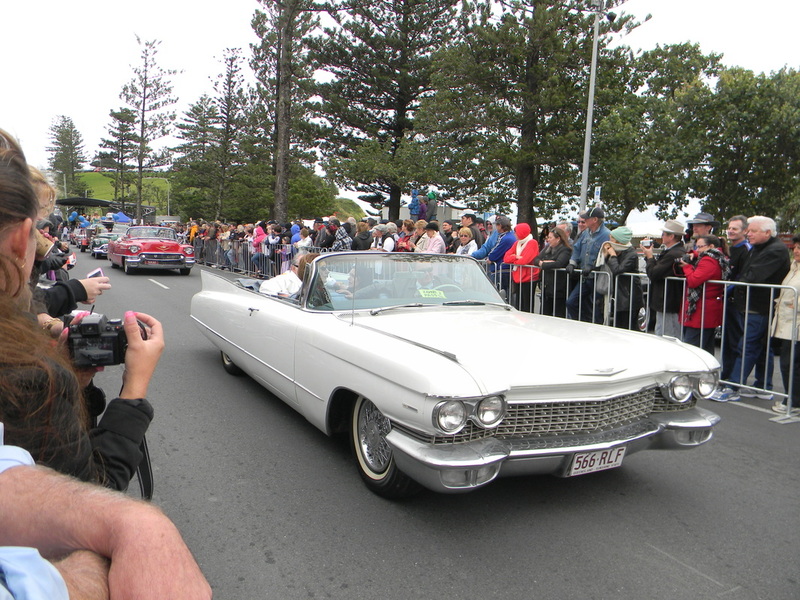 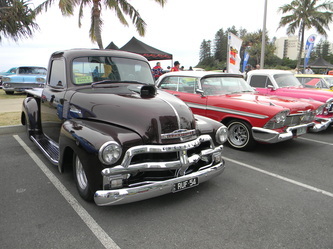 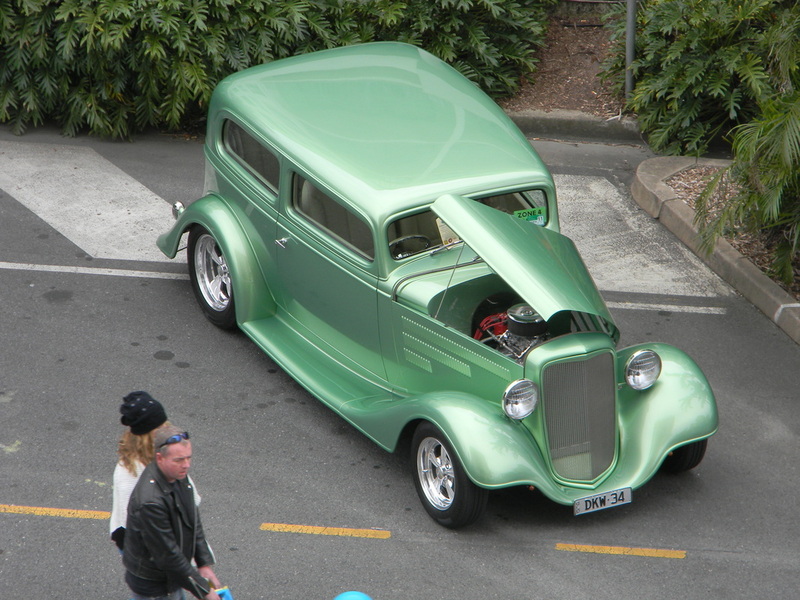 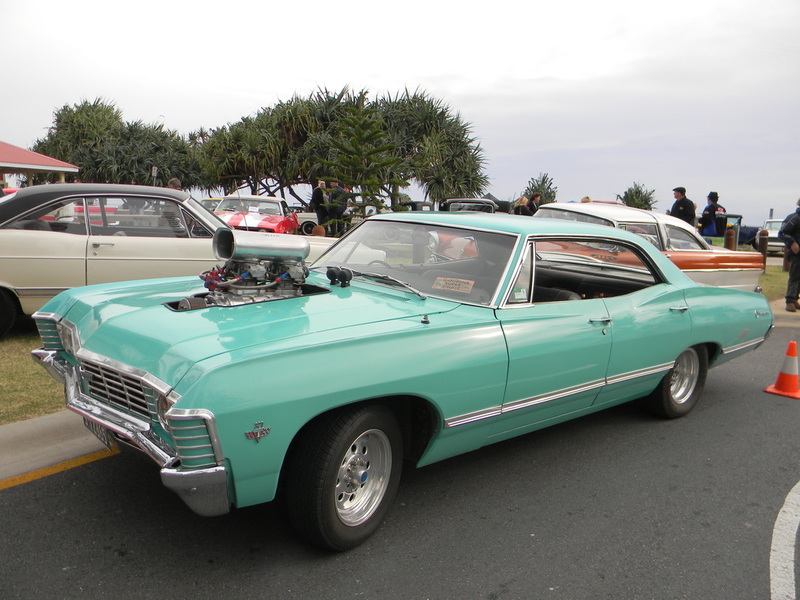 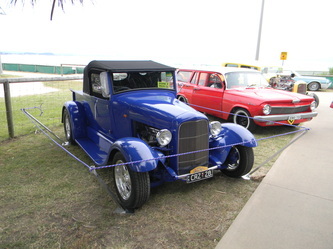 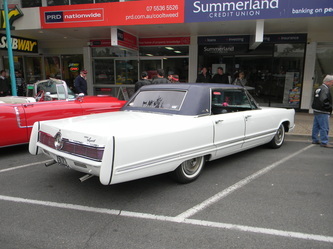 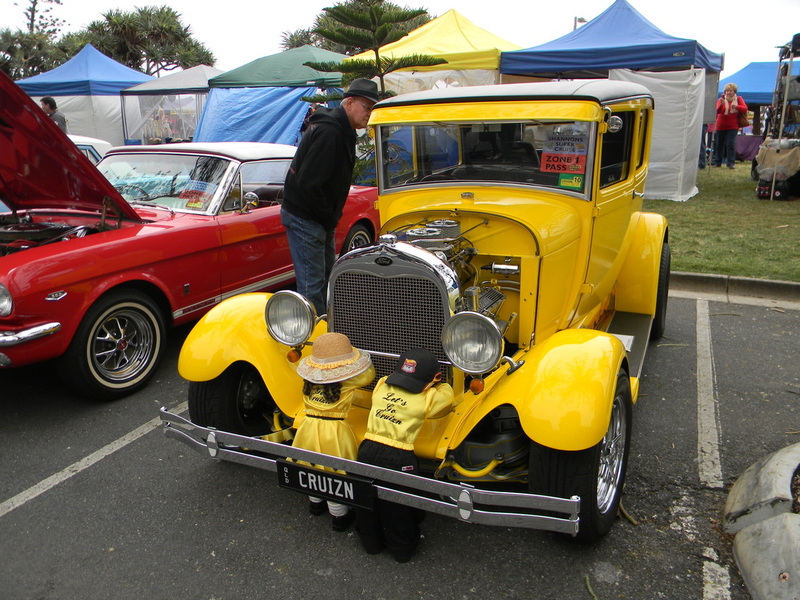 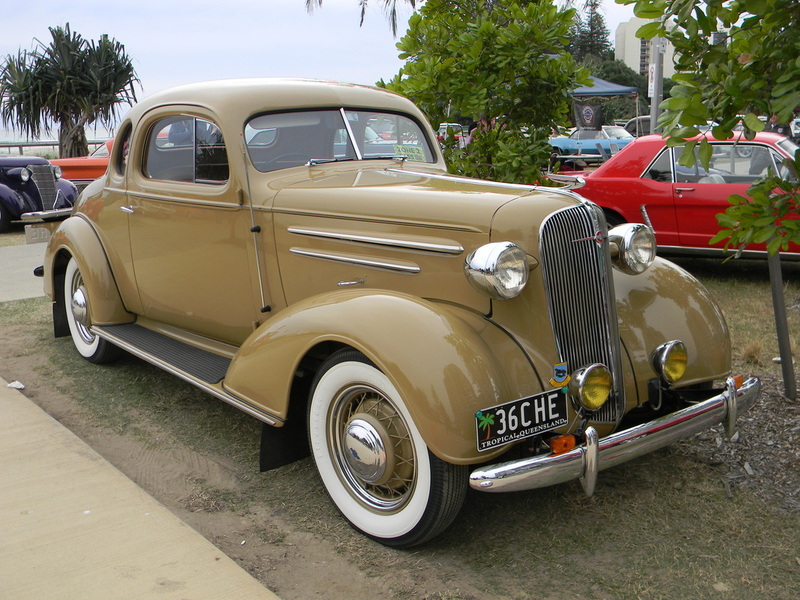 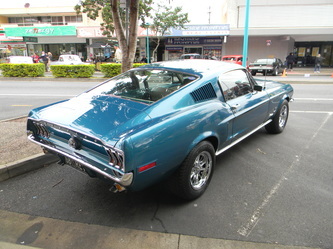 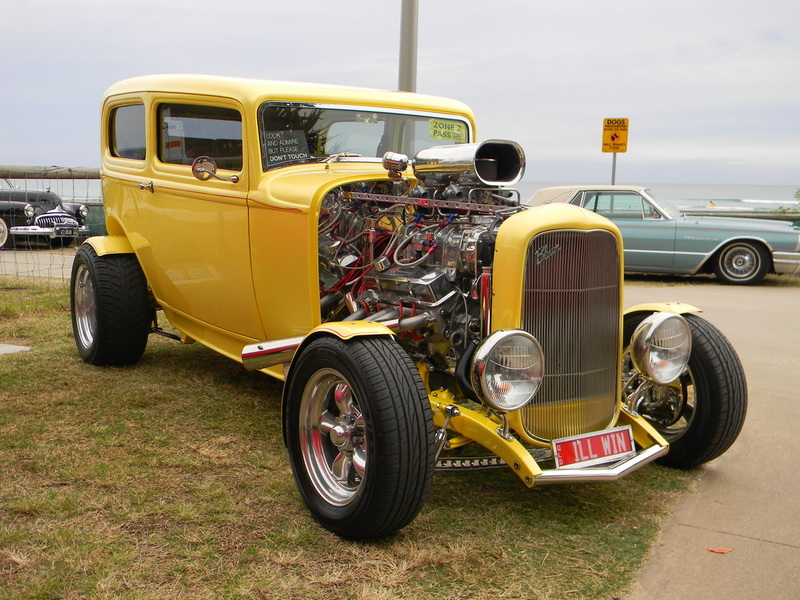 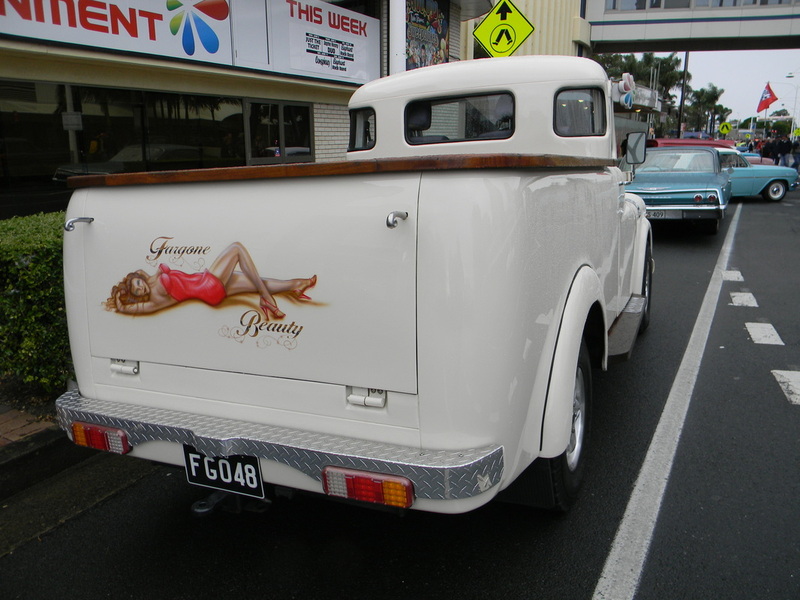 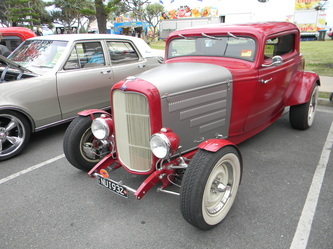 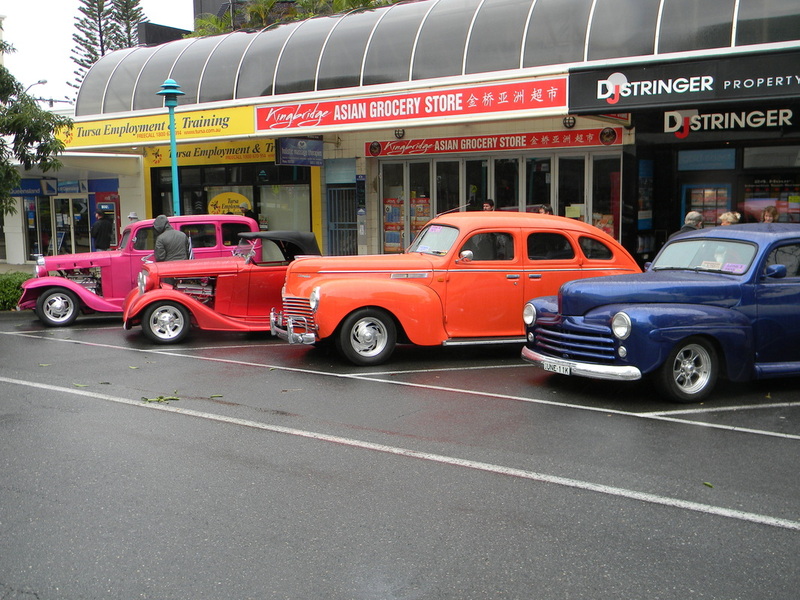 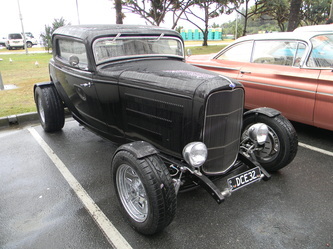 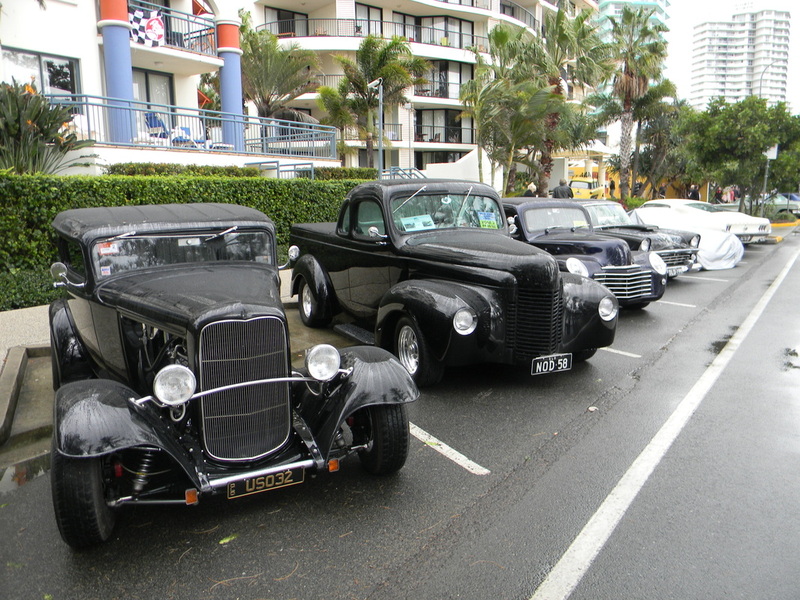 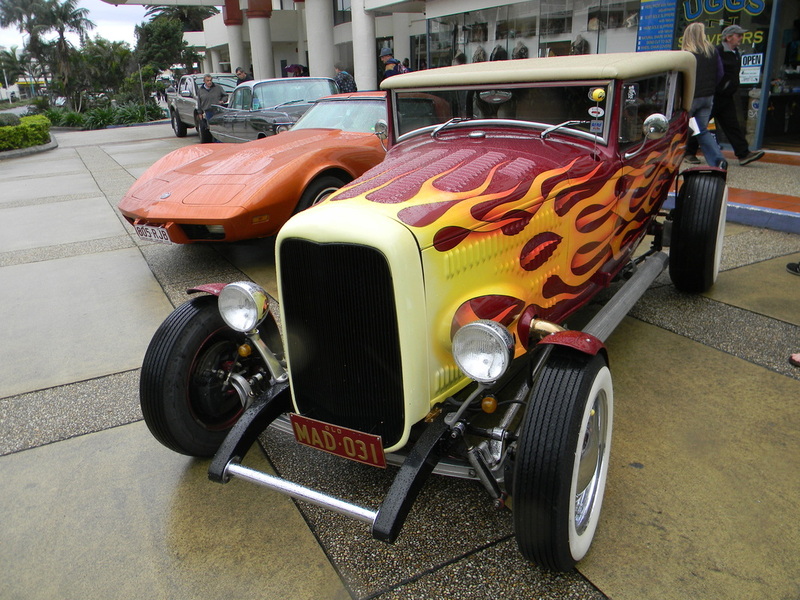 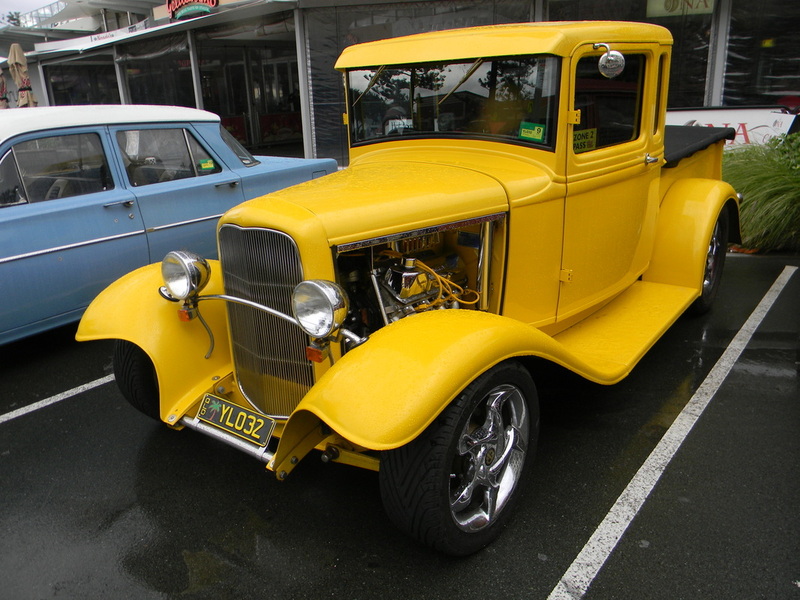 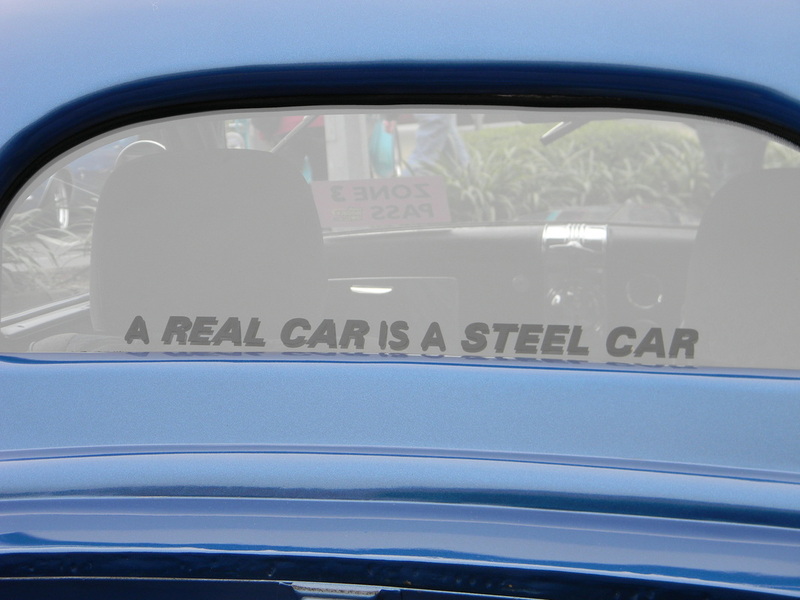 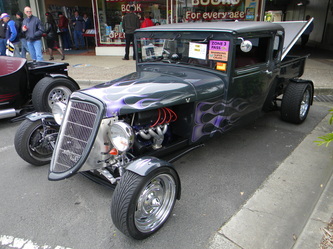 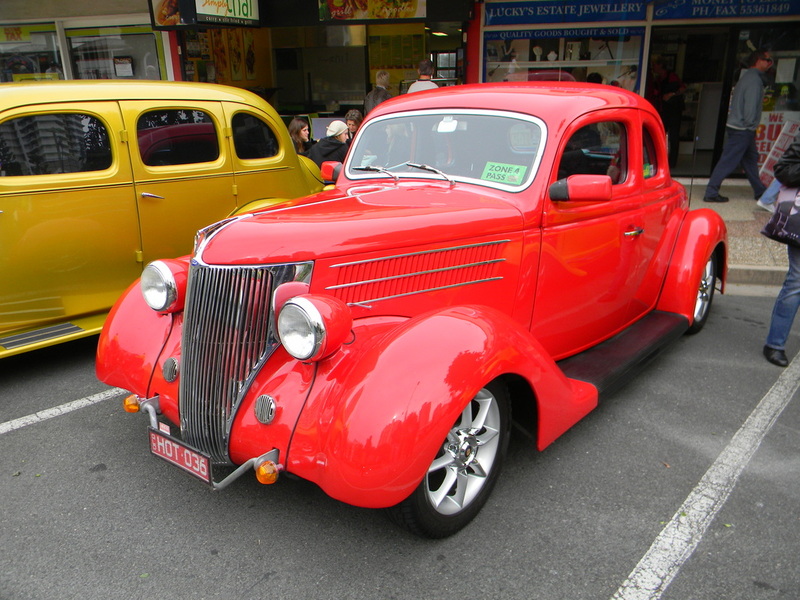 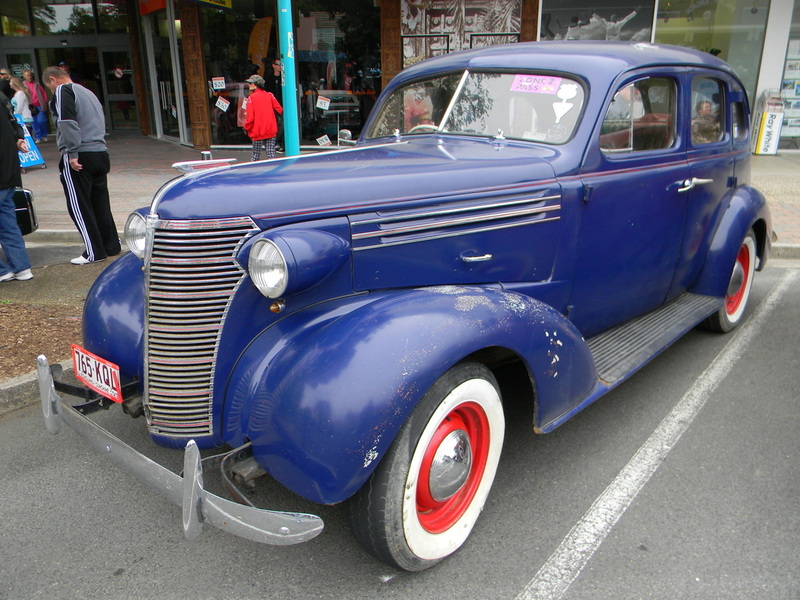 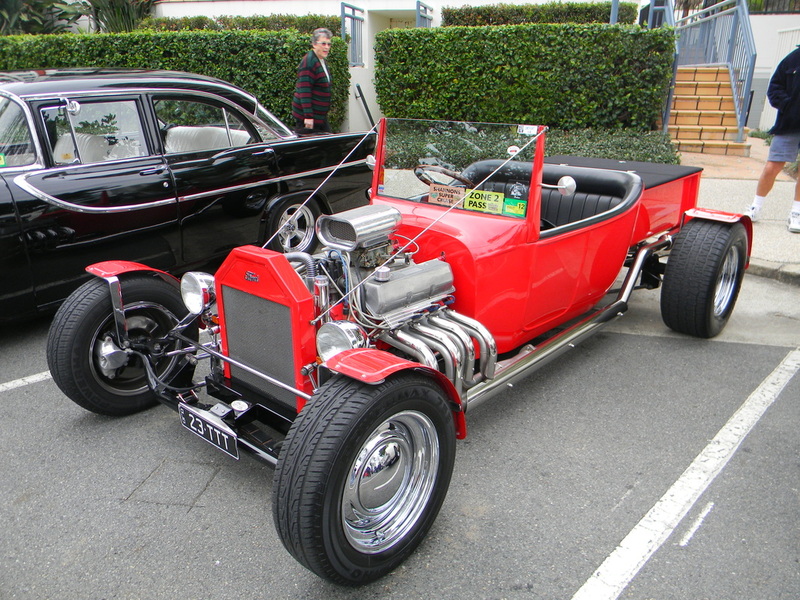 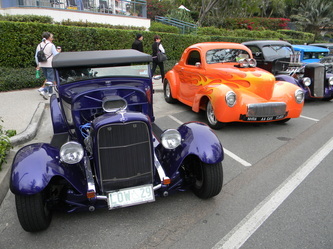 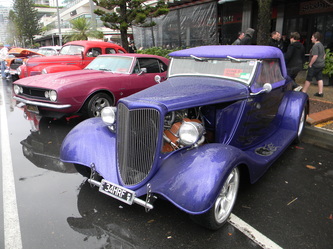 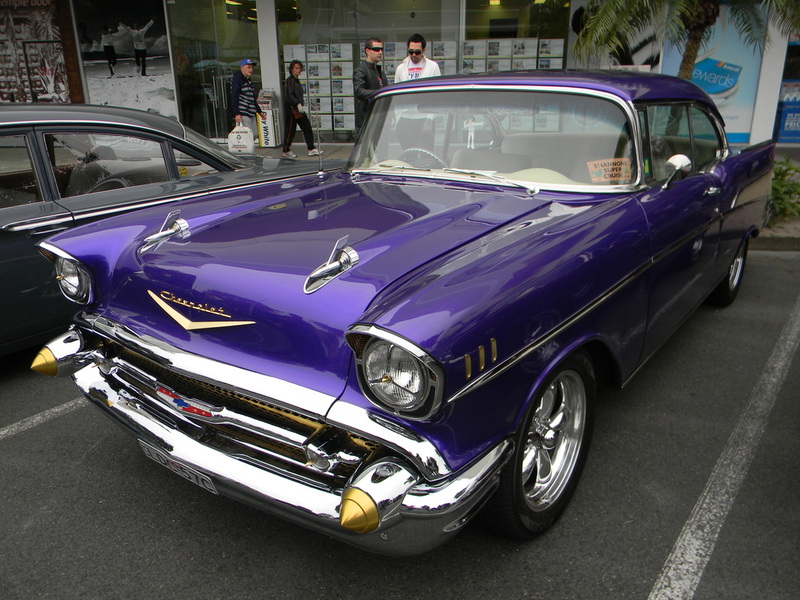 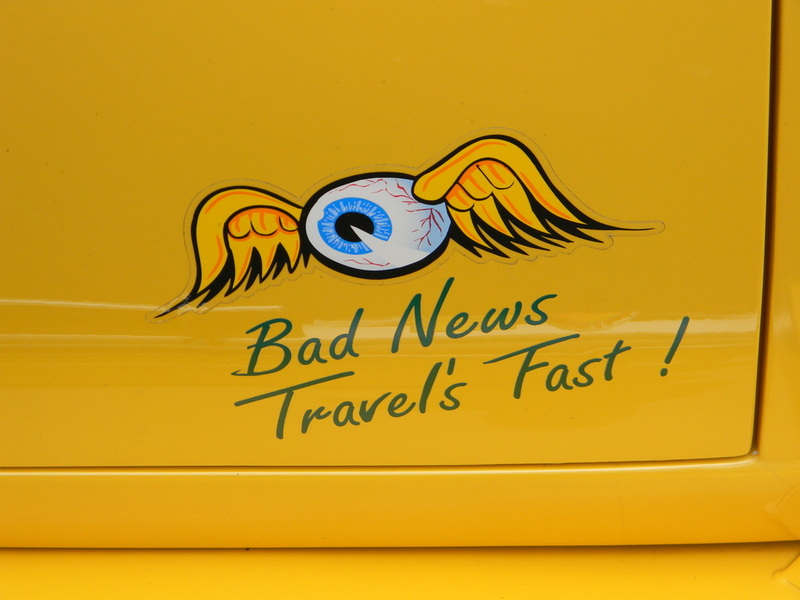 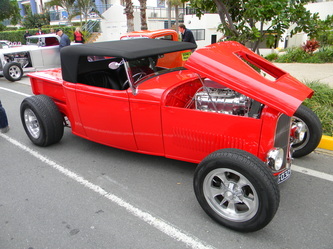 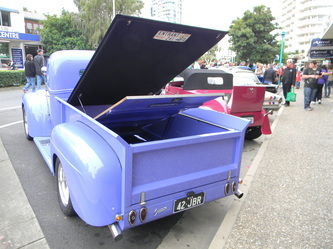 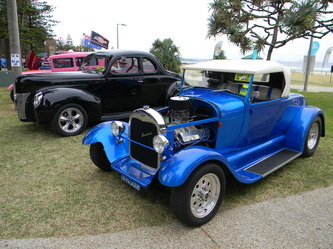 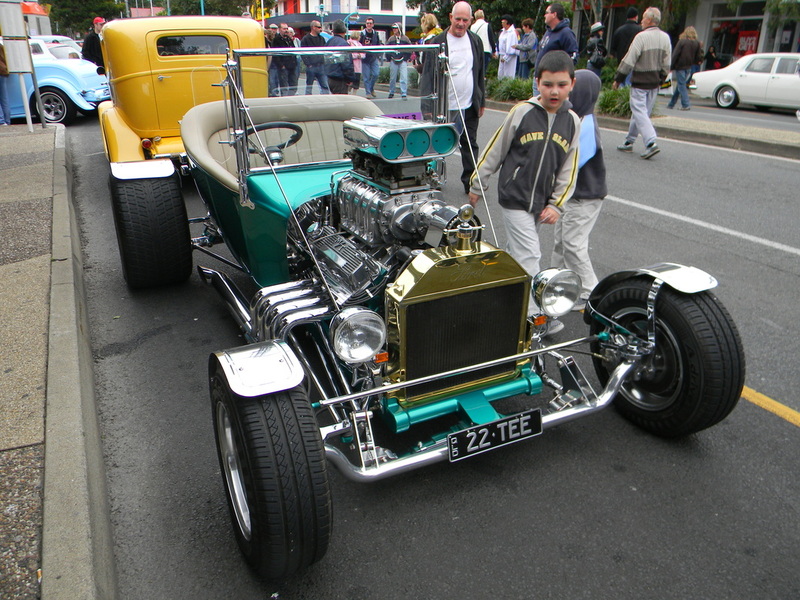 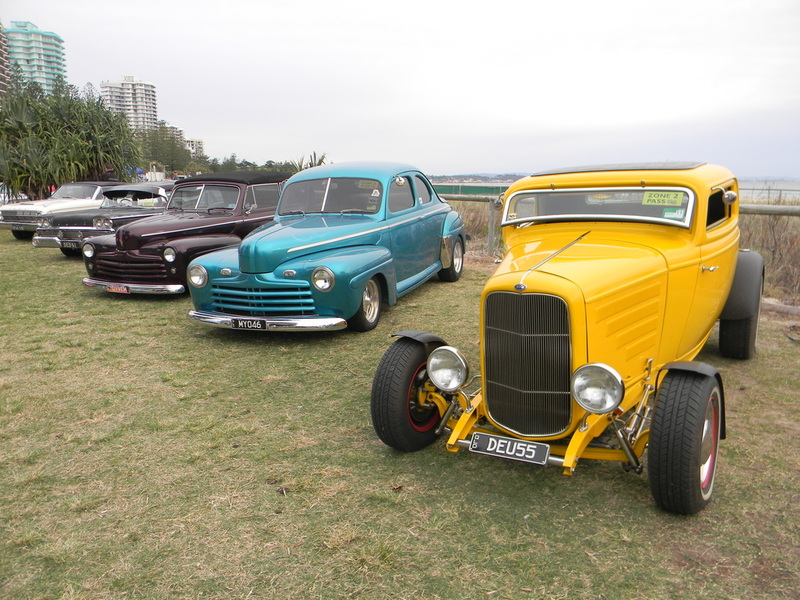 The number of cars were down this year, but to be fair the weather was not kind and the economy is such that many events are down on previous years and on top of this some of the cars would have gone to the new Wintersun event in Port Macquarie. 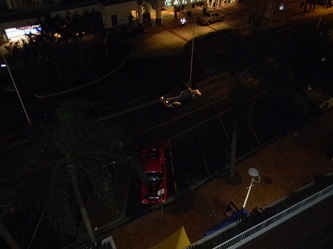 Never the less there were still about 1000 cars. 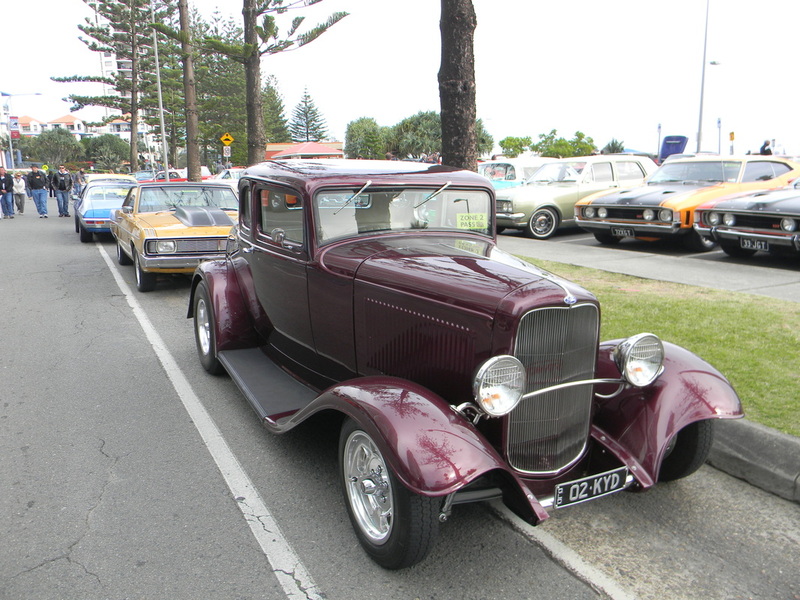 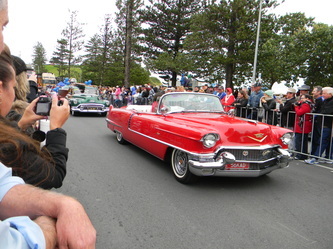 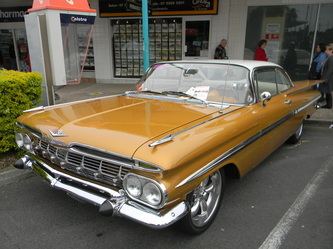 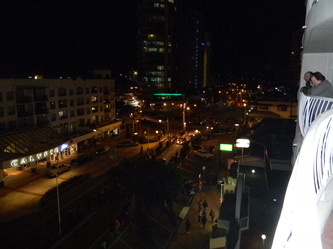 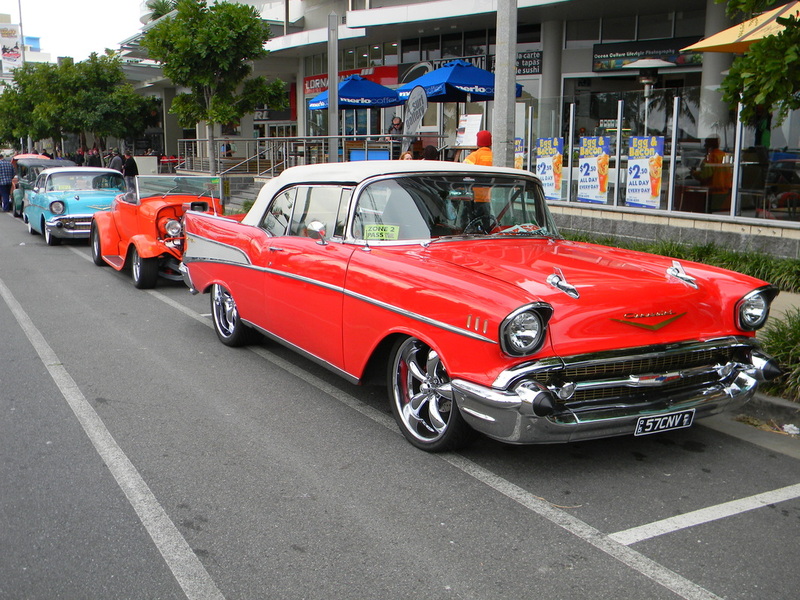 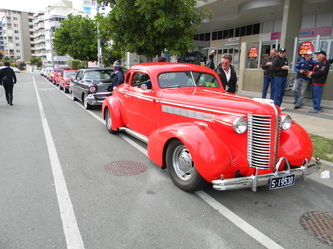 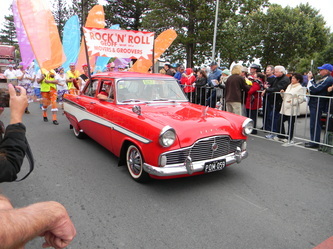 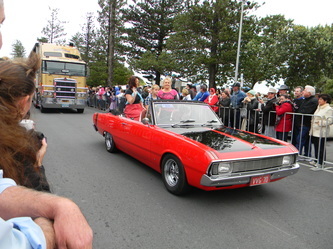 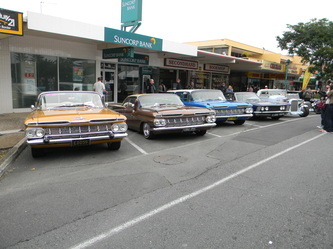 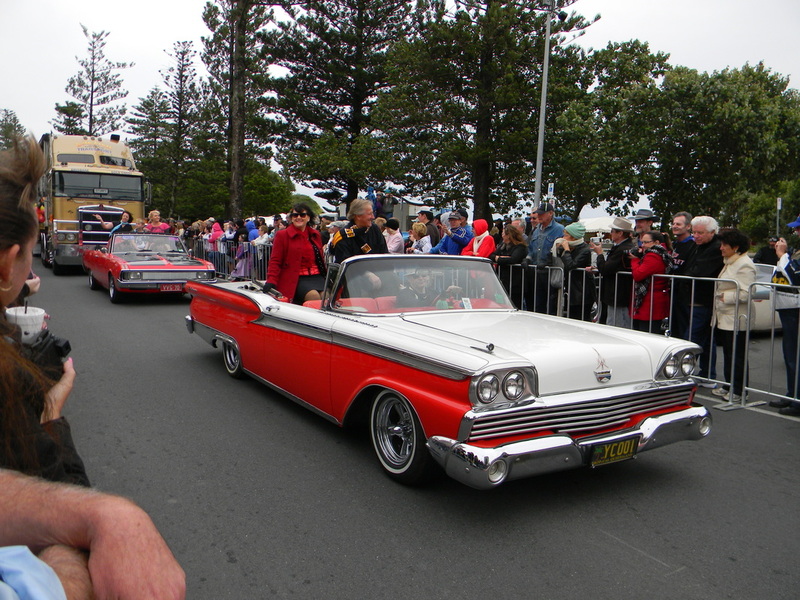 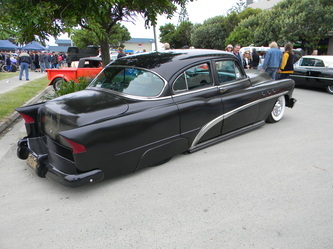 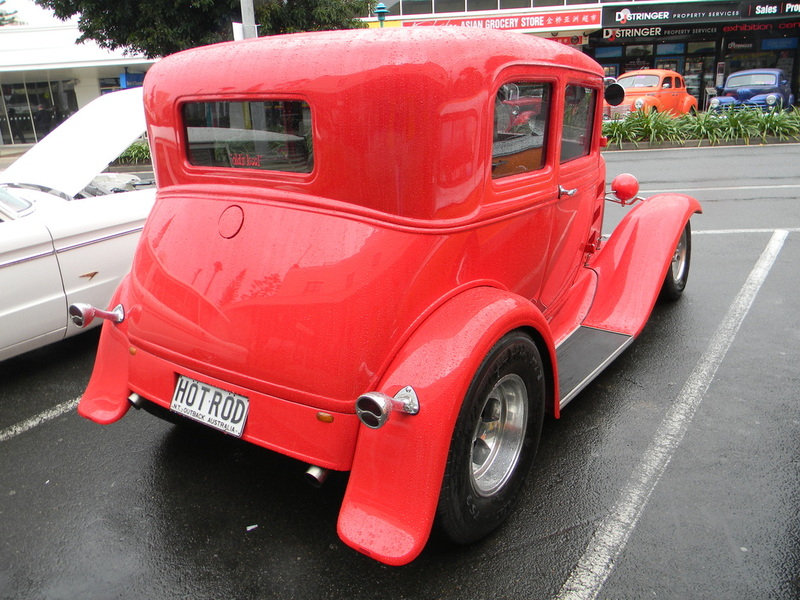 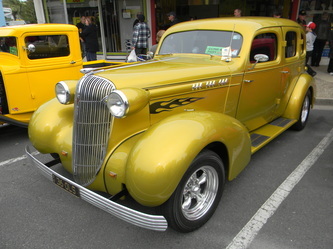 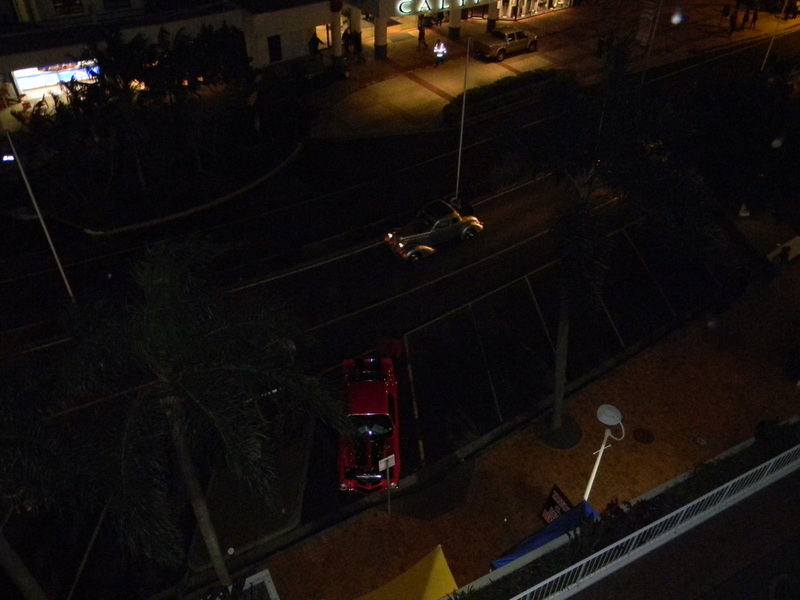 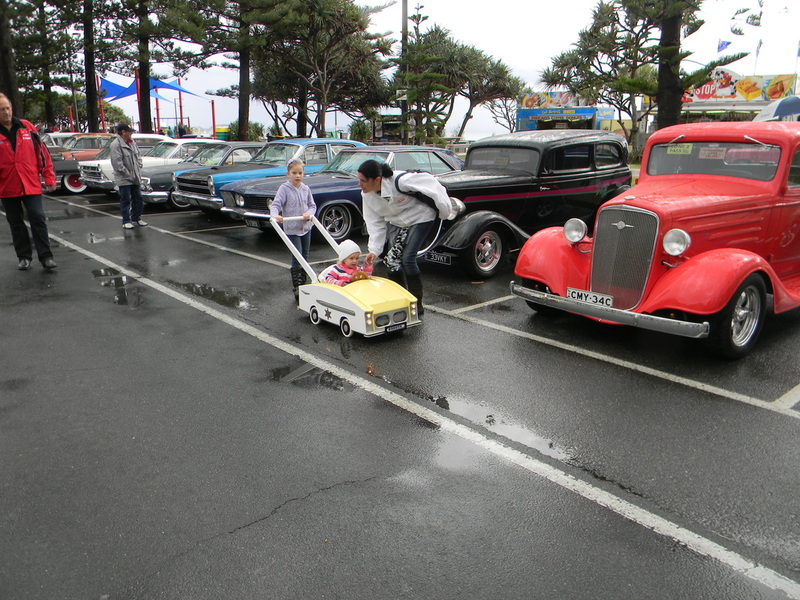 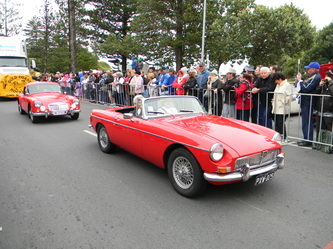 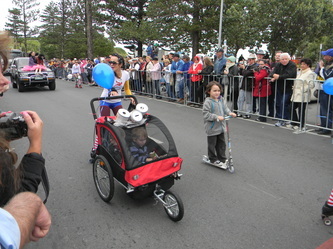 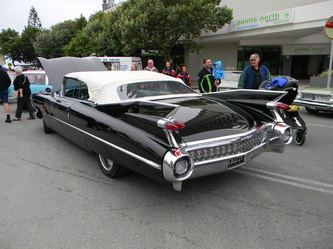 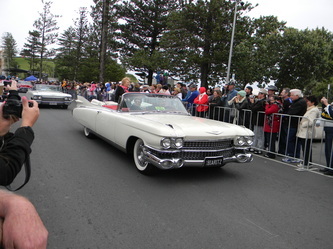 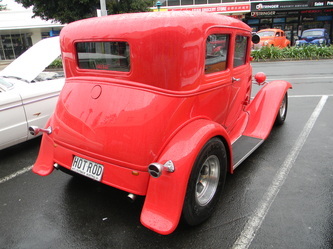 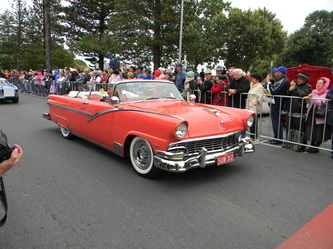 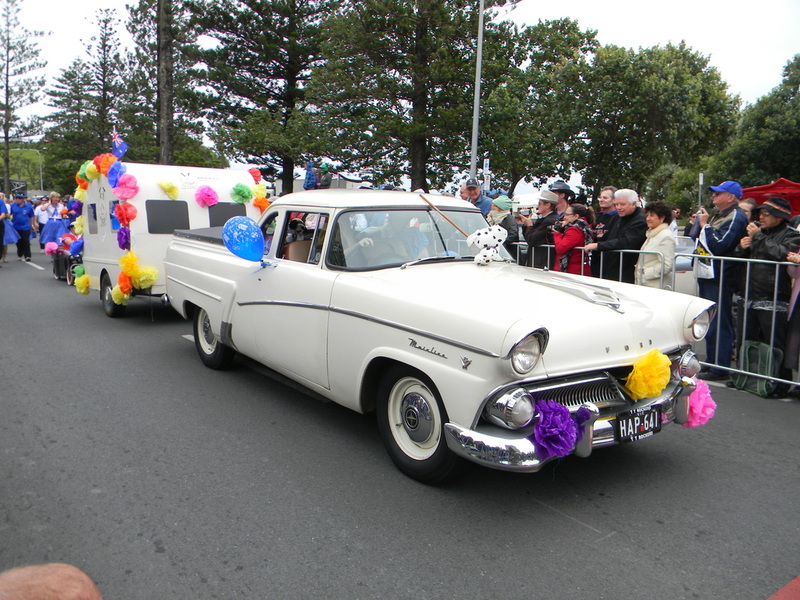 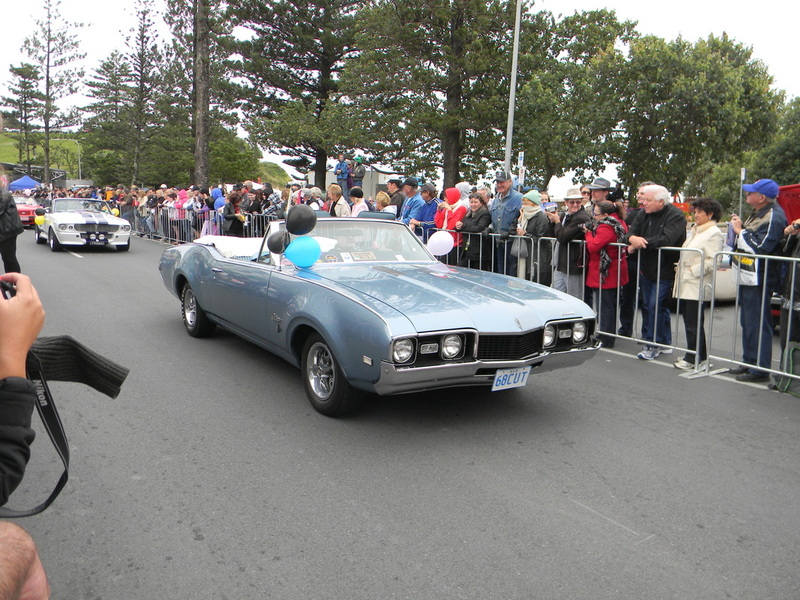 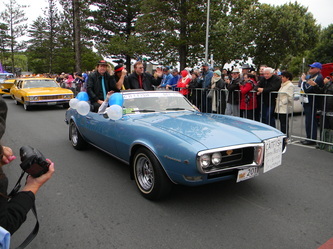 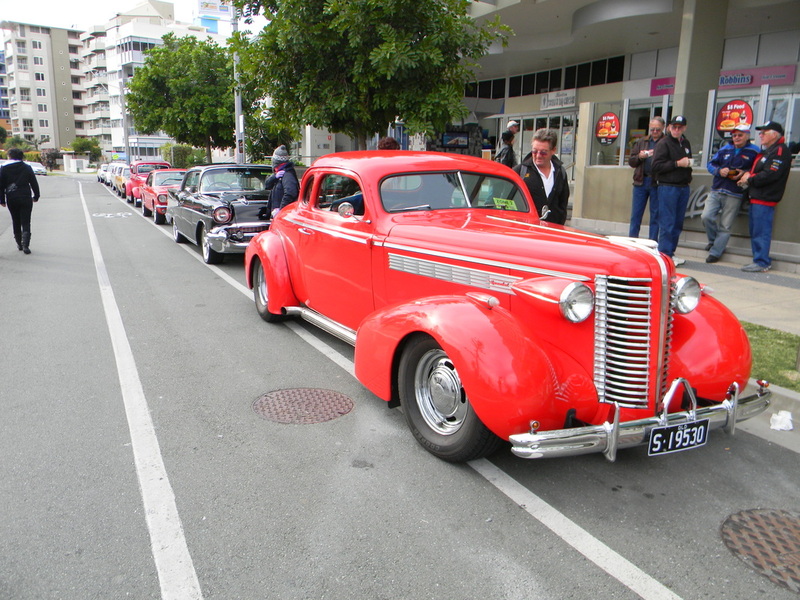 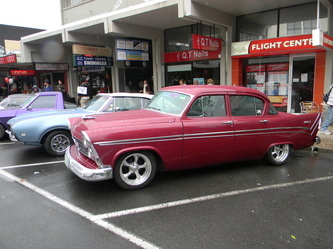 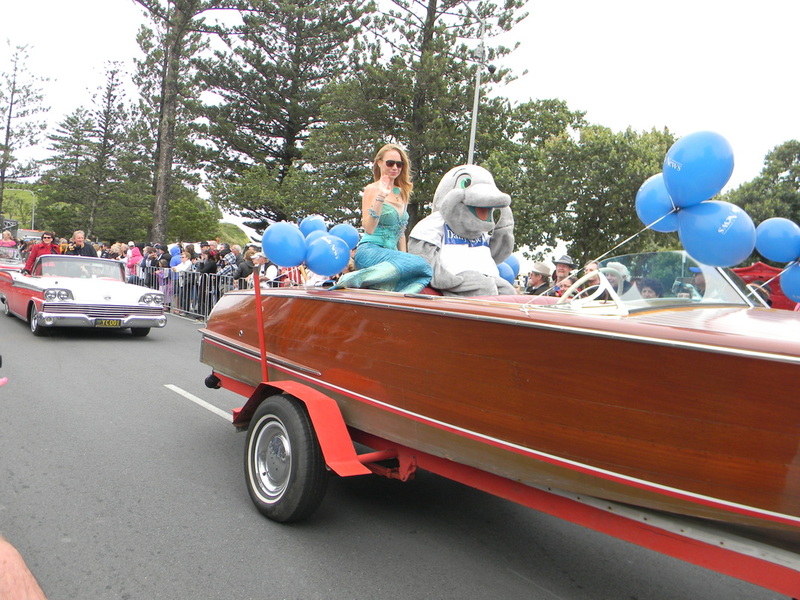 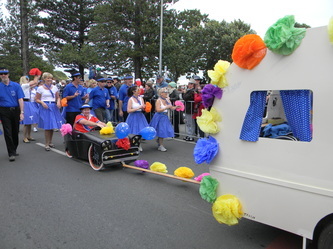 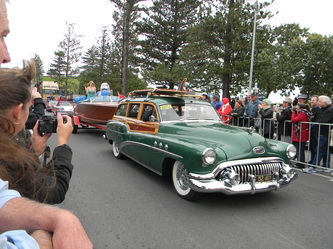 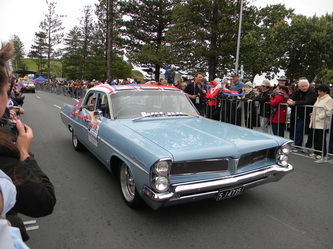 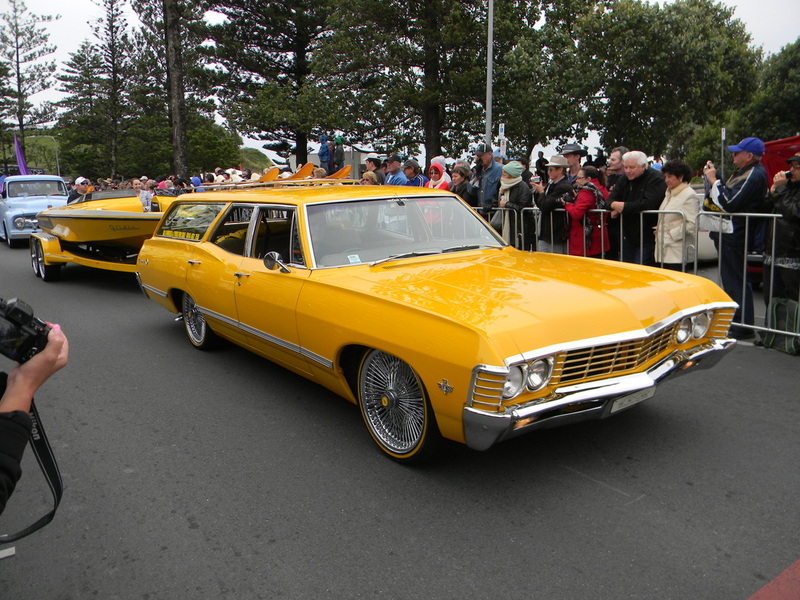 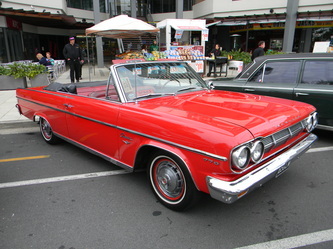 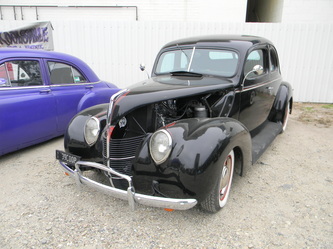 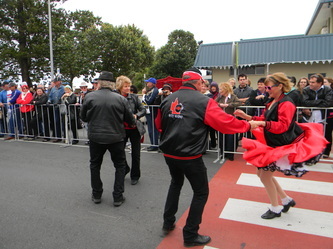 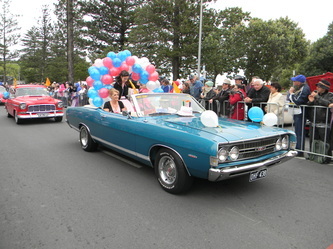 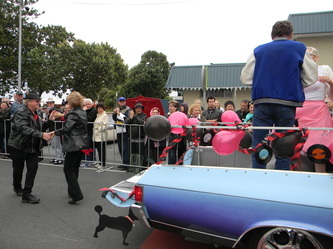 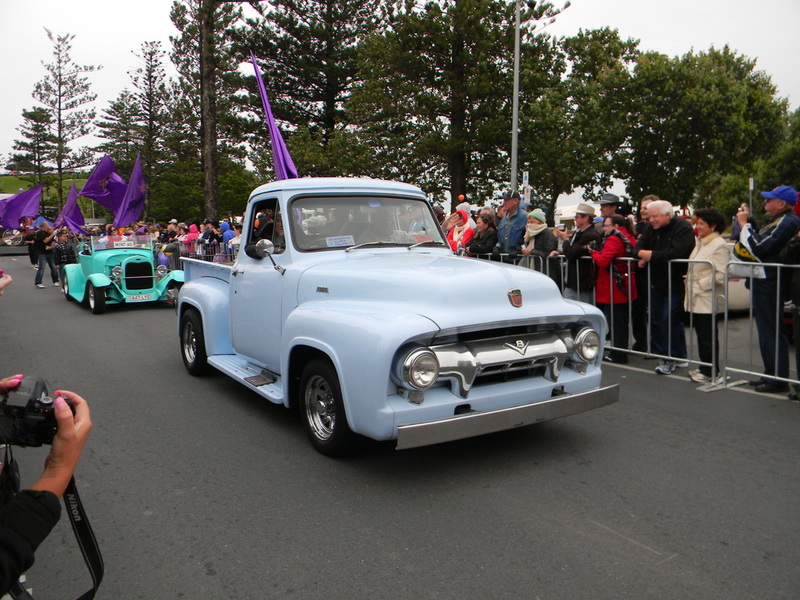 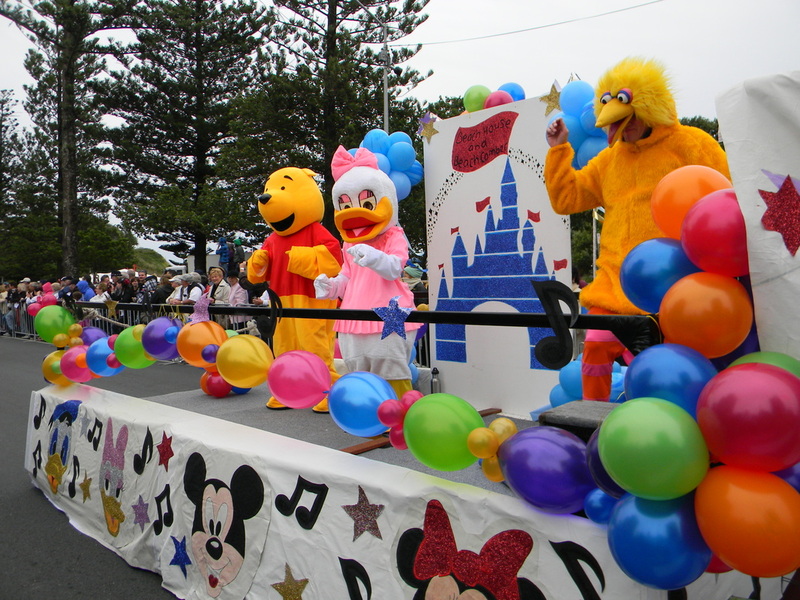 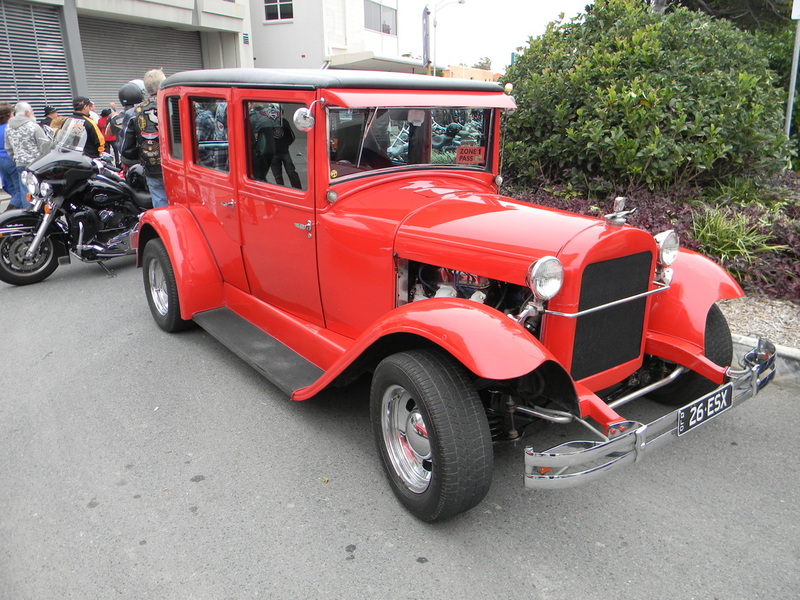 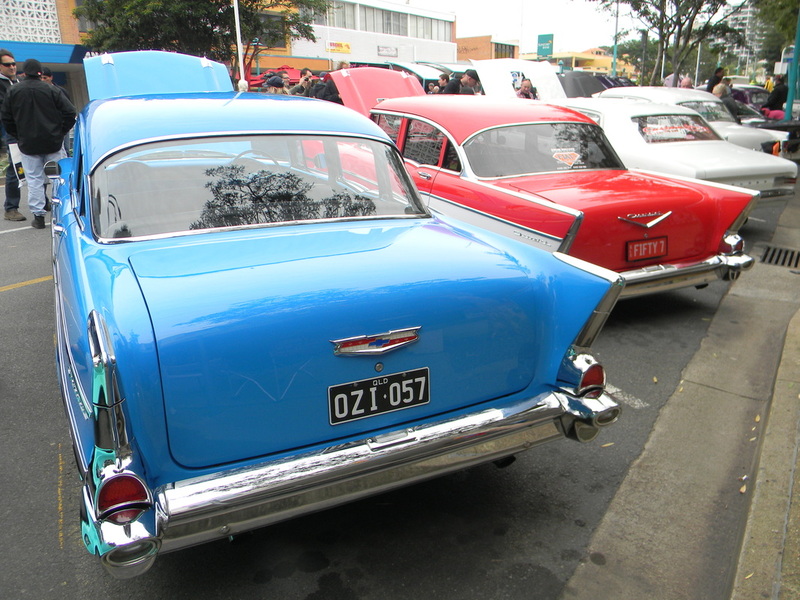 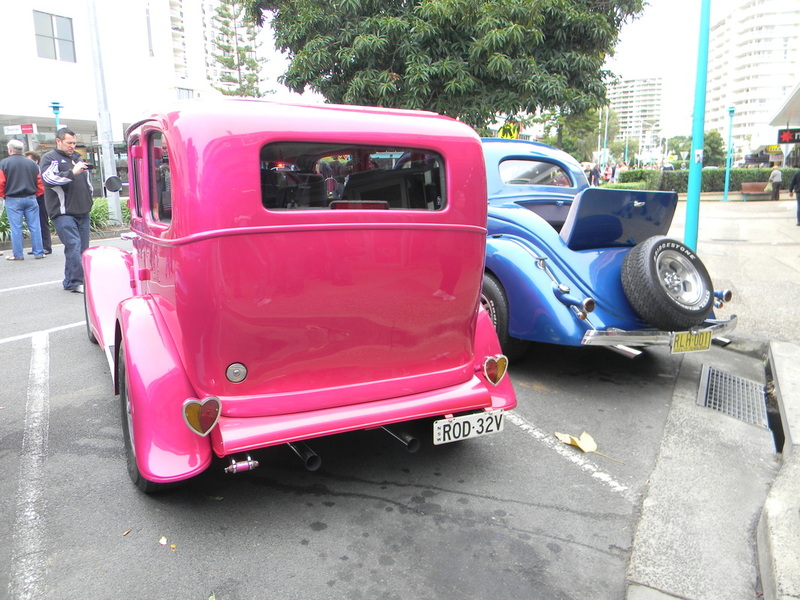 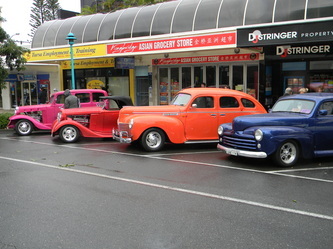 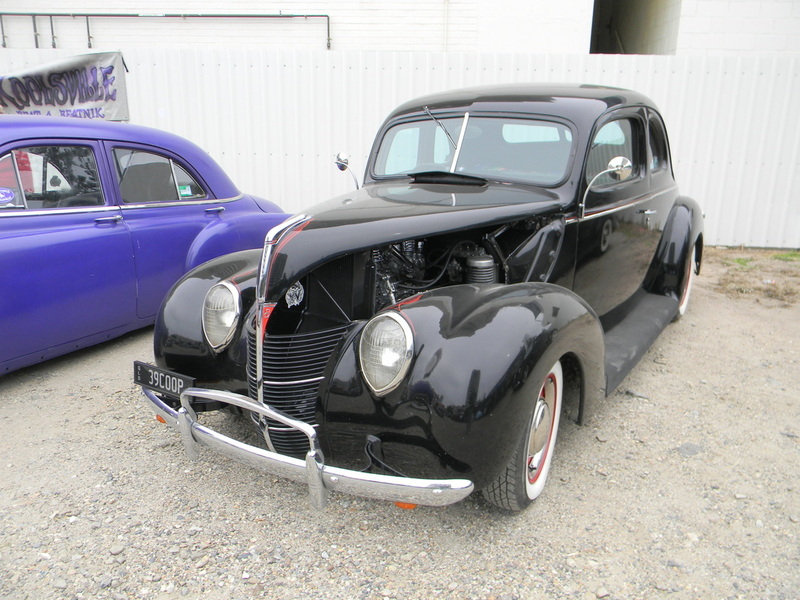 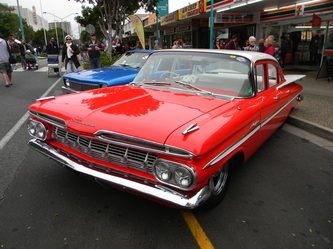 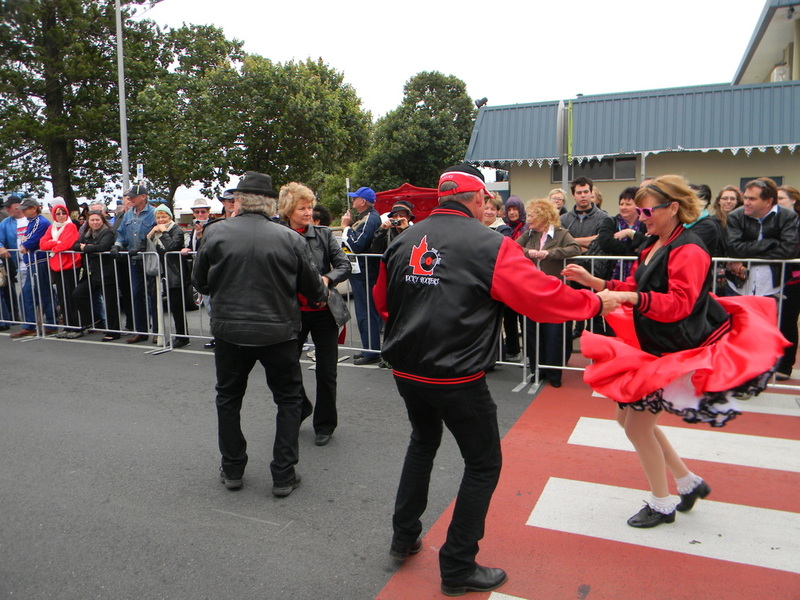 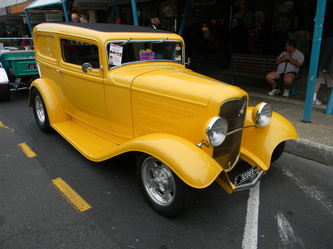 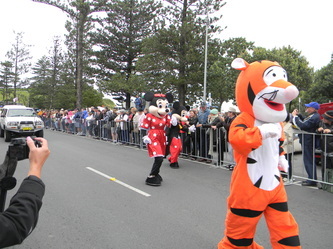 The street parade was good and the evening cruise was the best it had been for years as the cars were allowed to go around the block in the cruise this year instead of just up and down the beach street. 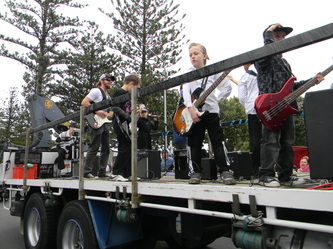 In fact they blocked off the street behind the beach for the weekend and this allowed bands to play at each end of both streets which added to the atmosphere. 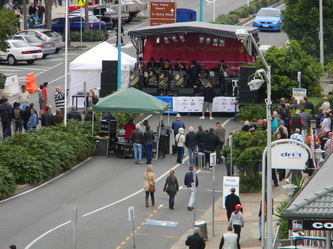 The Flattrackers put on couple of great street shows. 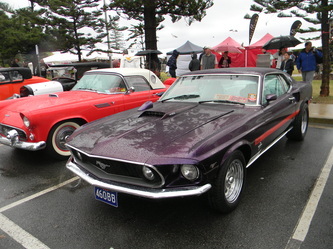 As mentioned the weather was a little ordinary, but it did not rain on the Saturday, Sunday morning was wet and it was cold all day. 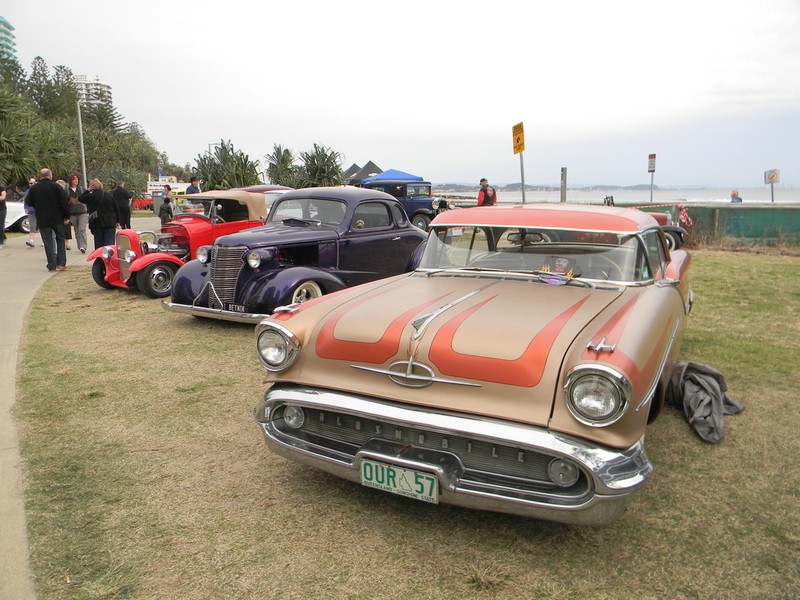 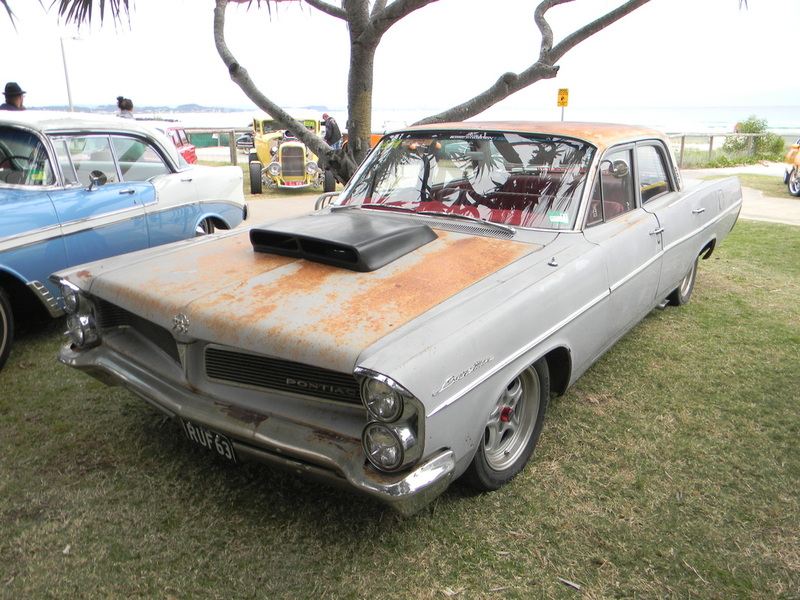 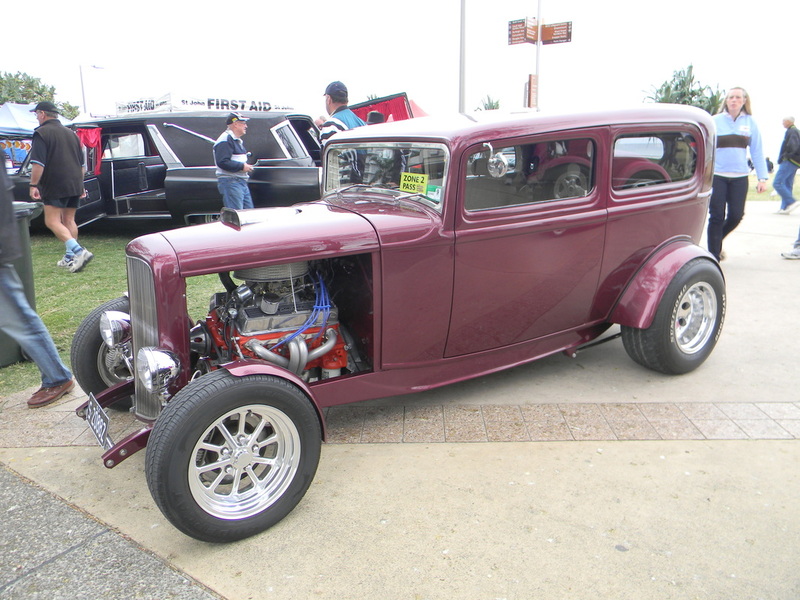 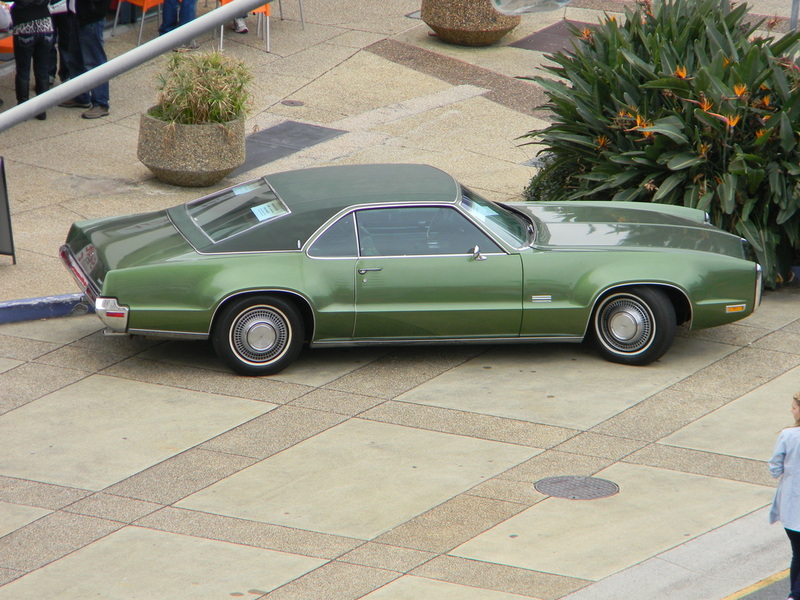 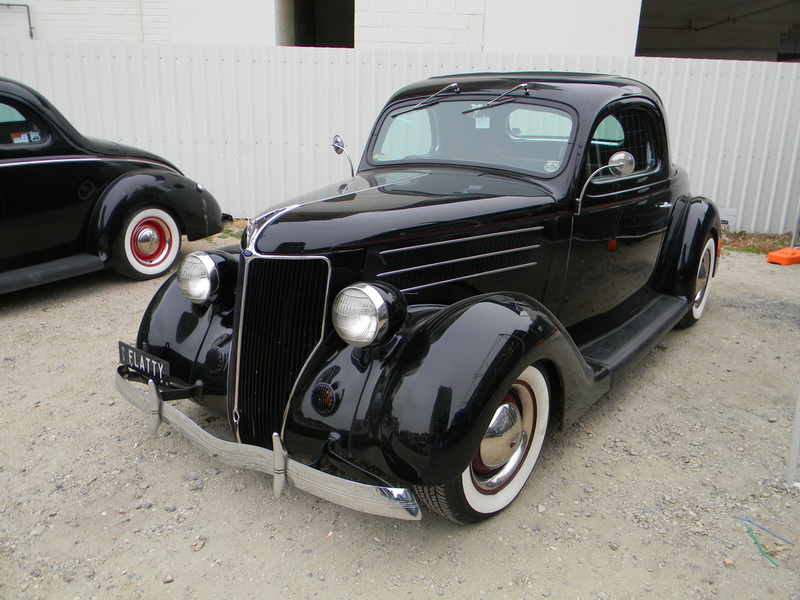 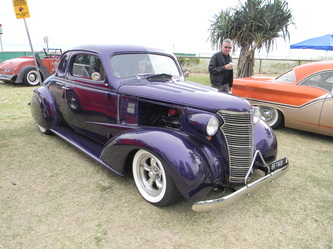 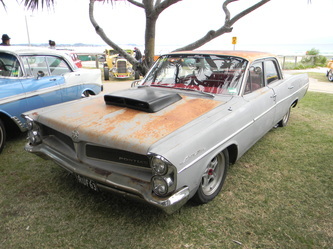 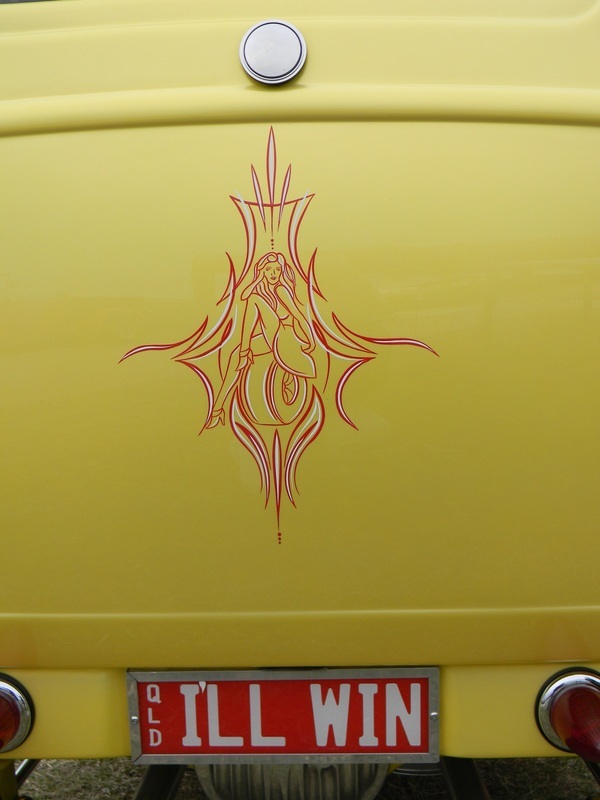 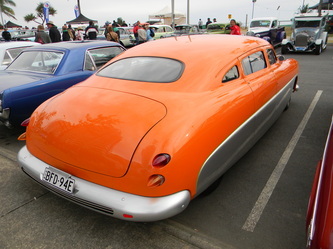 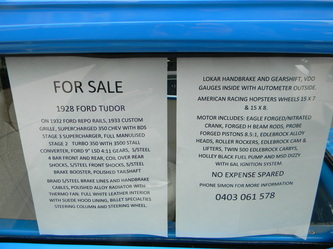 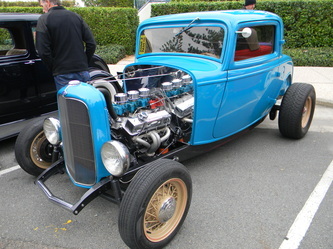 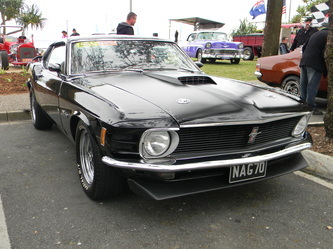 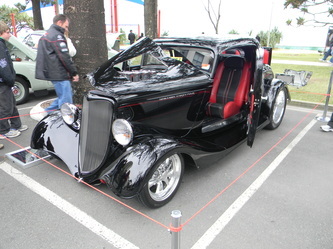 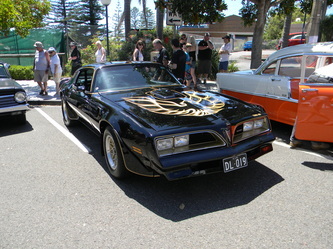 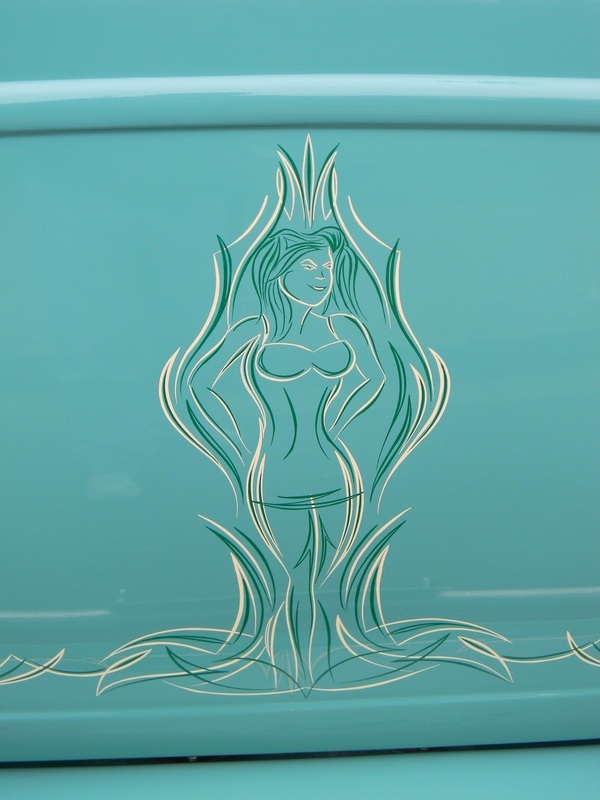 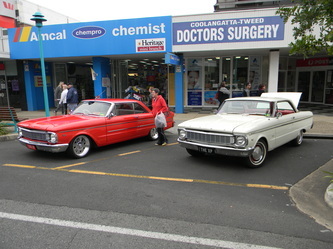 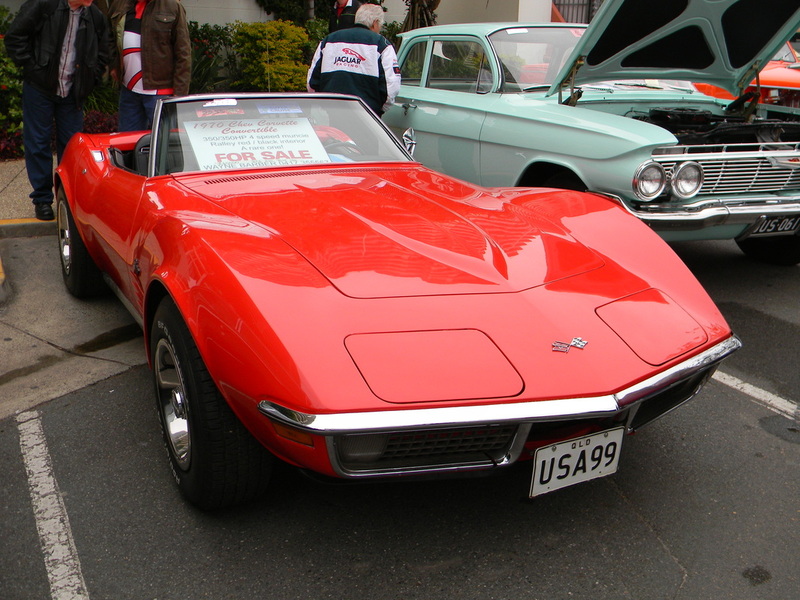 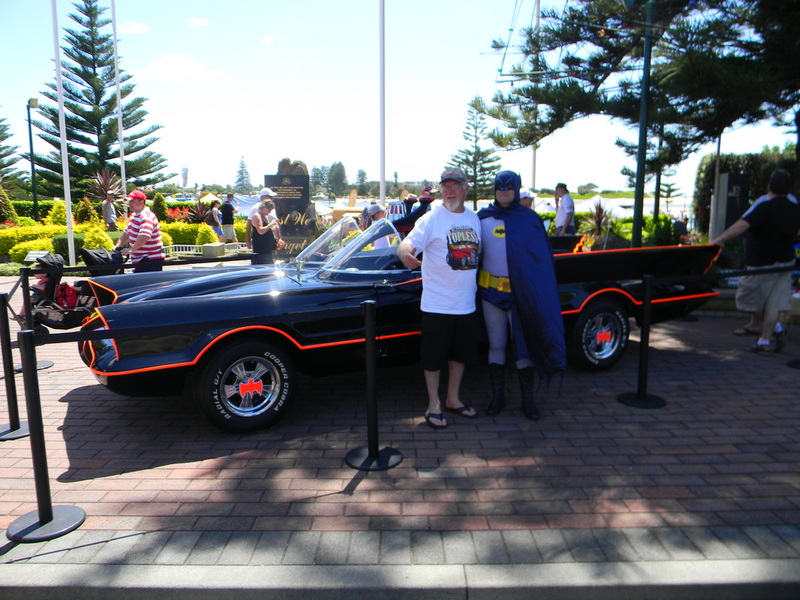 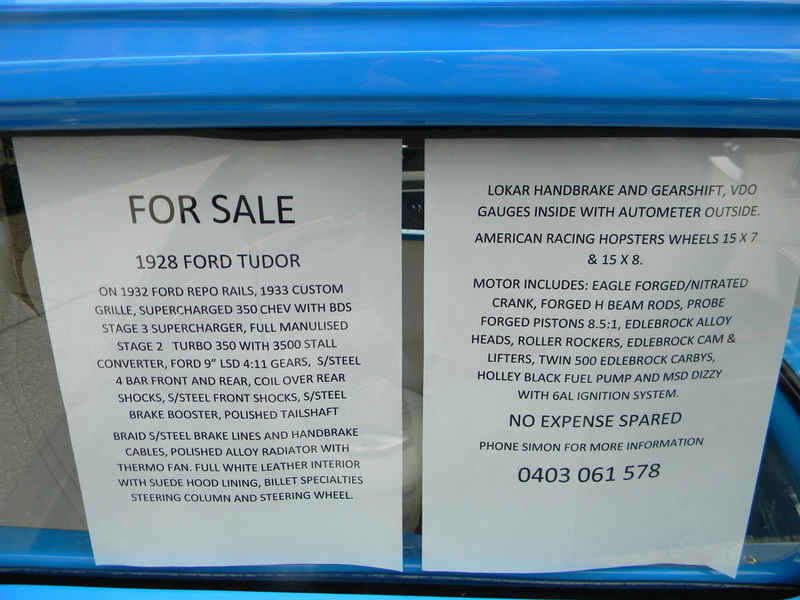 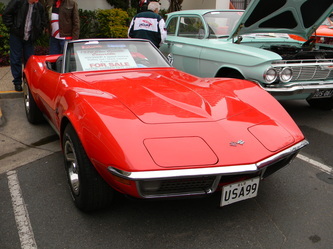 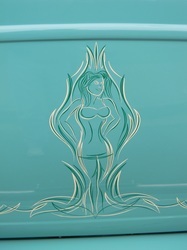 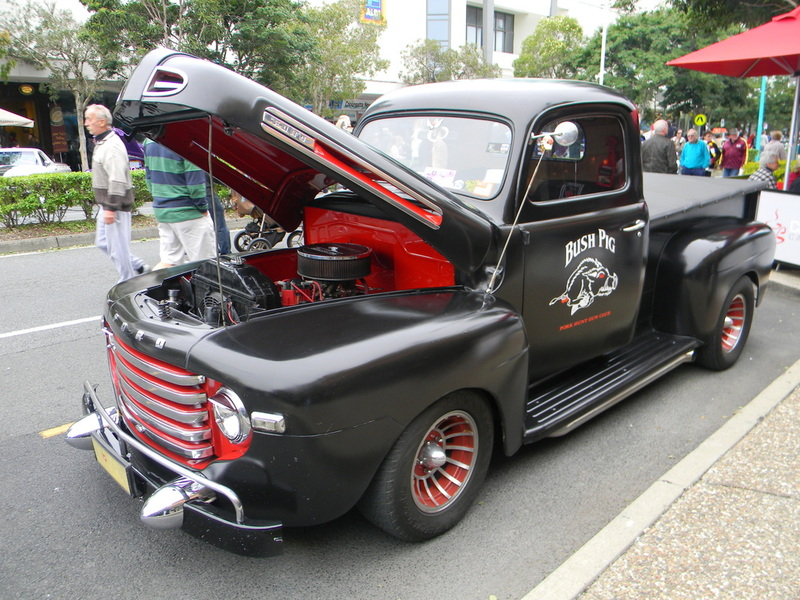 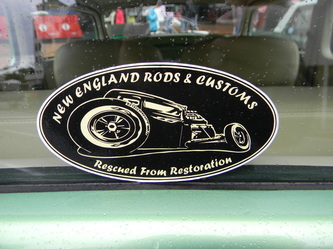 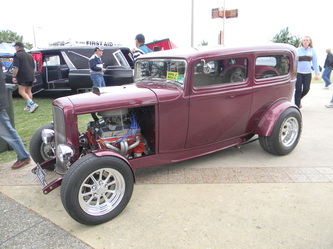 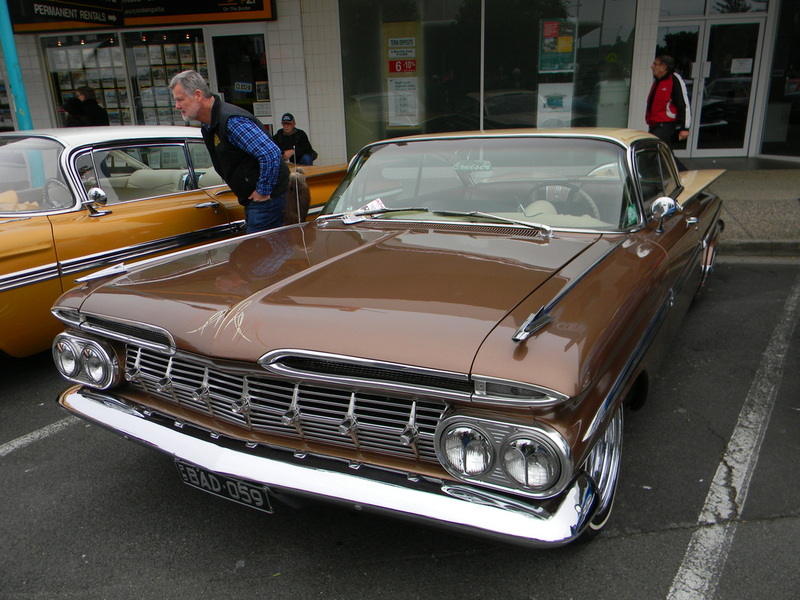 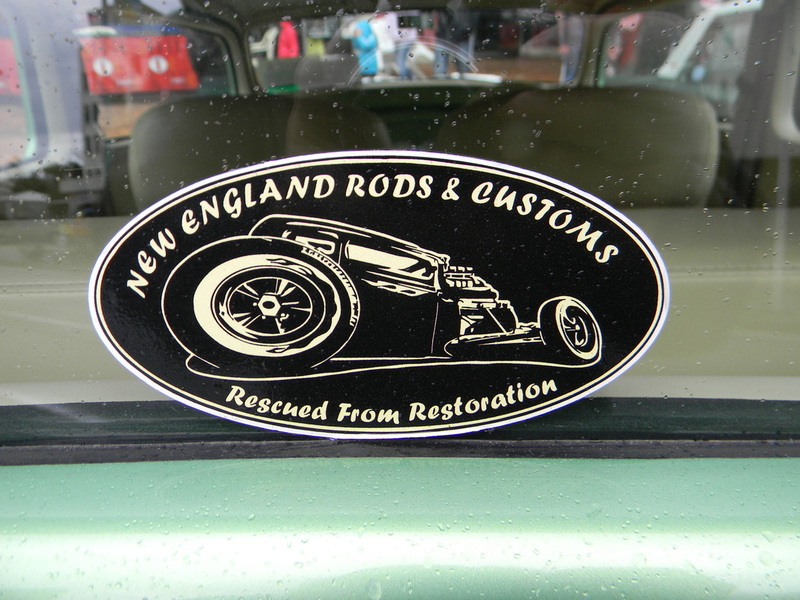 Despite this it was a terrific event with plenty to look at and does highlight the huge number of American imports that are coming into Australia and attending these car shows.